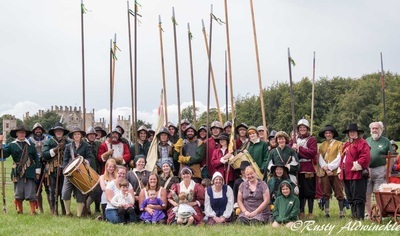 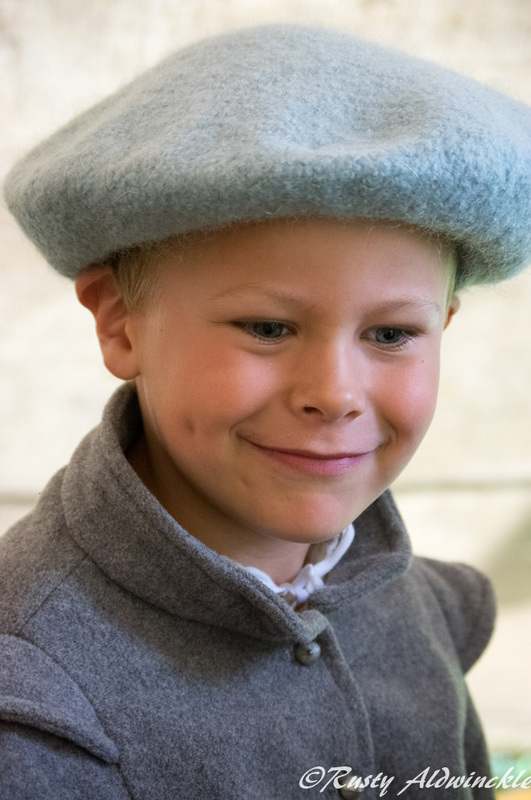 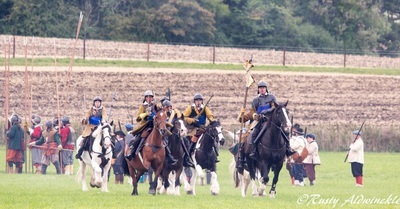 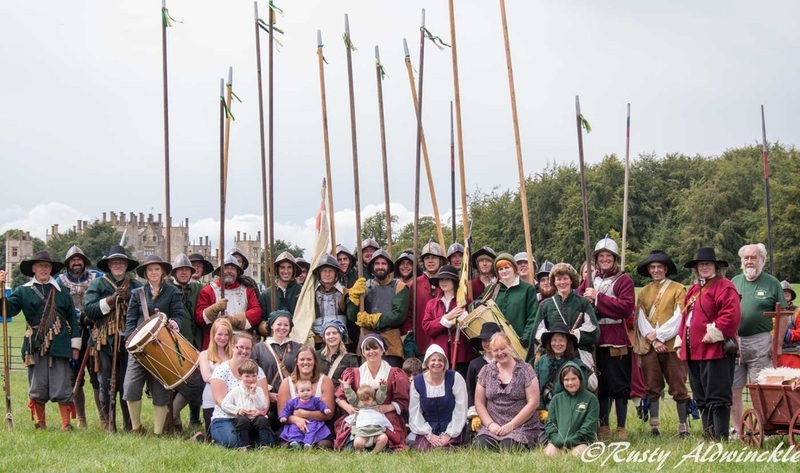 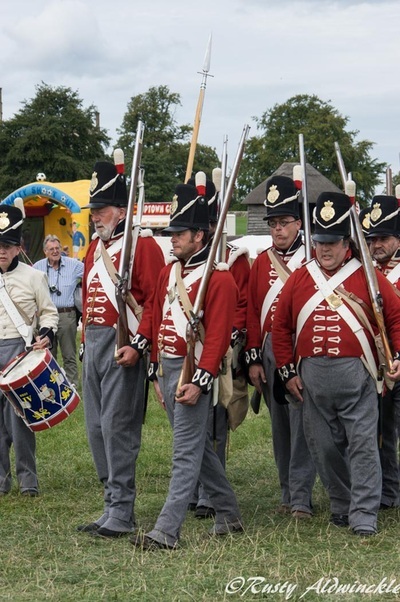 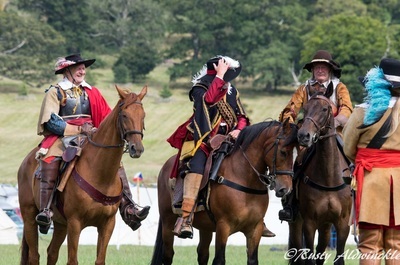 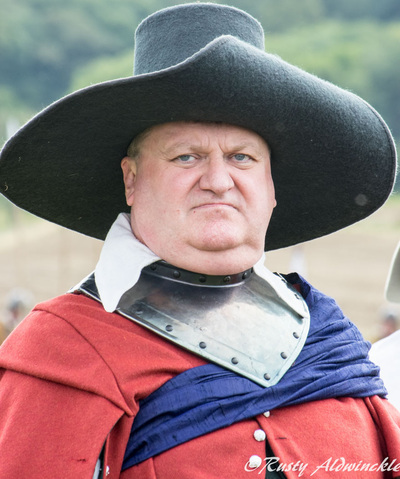 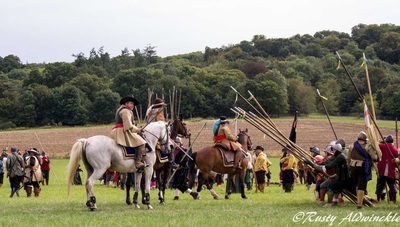 Well what can I say but a great big thank you too Carr's Regiment for a well organised event in a beautiful part of the country, even if I didn't get chance to have a look round the Castle this time. 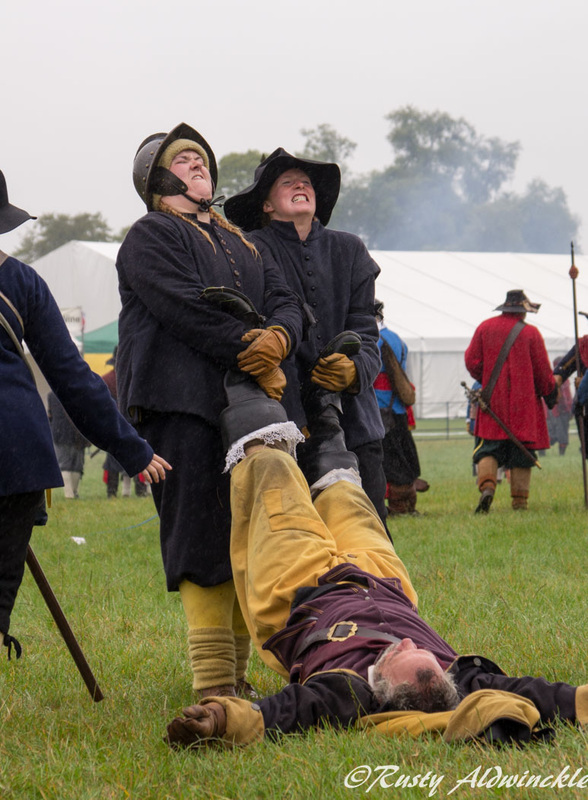 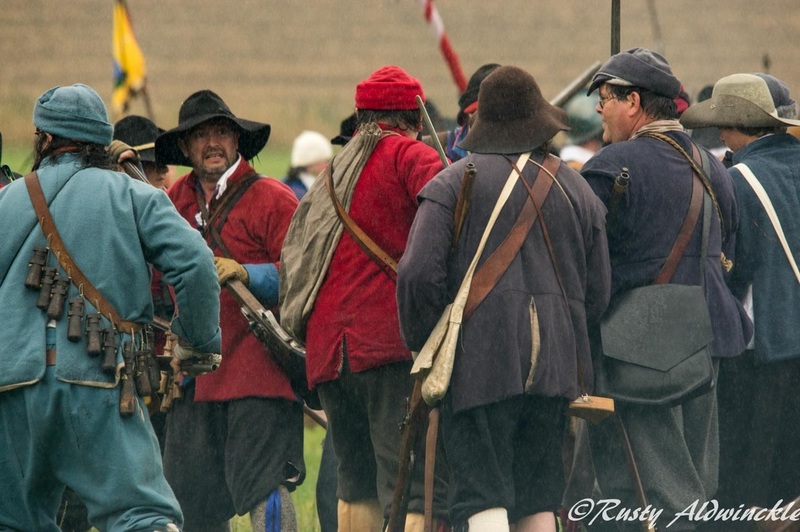 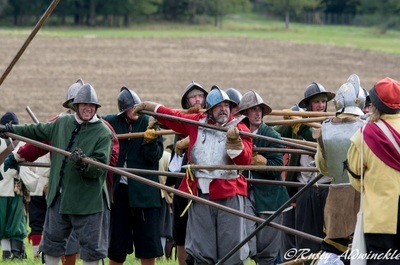 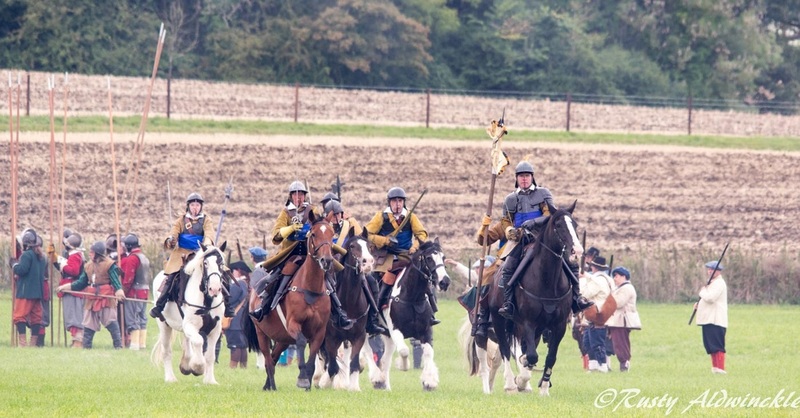 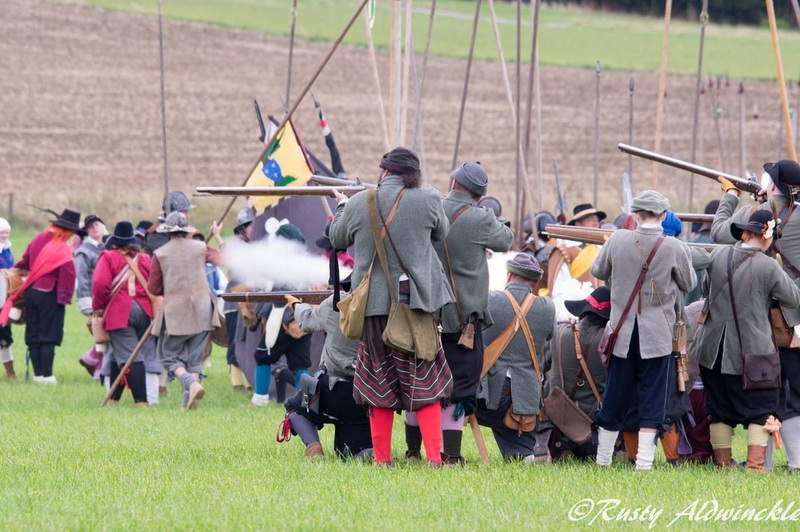 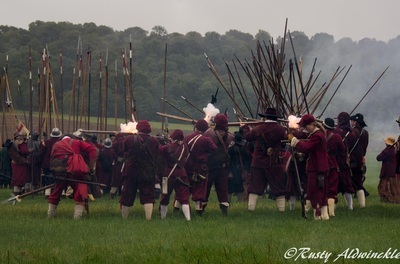 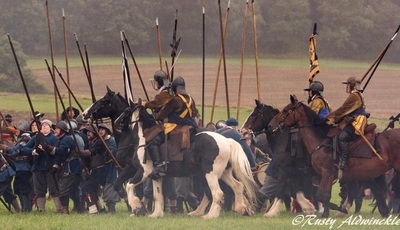 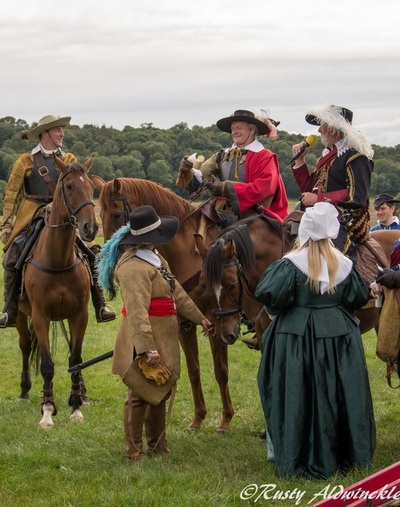 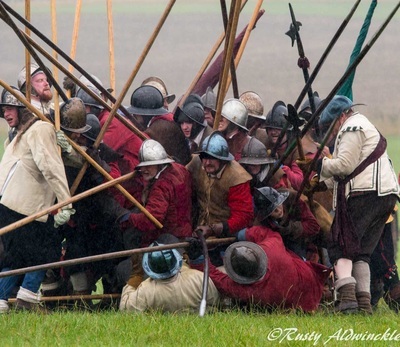 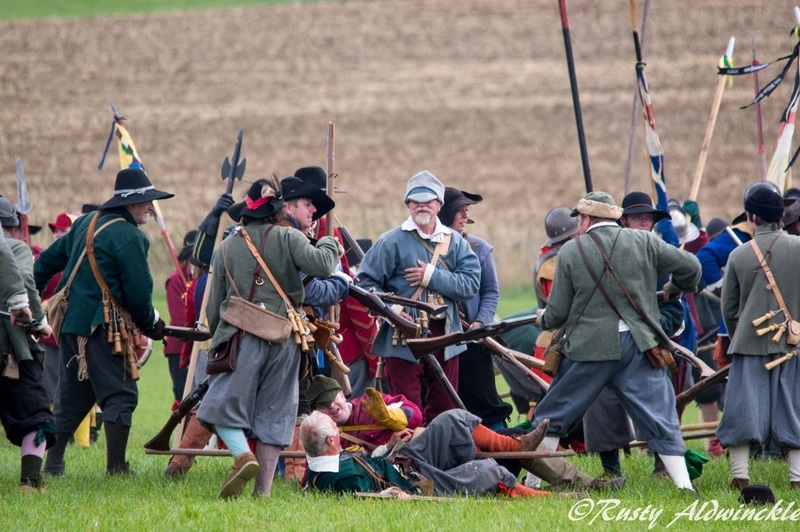 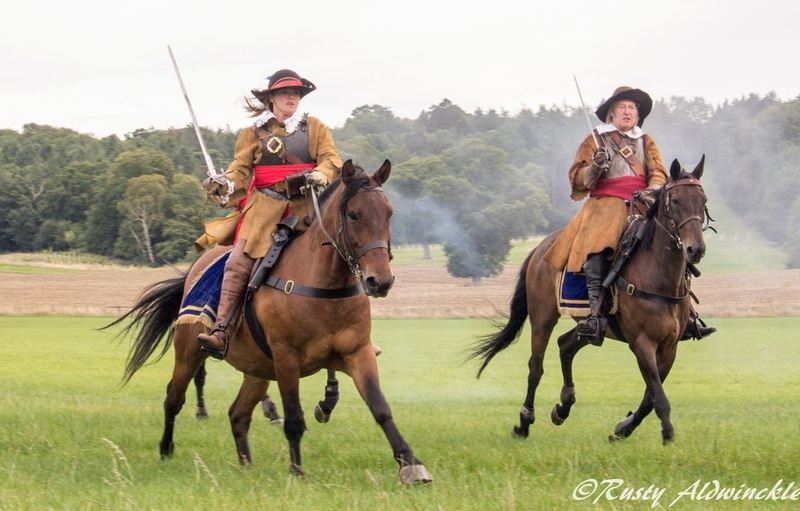 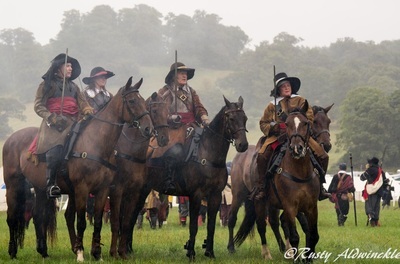 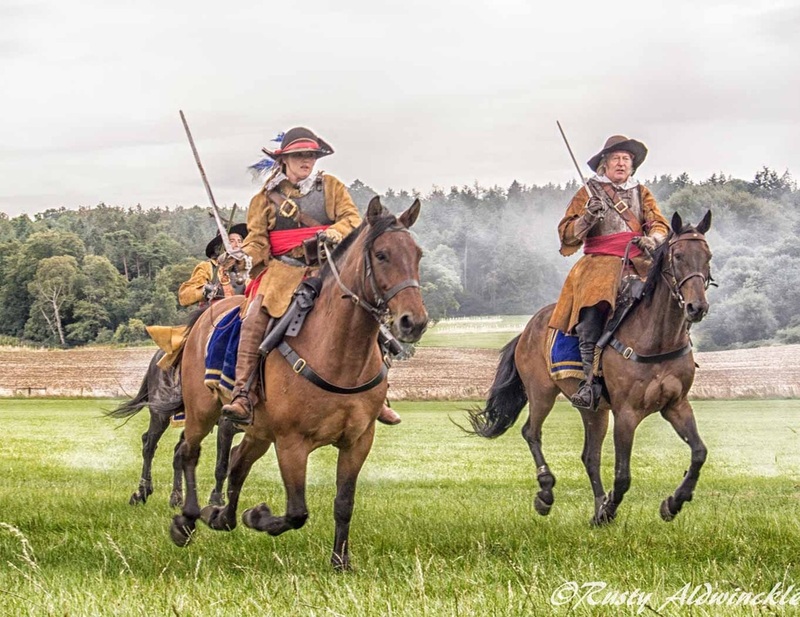 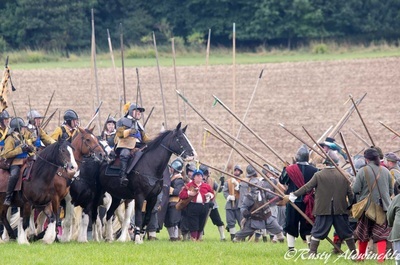 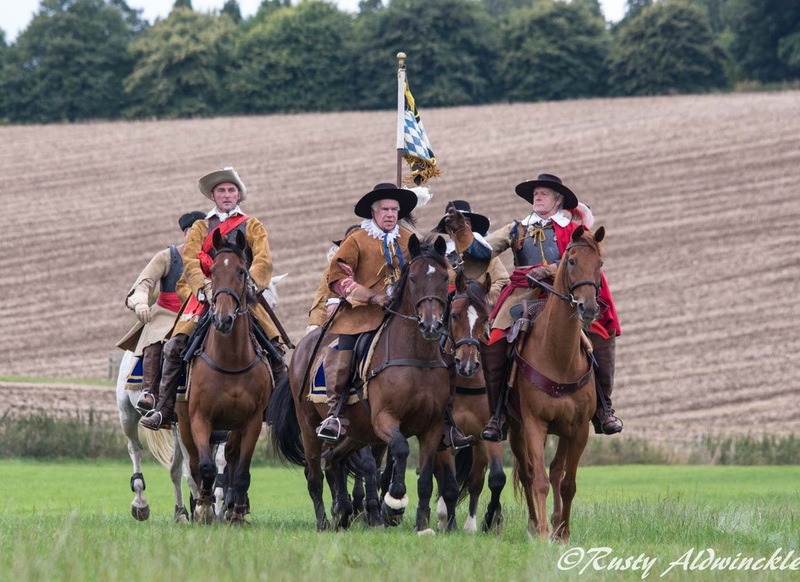 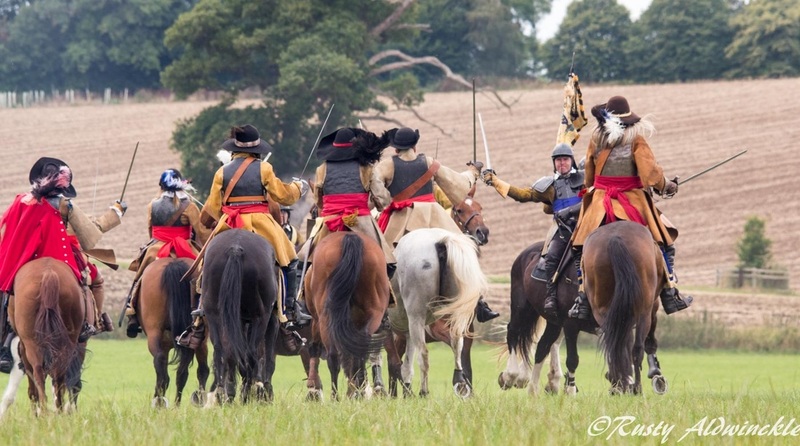 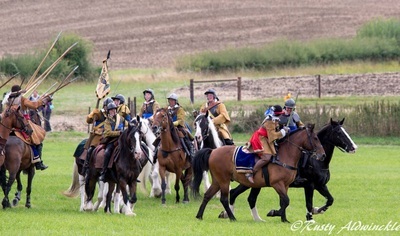 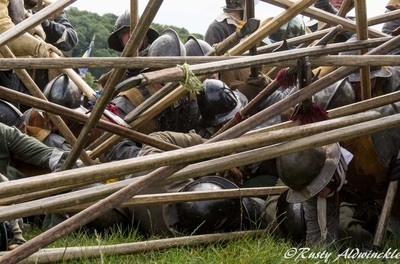 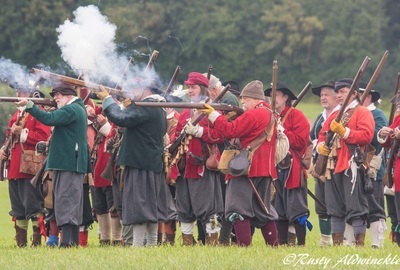 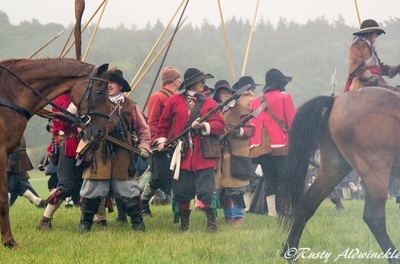 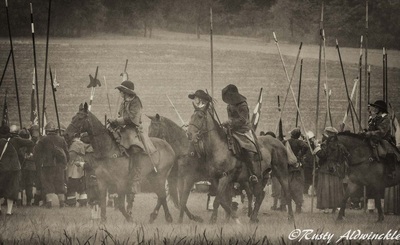 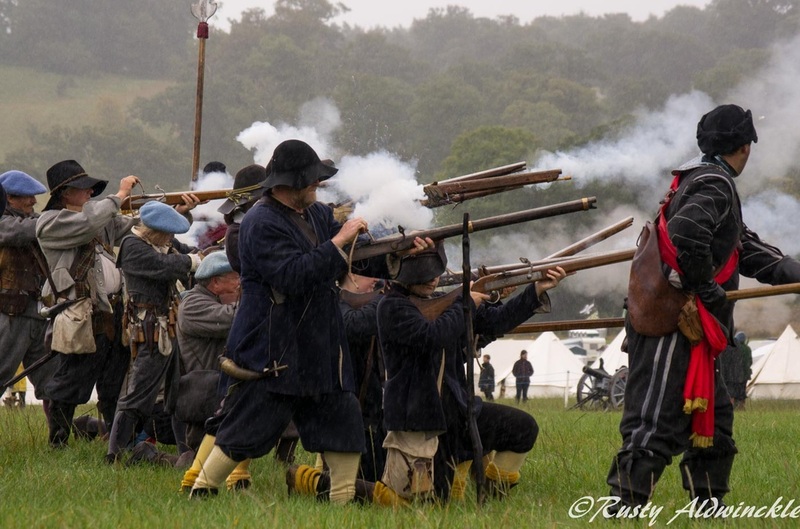 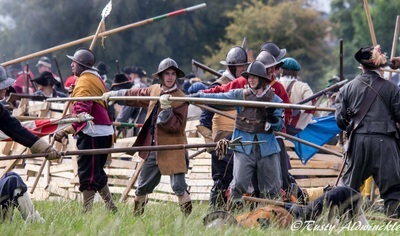 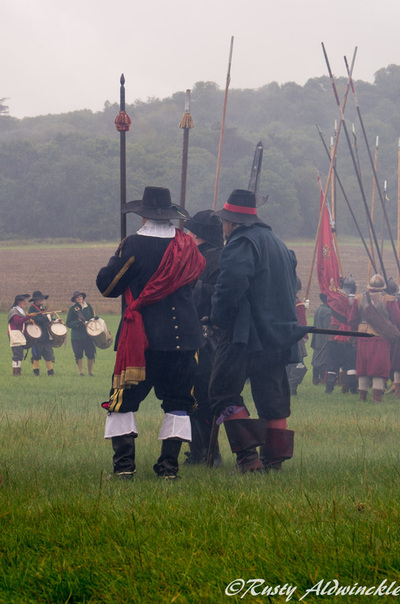 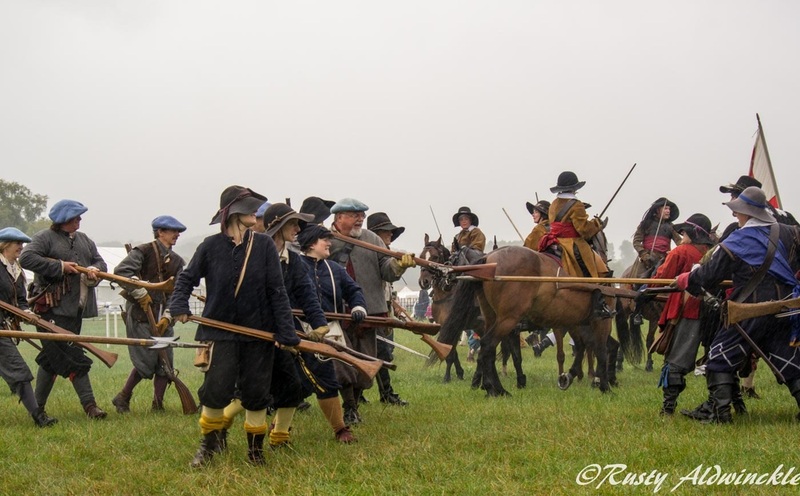 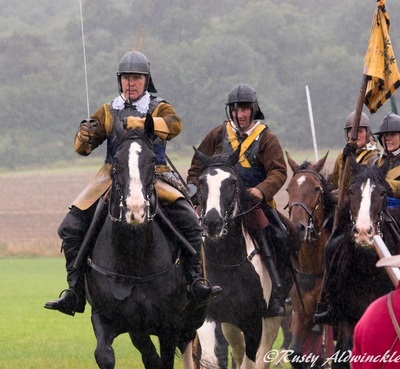 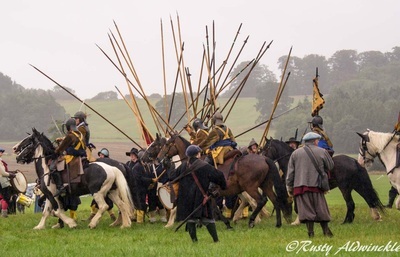 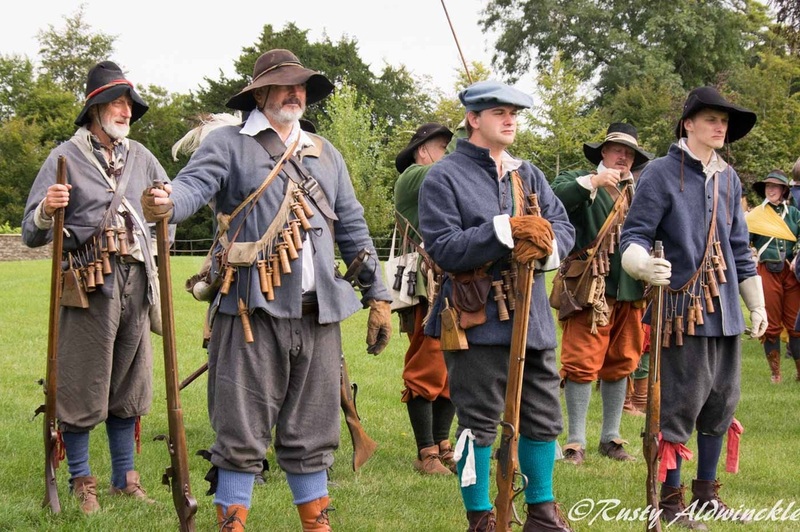 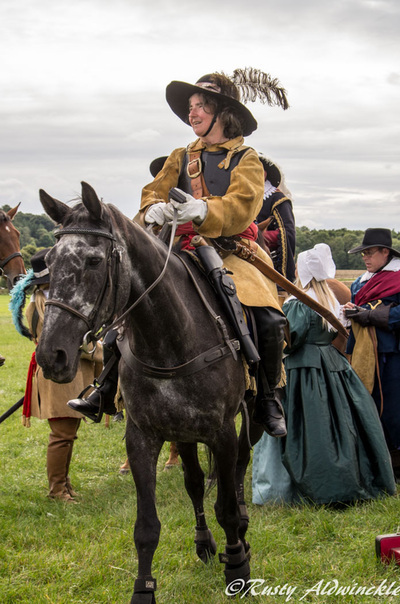 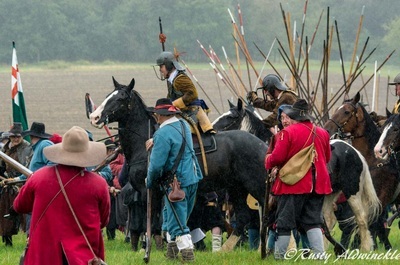 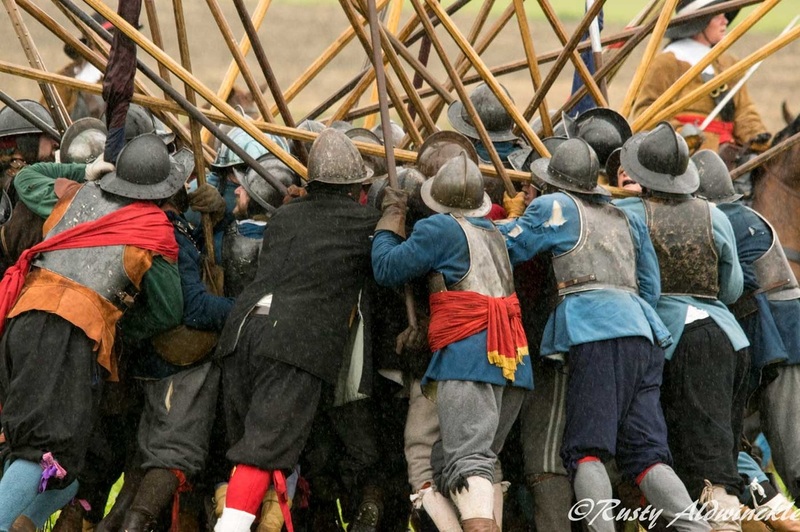 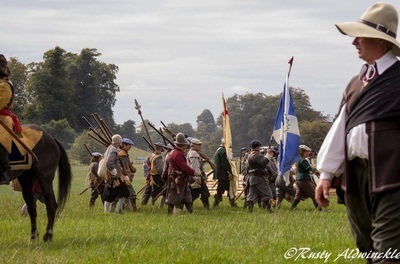 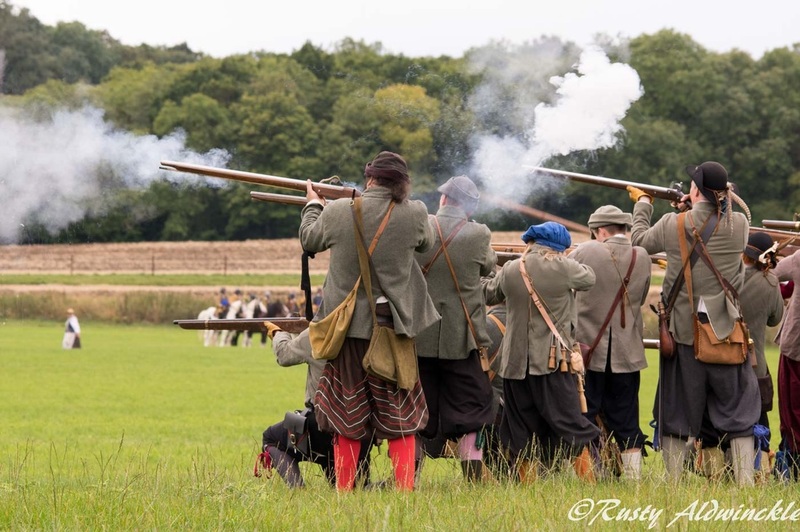 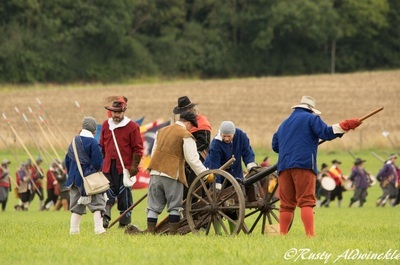 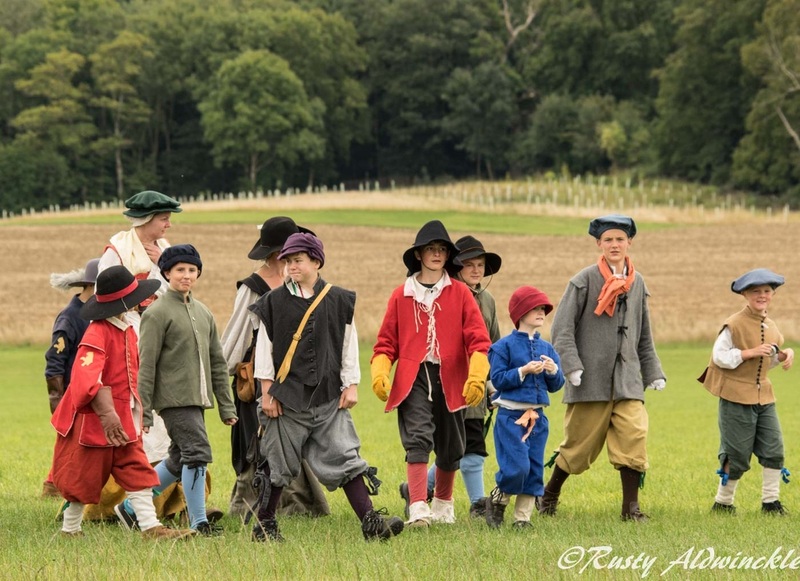 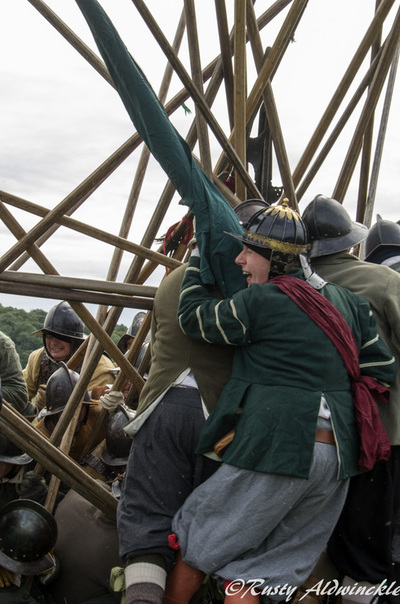 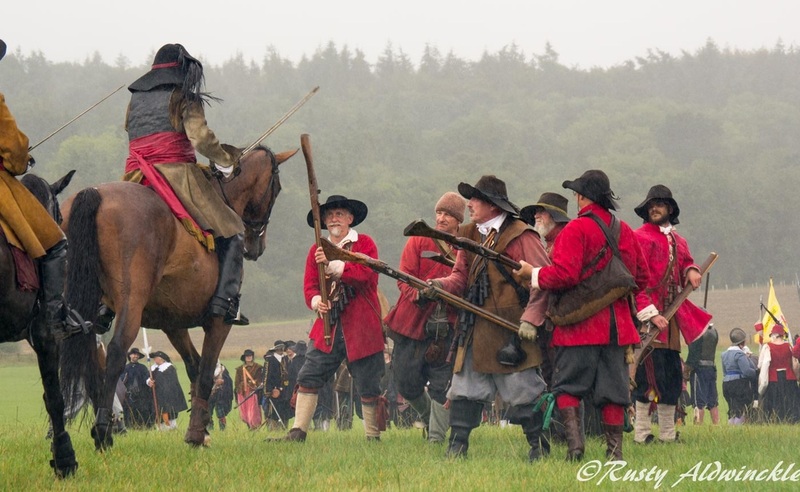 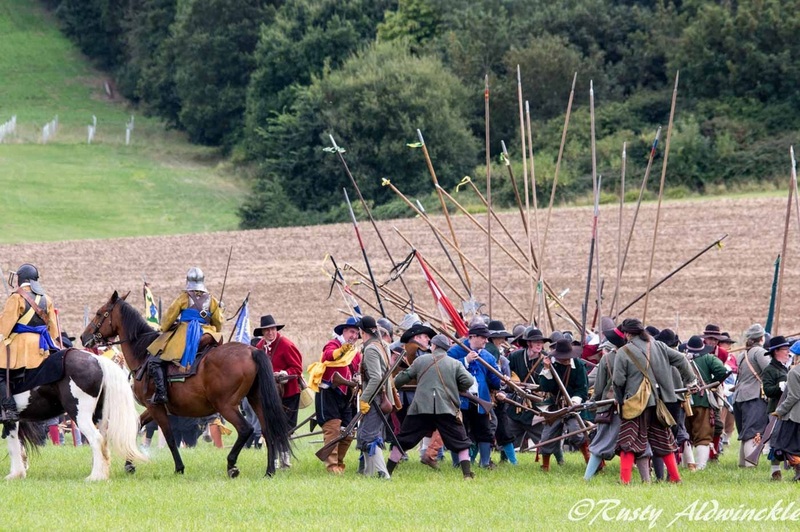 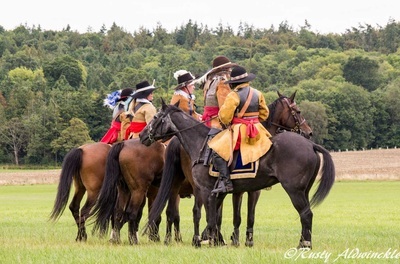 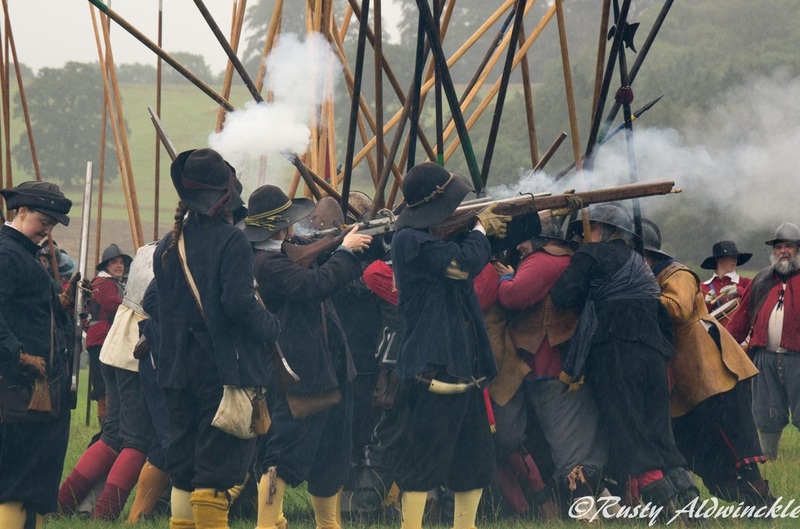 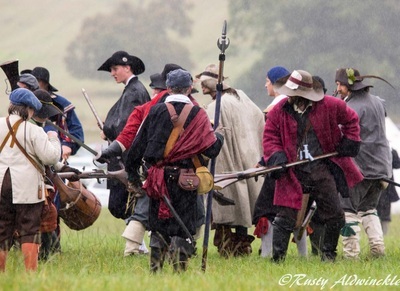 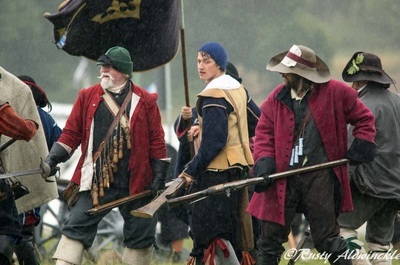 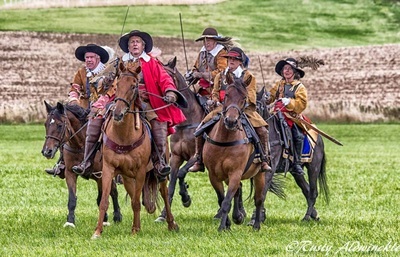 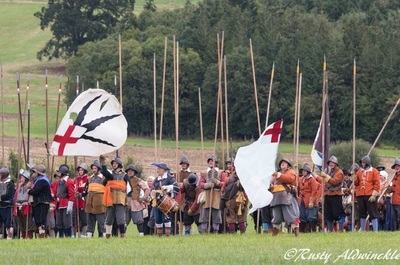 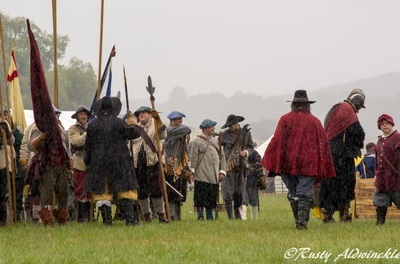 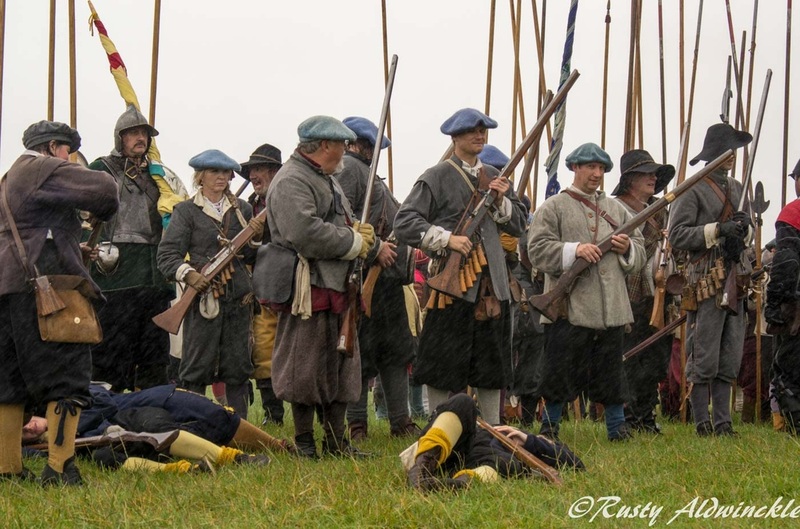 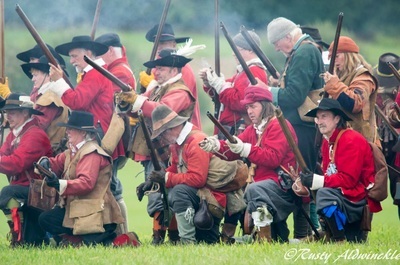 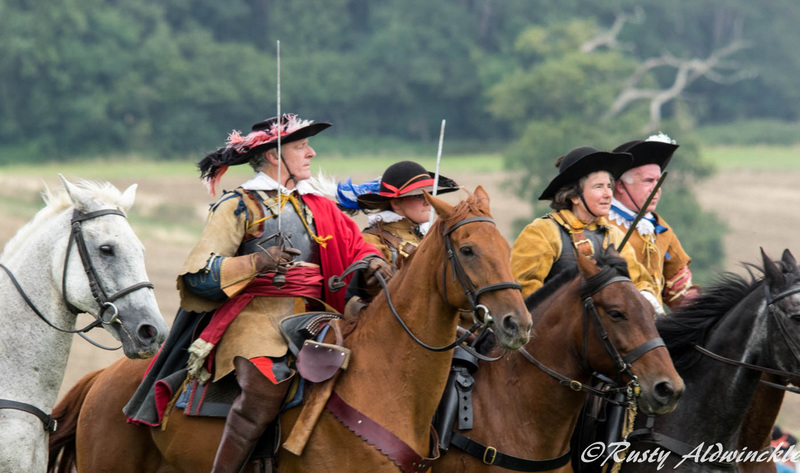 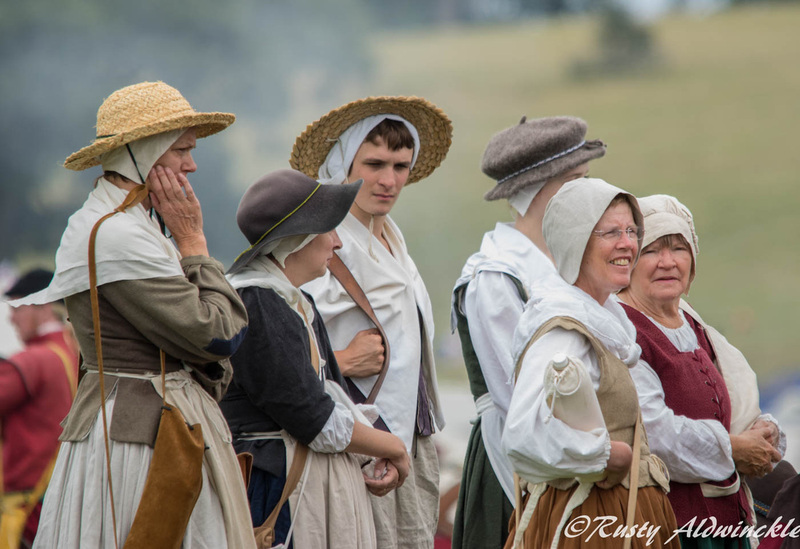 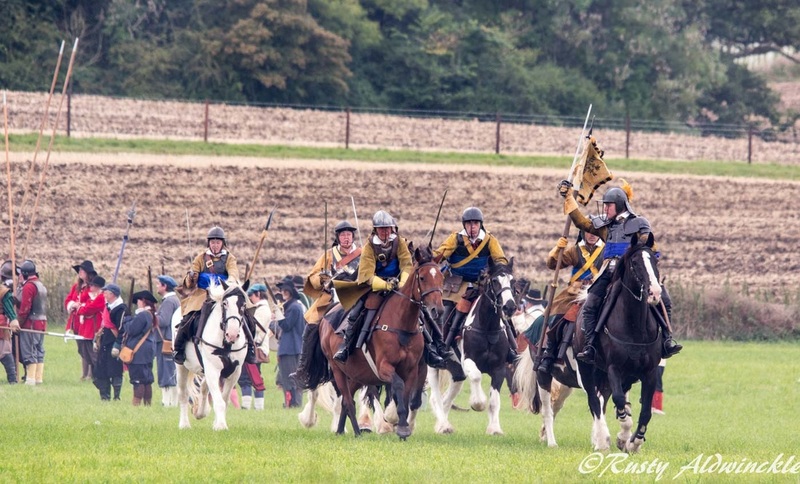 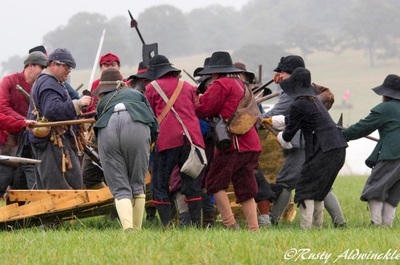 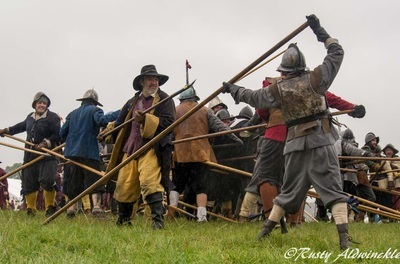 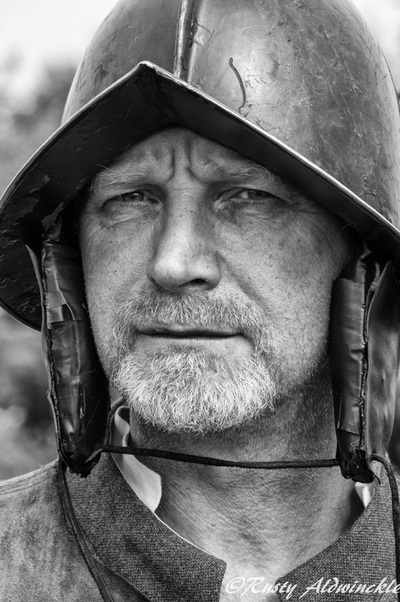 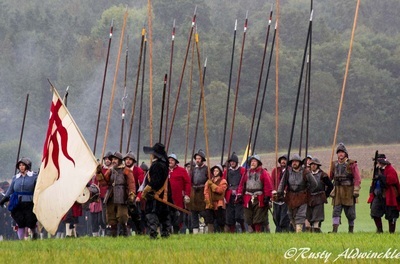 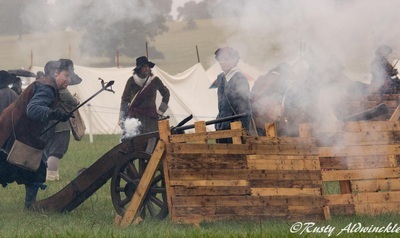 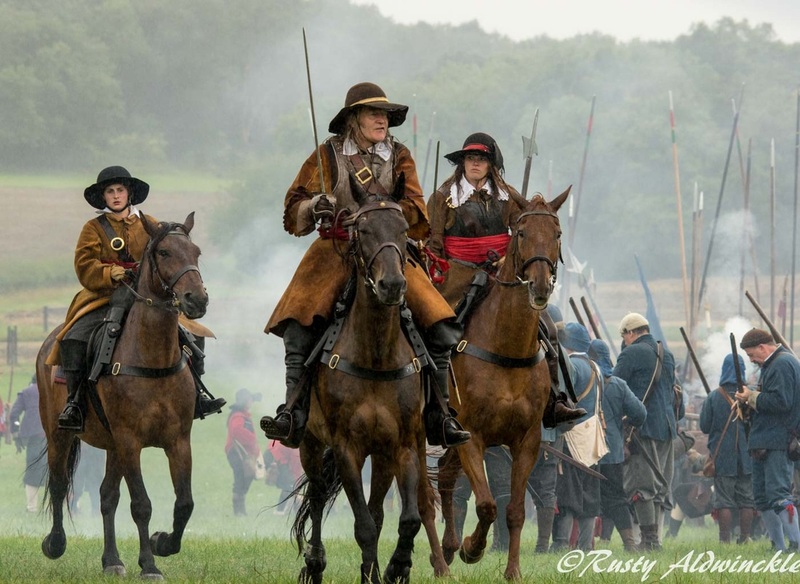 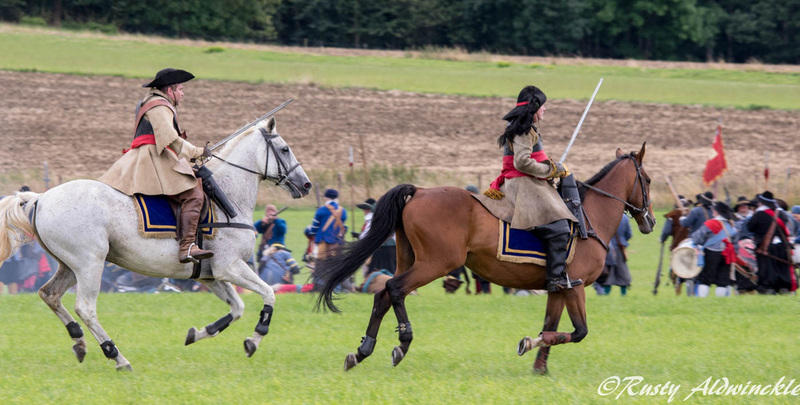 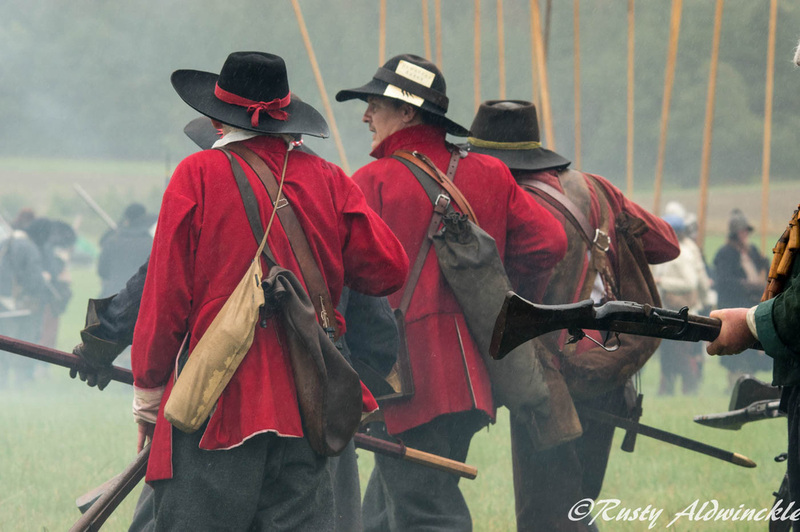 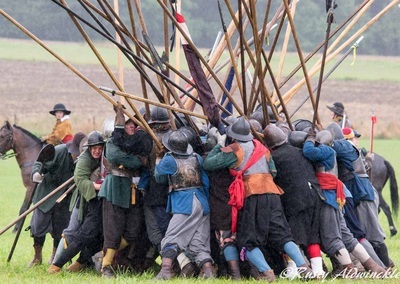 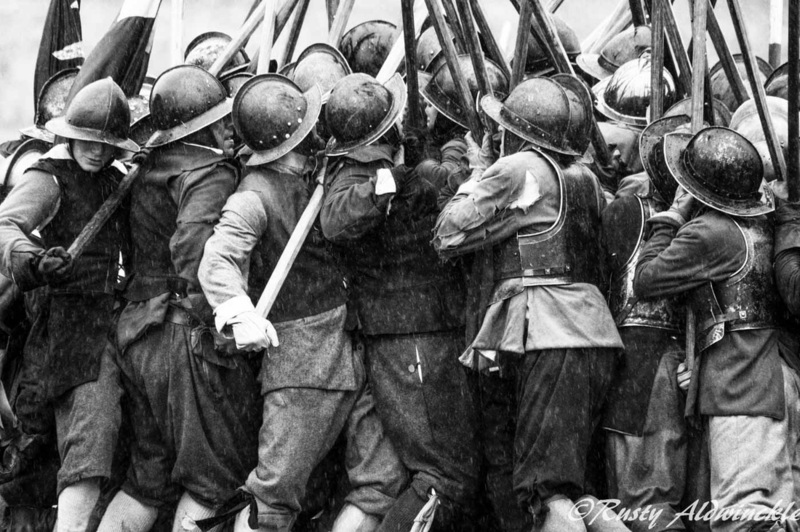 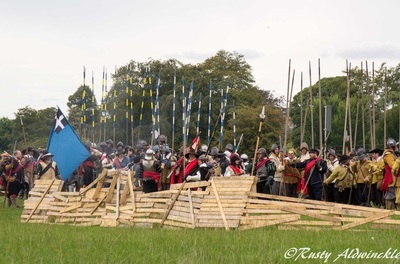 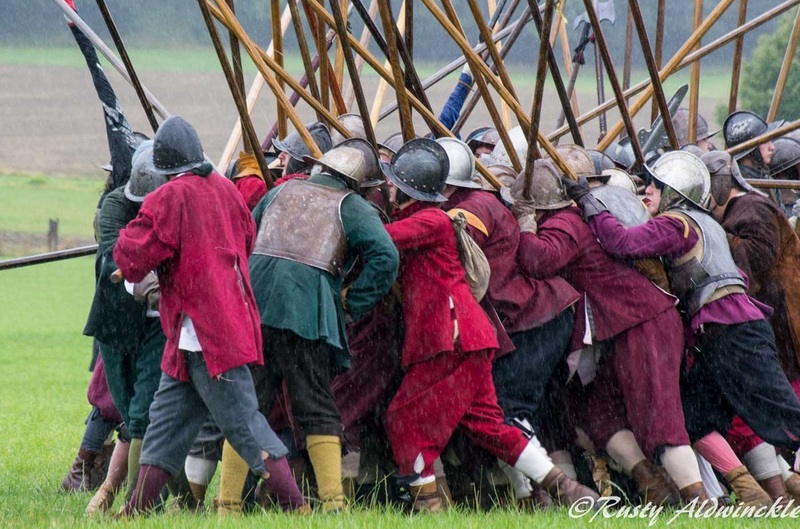 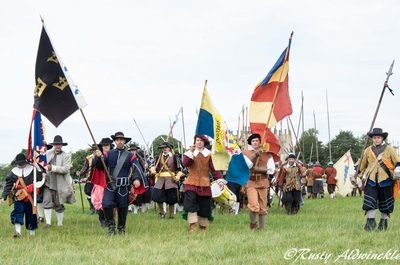 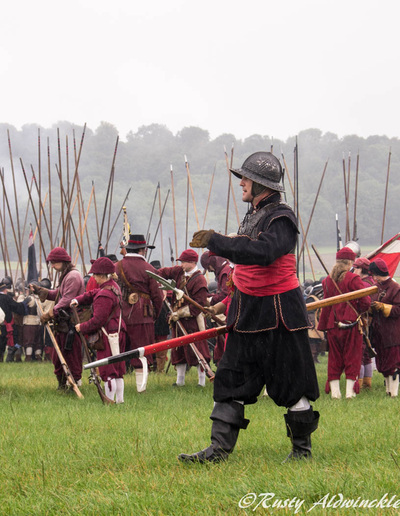 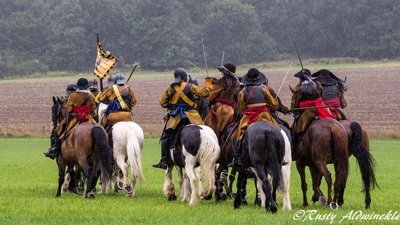 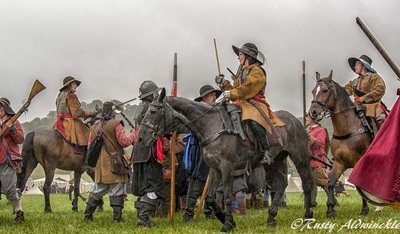 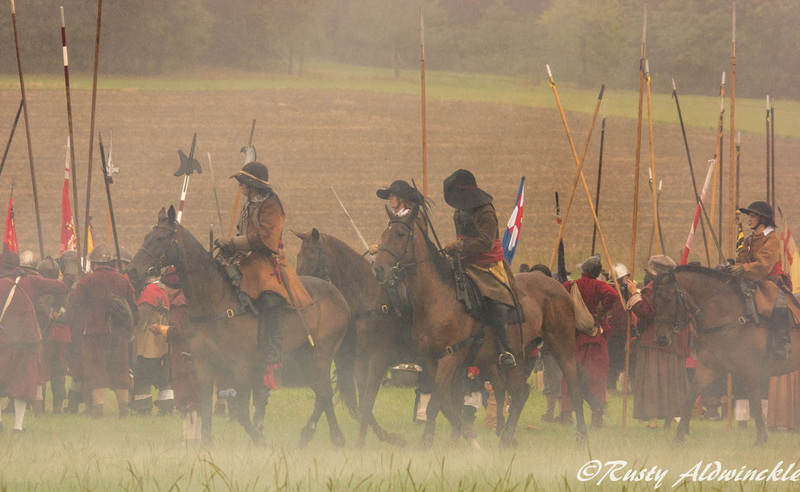 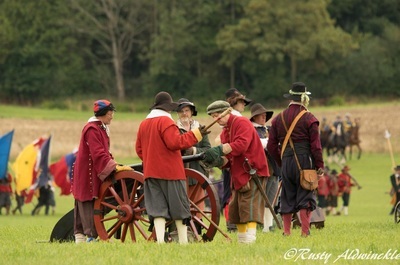 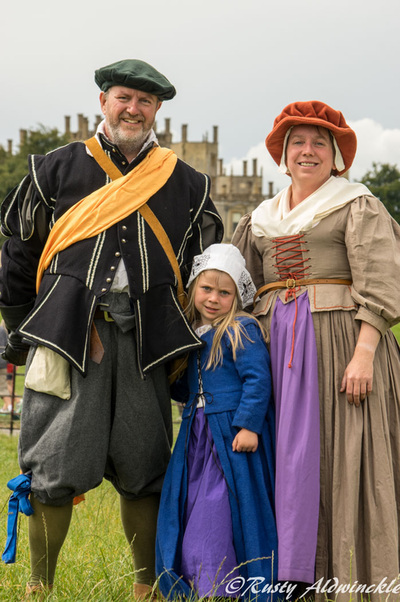 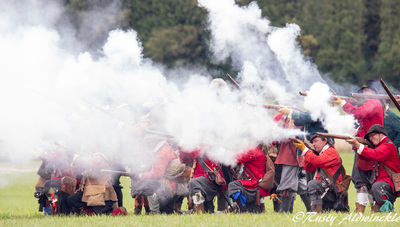 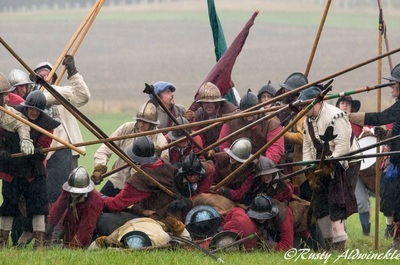 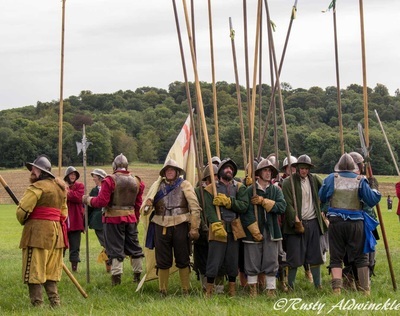 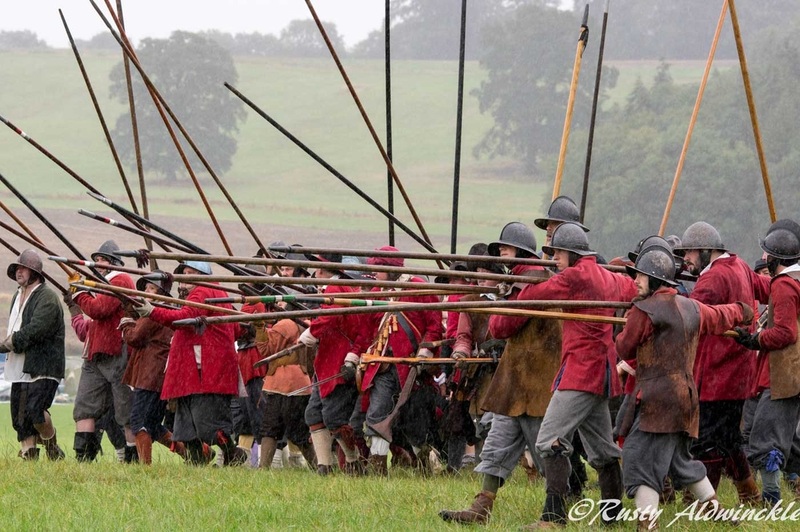 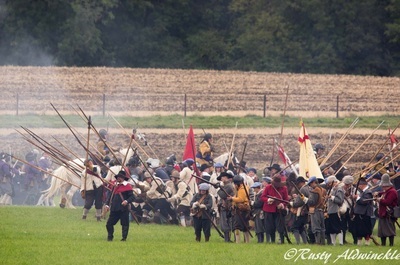 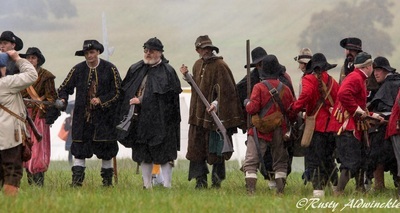 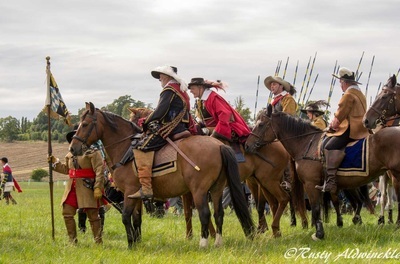 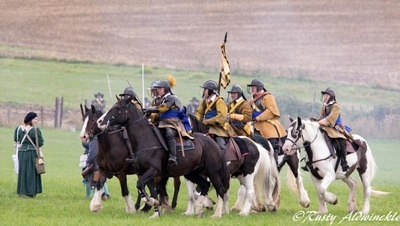 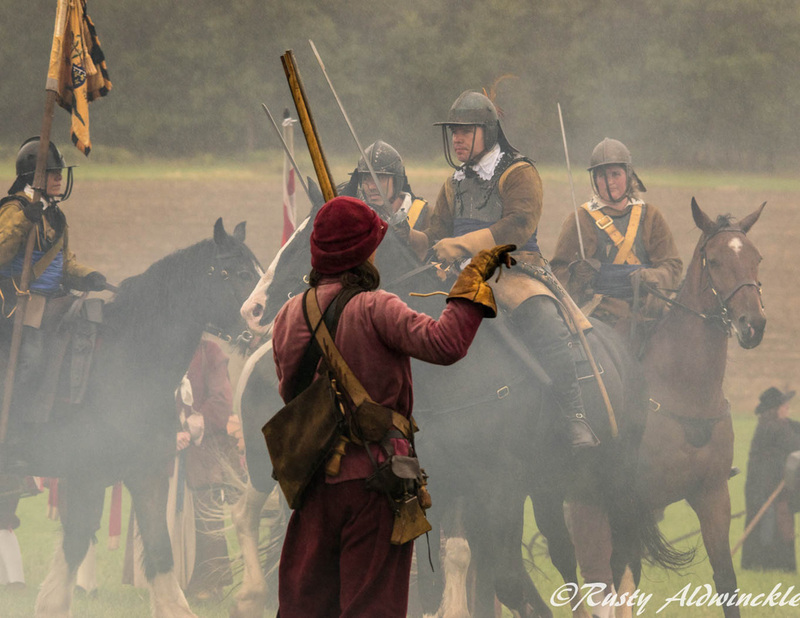 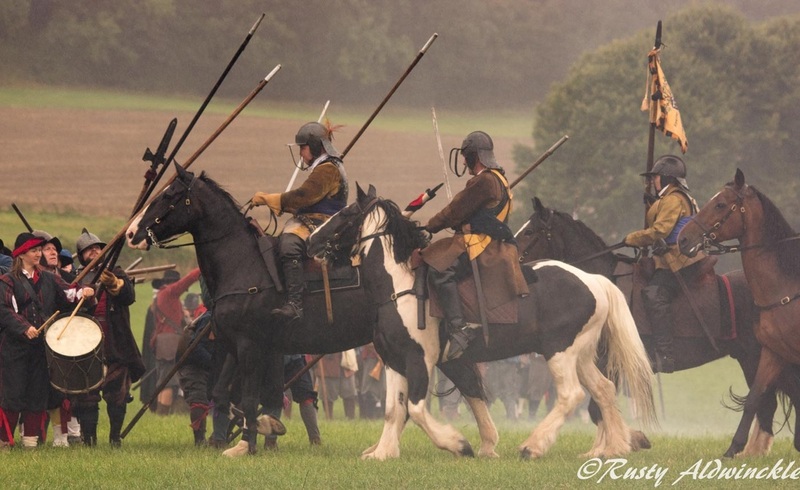 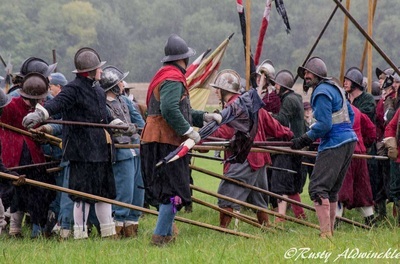 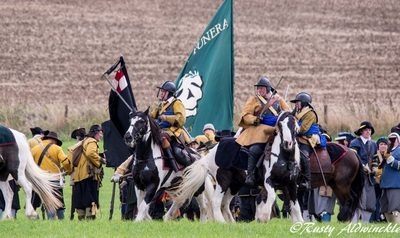 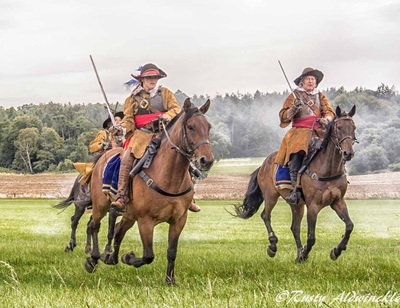 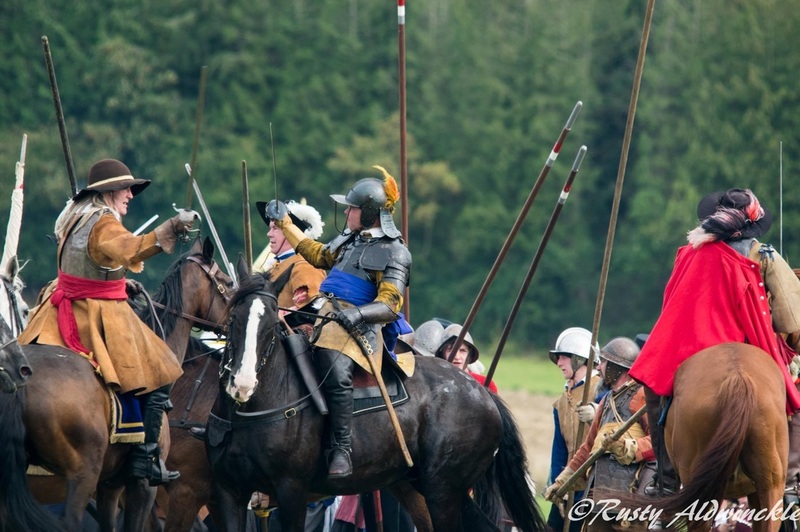 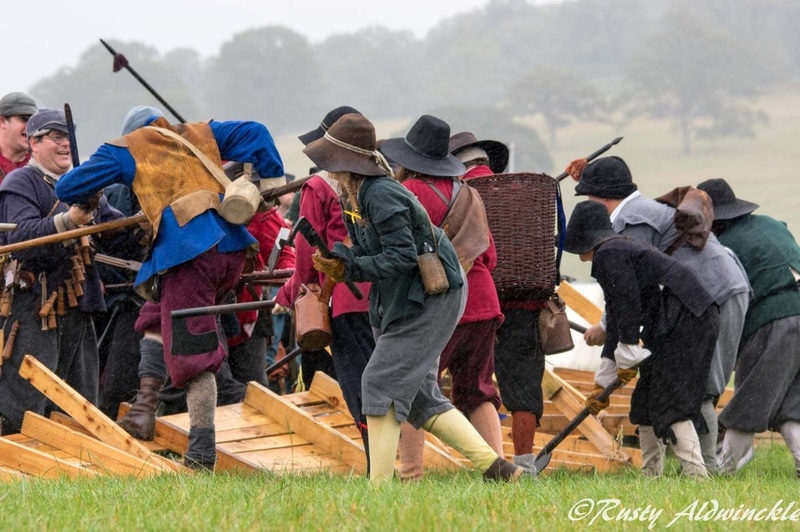 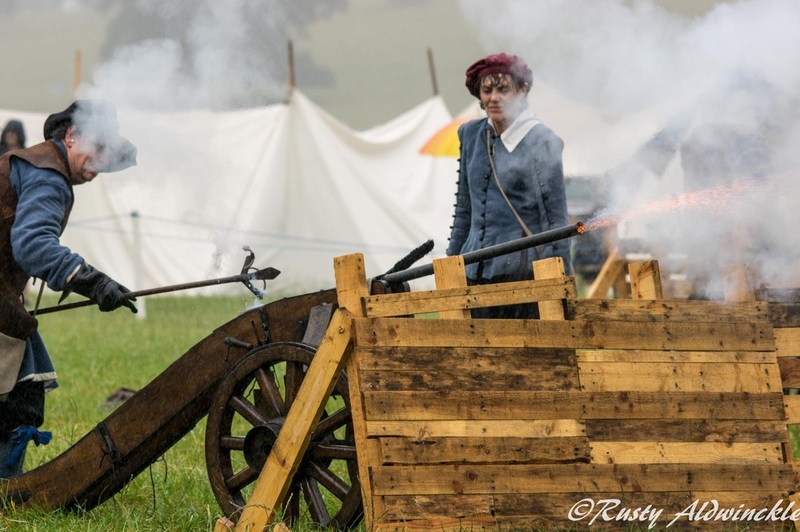 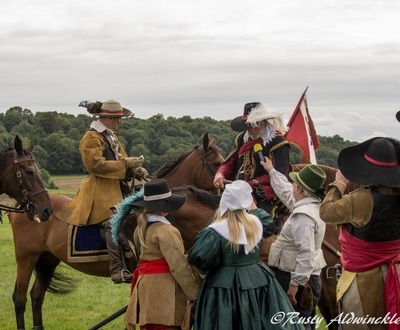 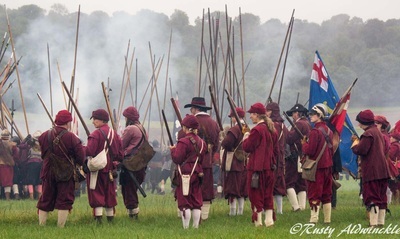 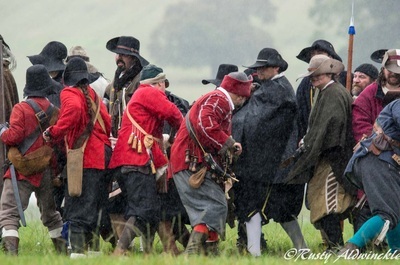 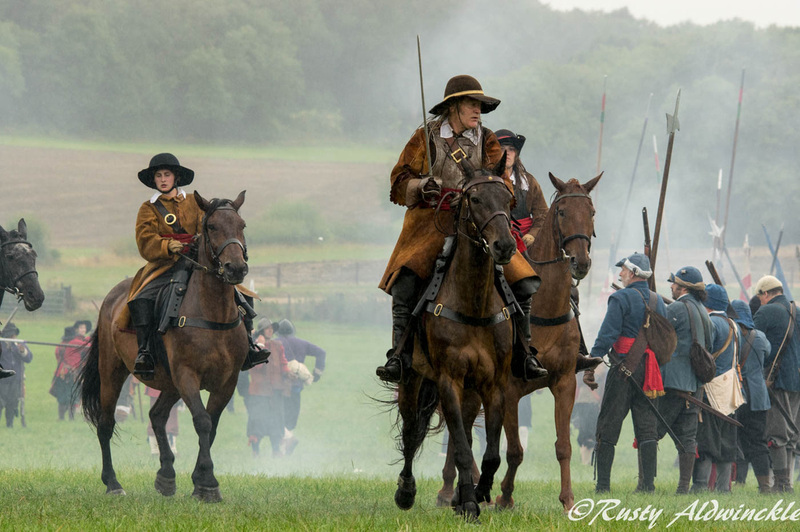 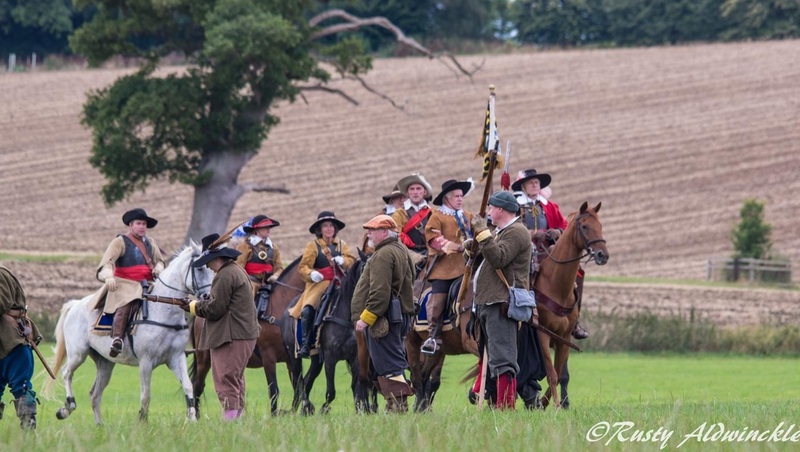 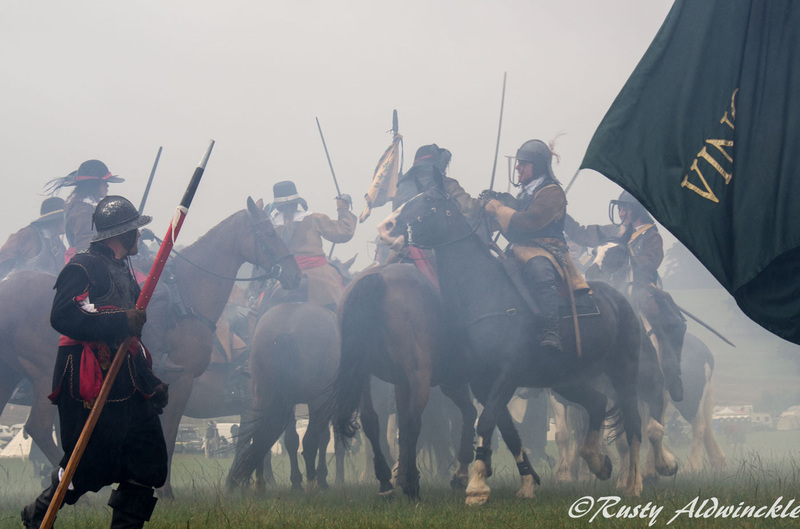 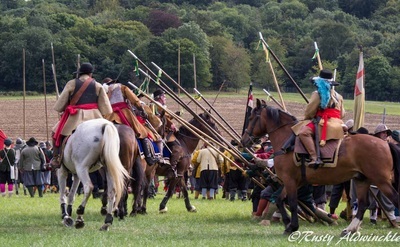 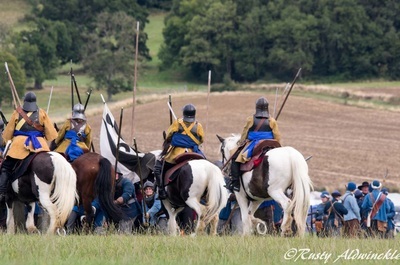 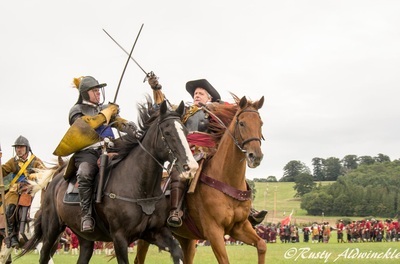 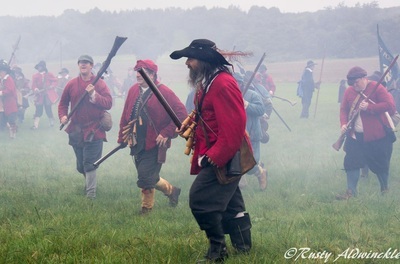 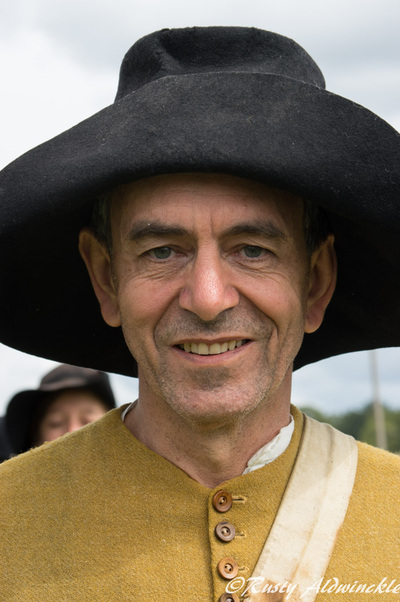 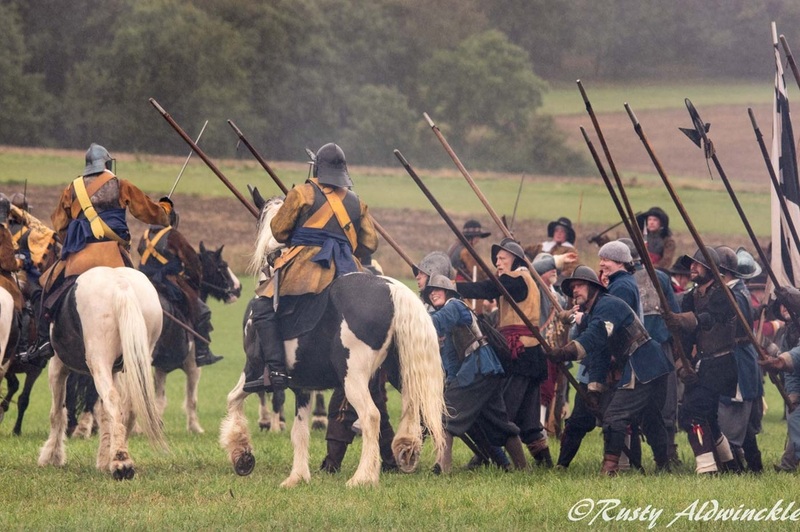 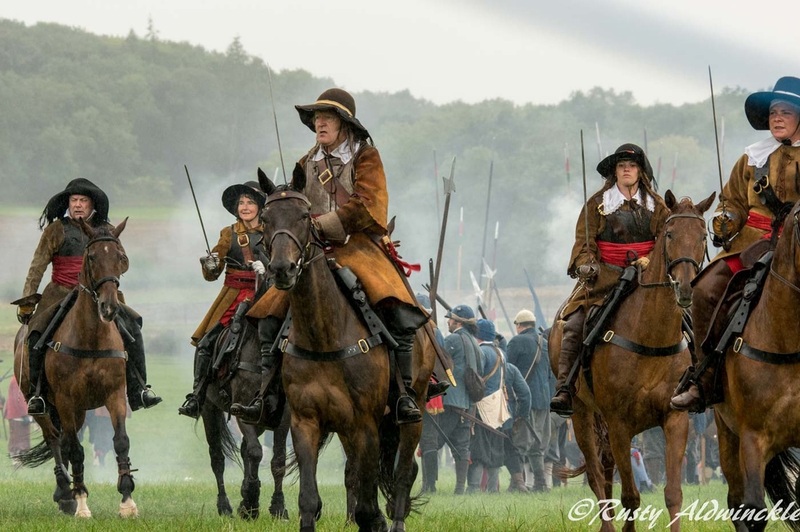 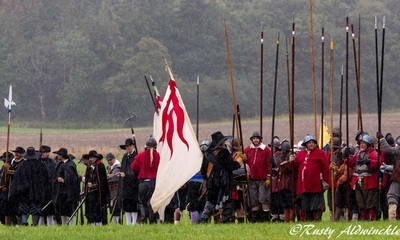 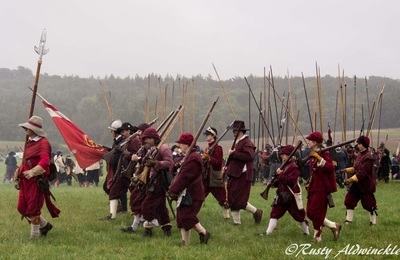 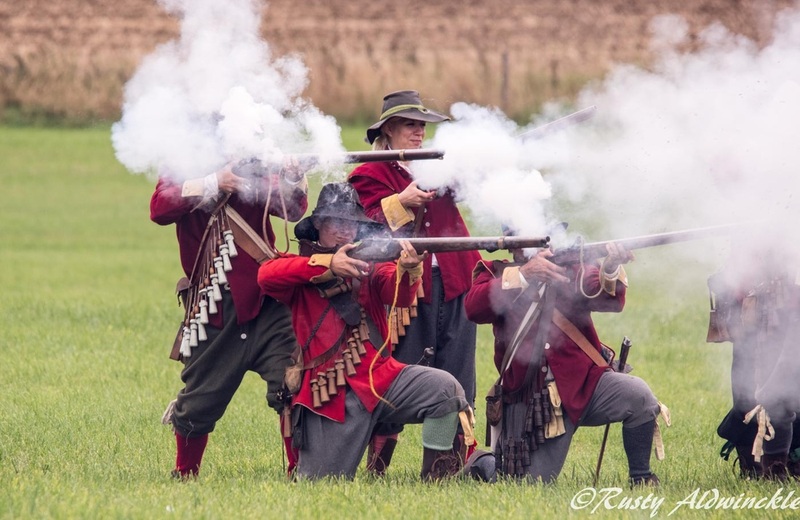 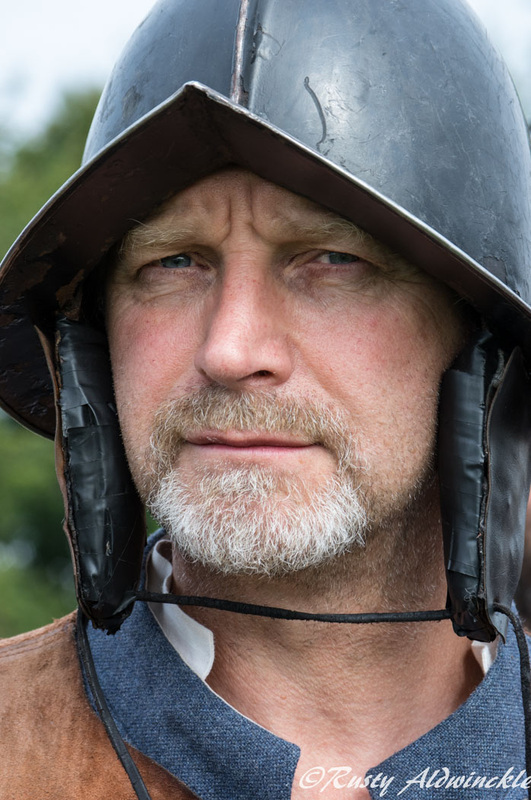 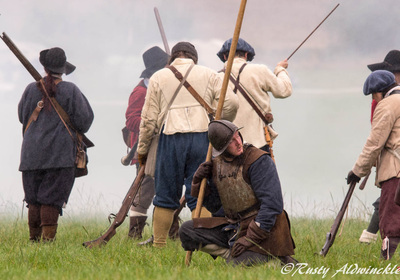 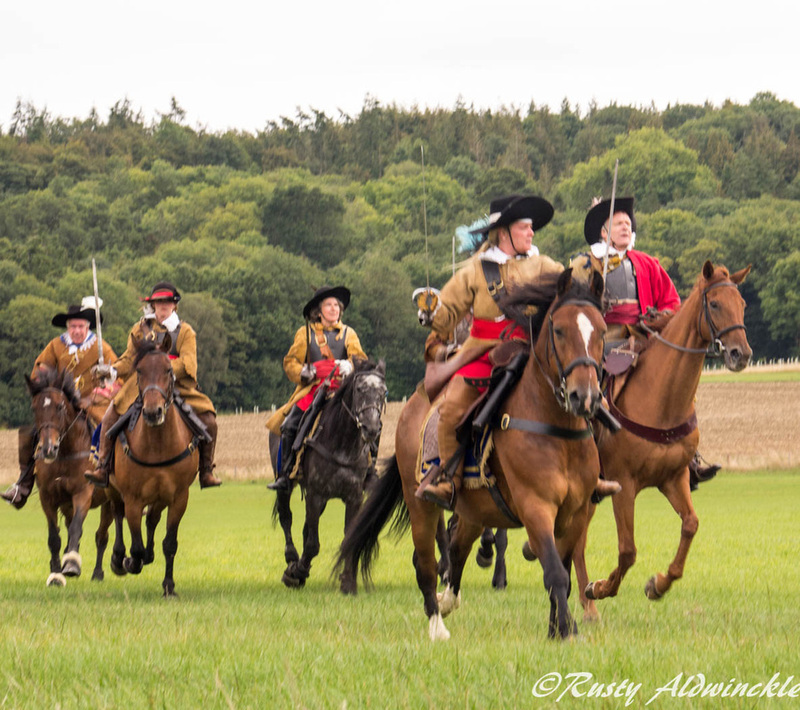 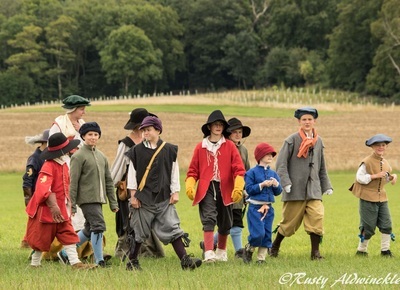 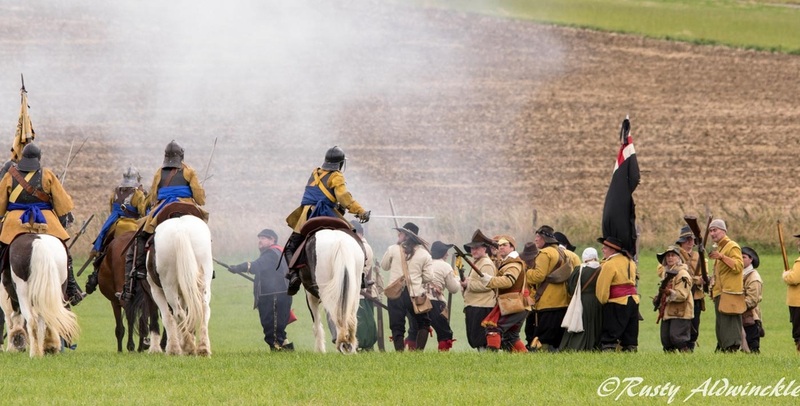 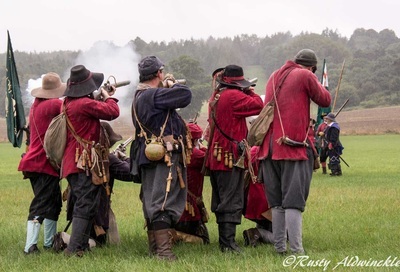 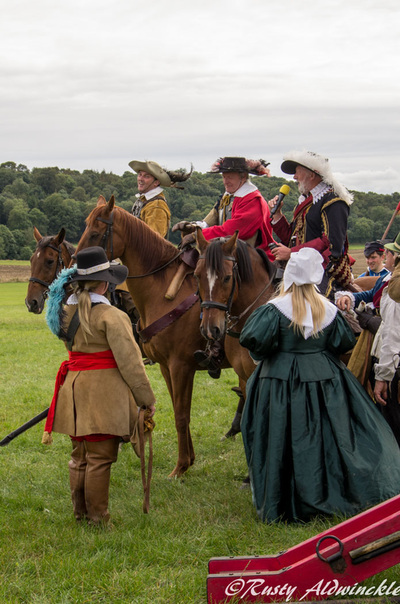 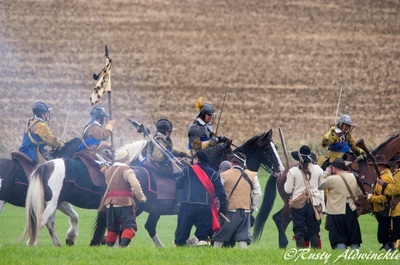 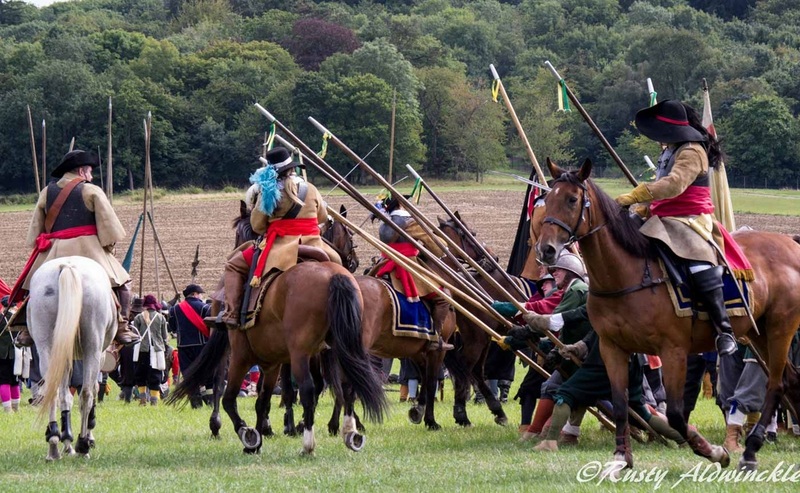 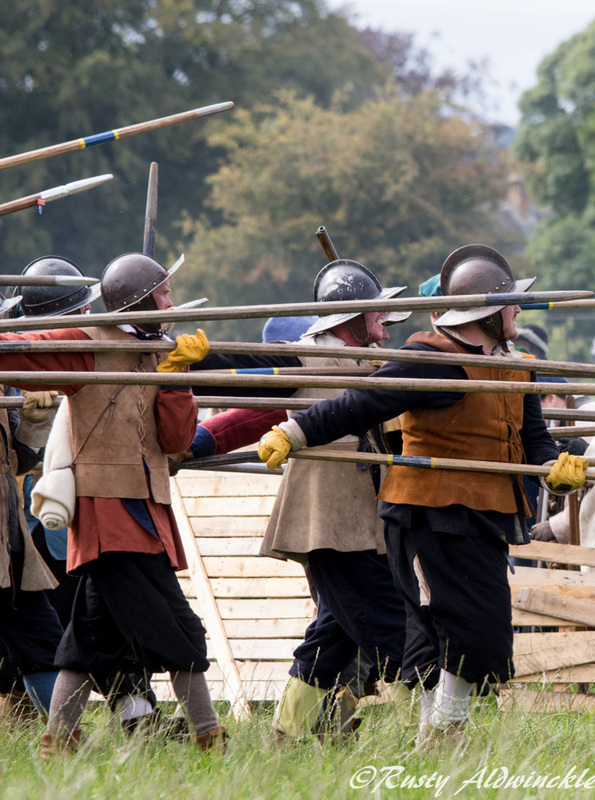 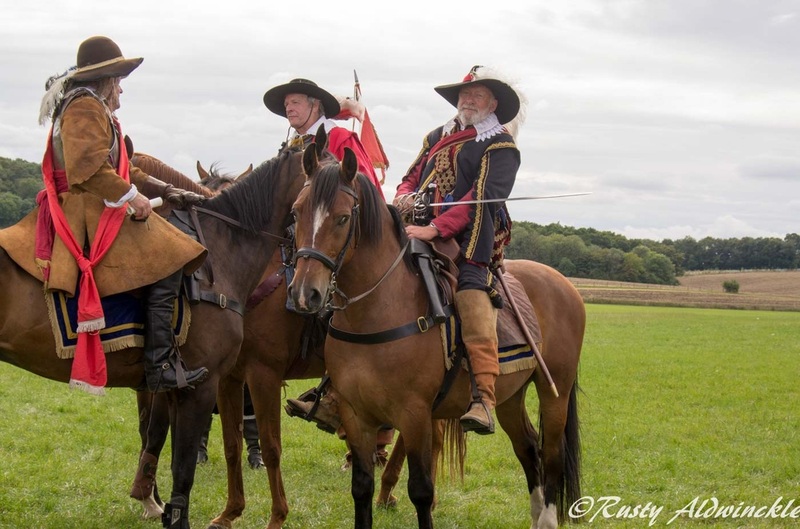 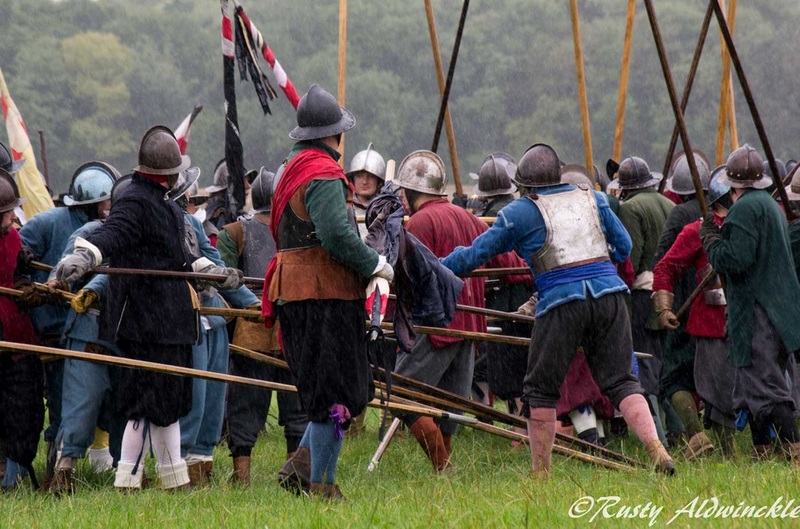 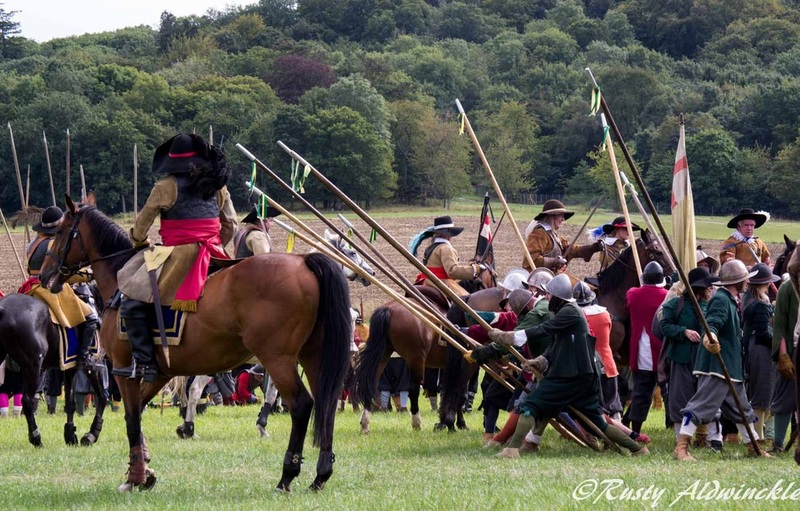 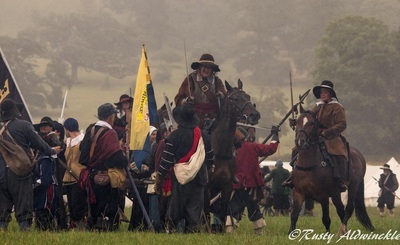 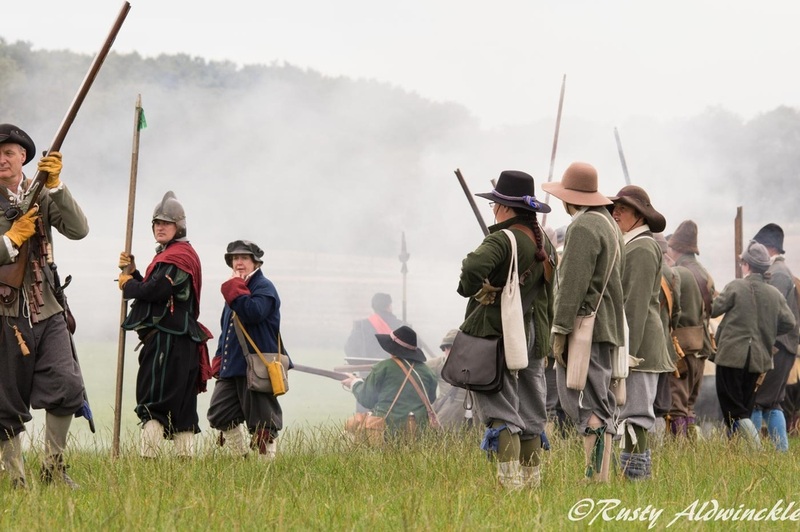 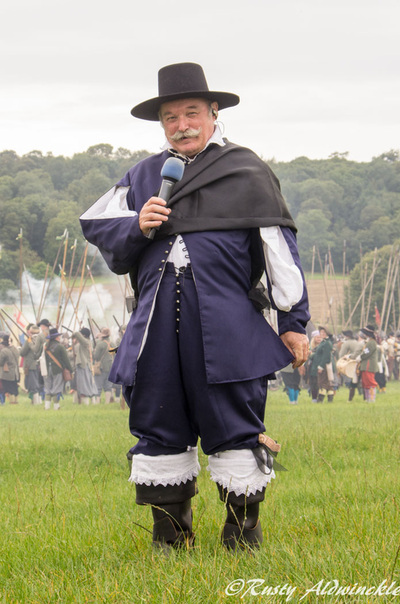 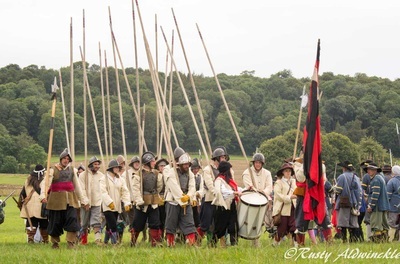 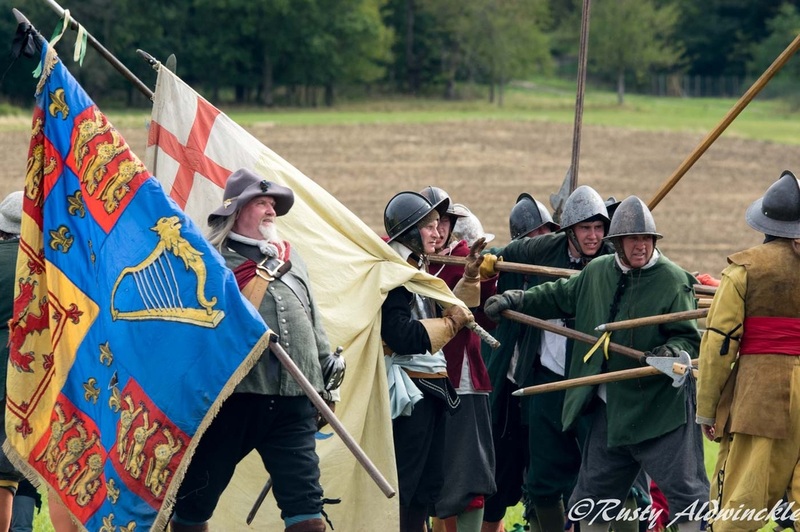 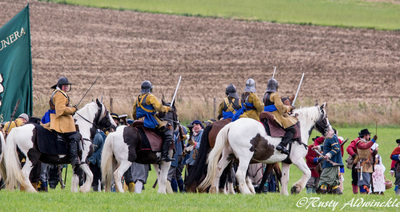 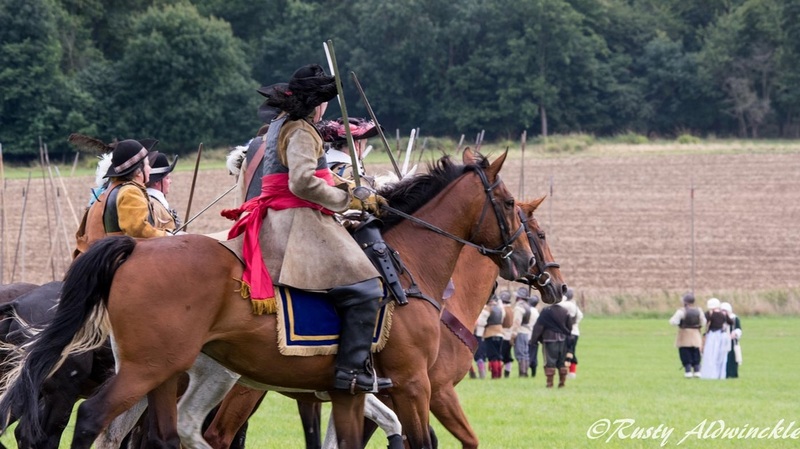 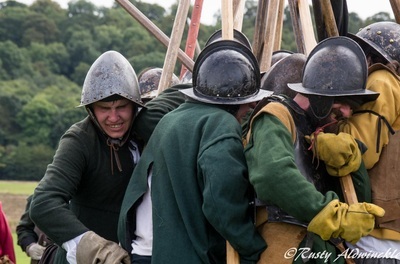 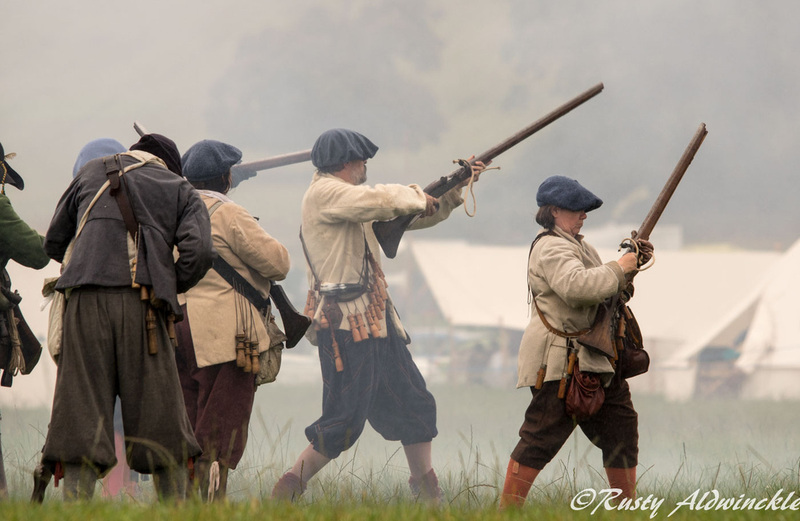 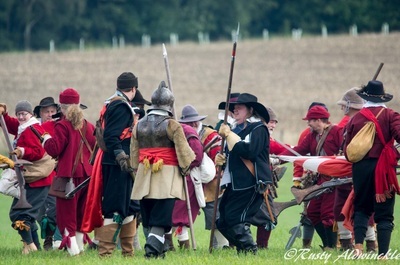 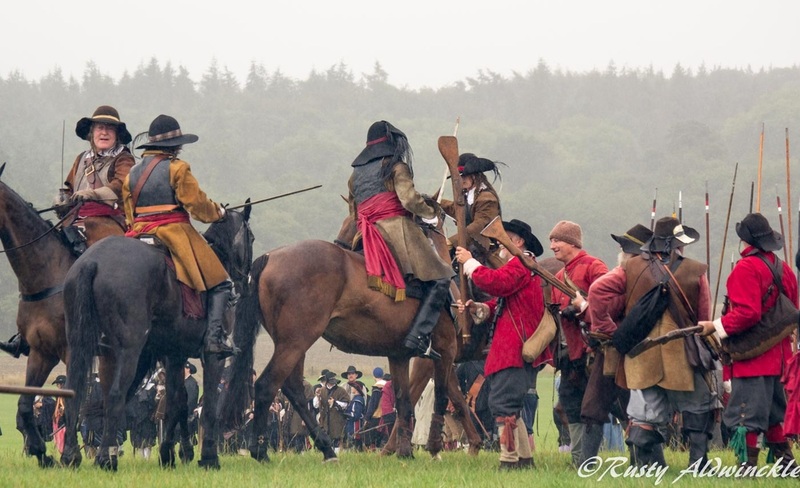 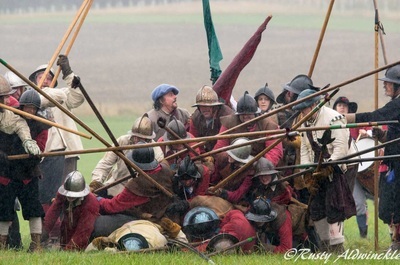 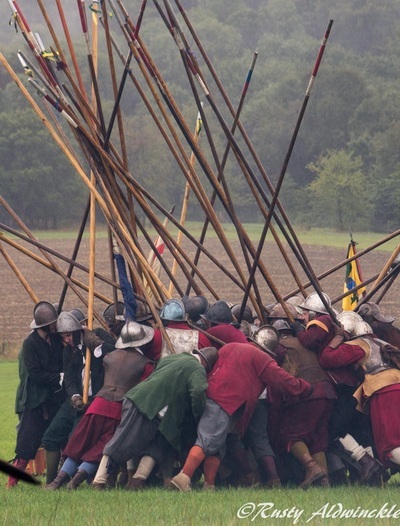 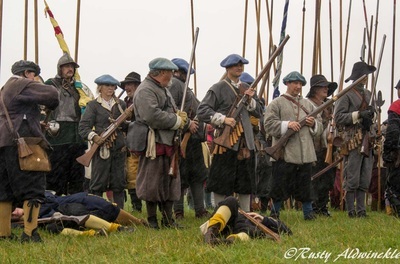 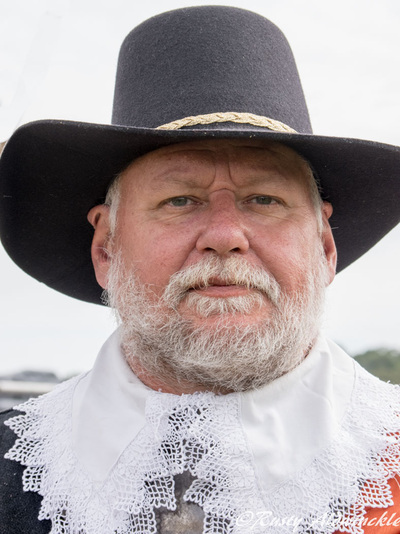 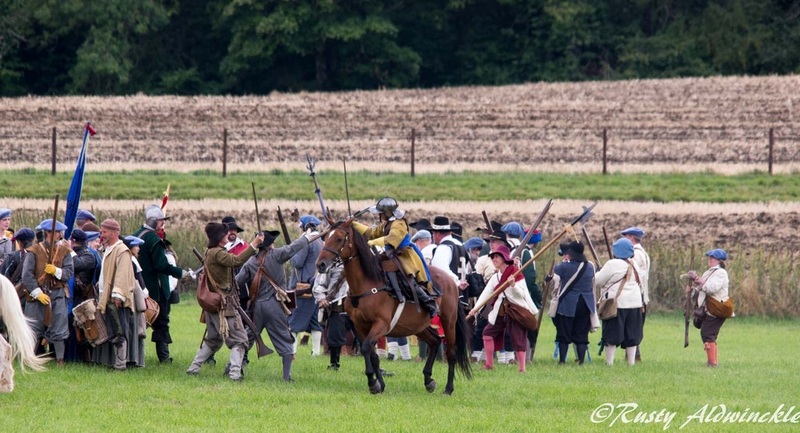 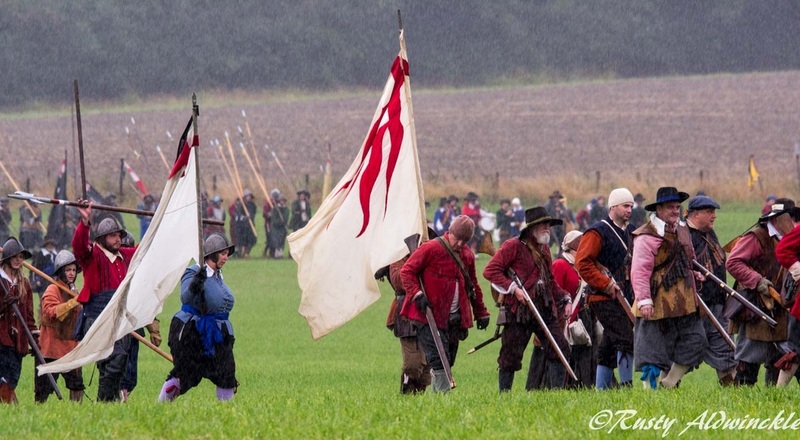 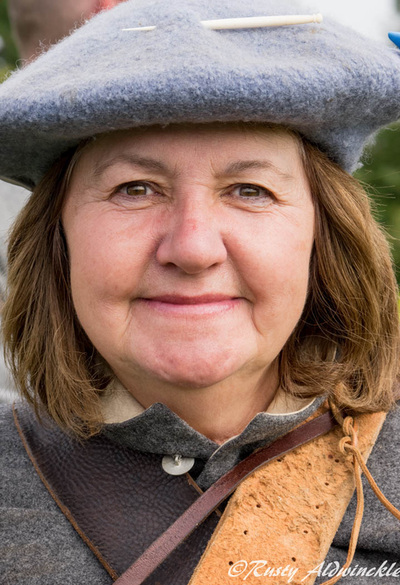 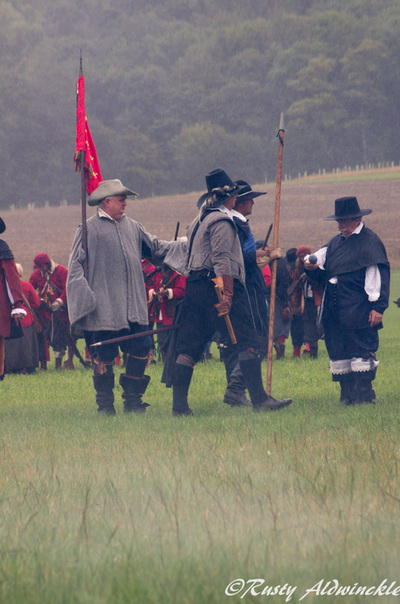 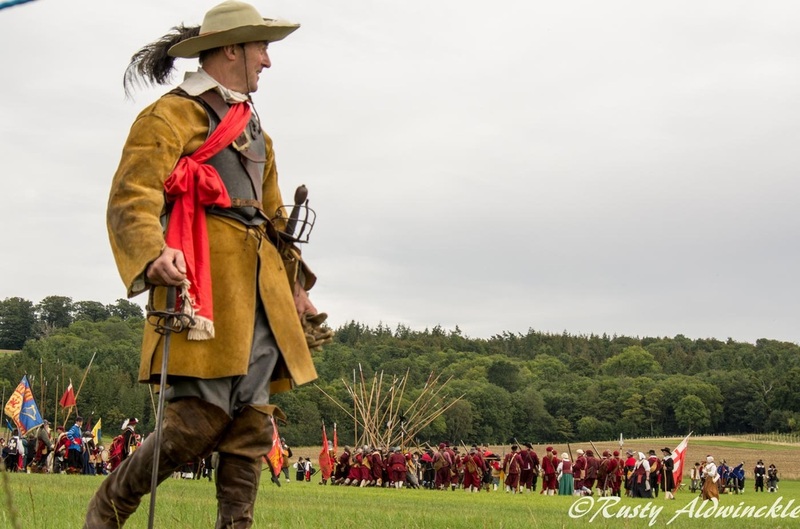 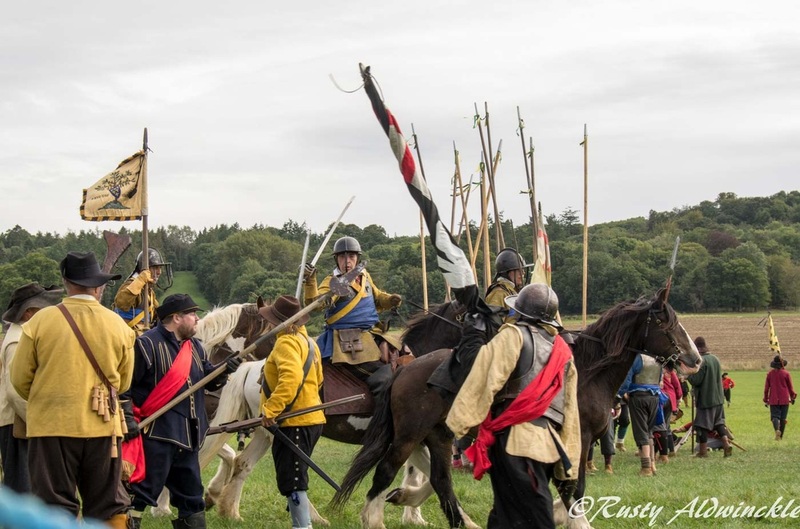 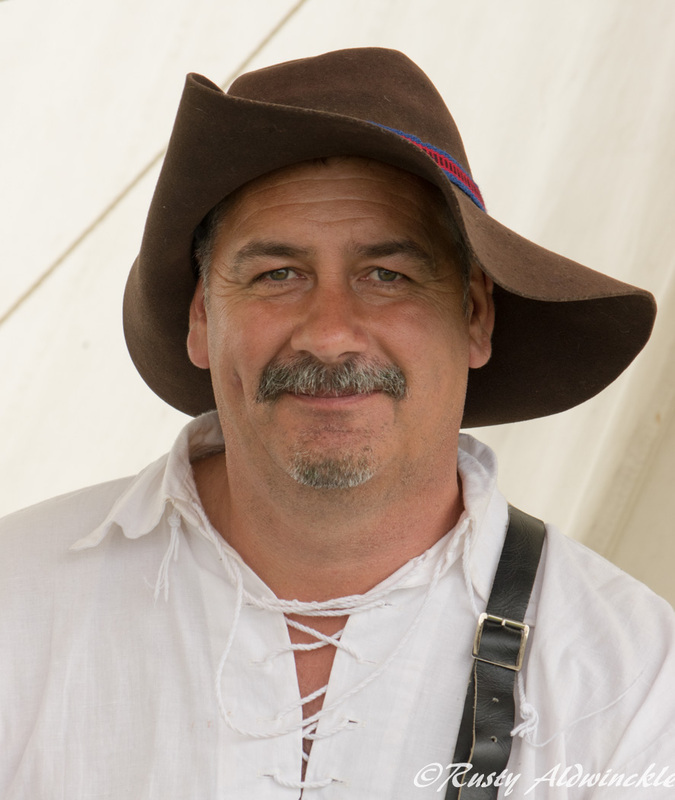 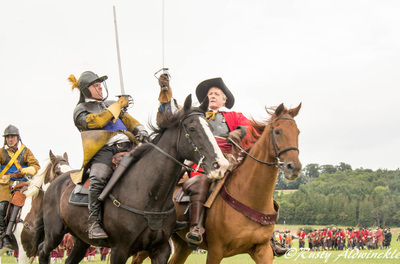 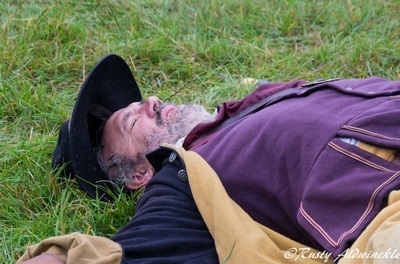 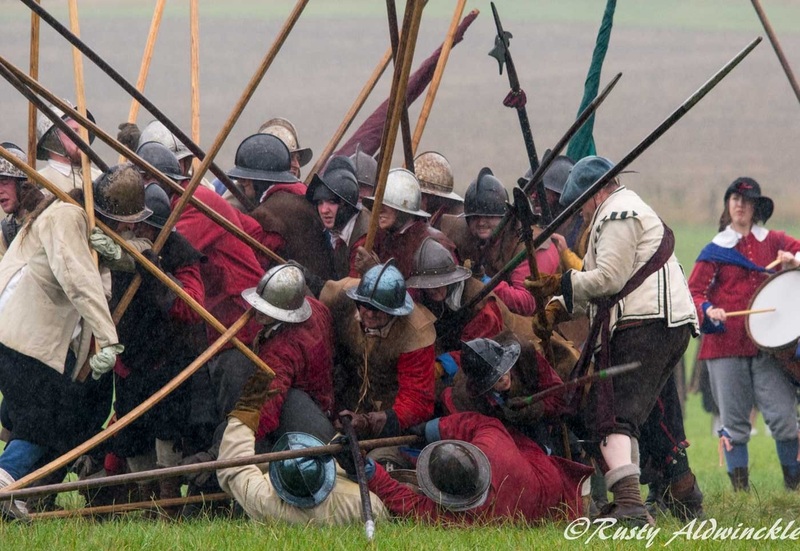 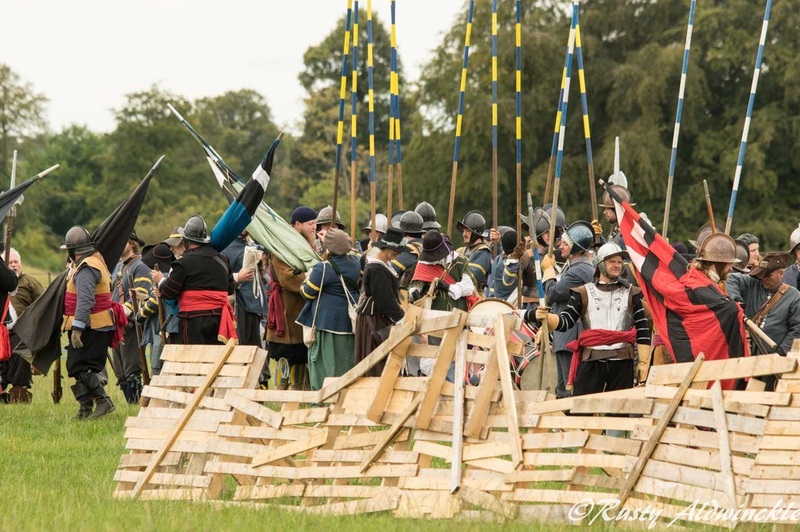 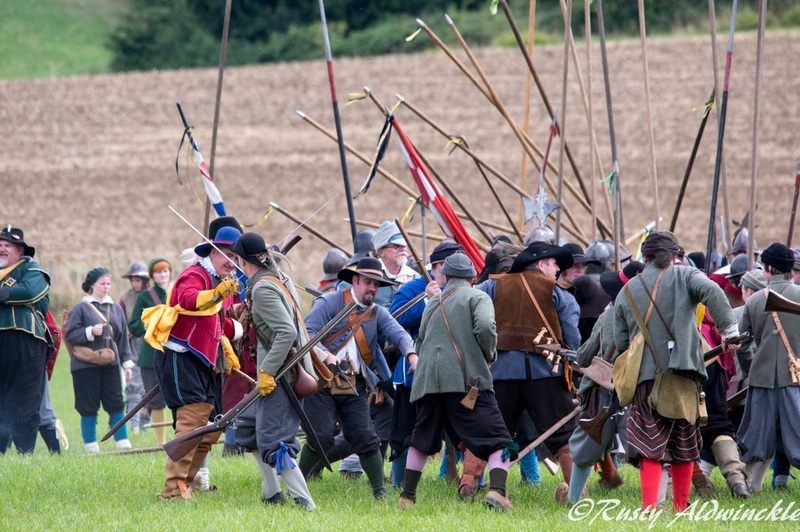 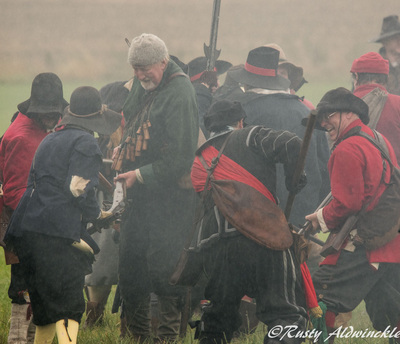 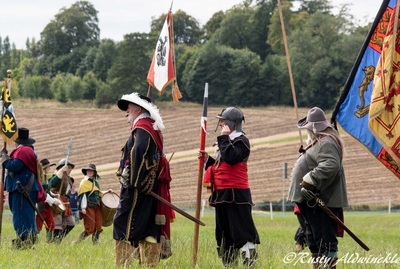 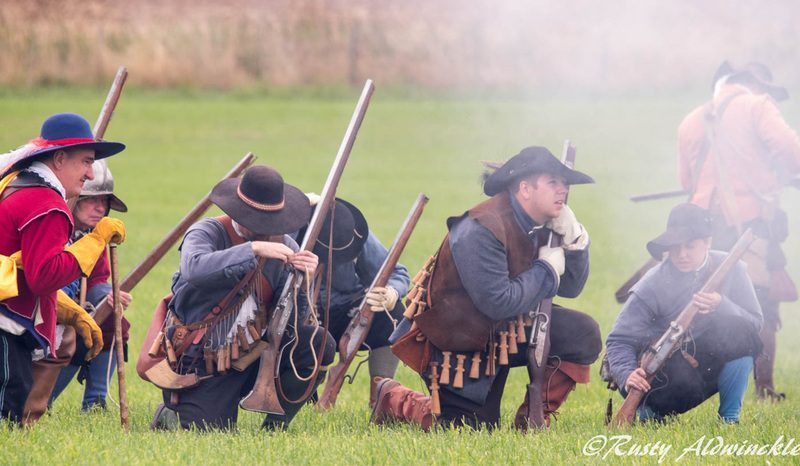 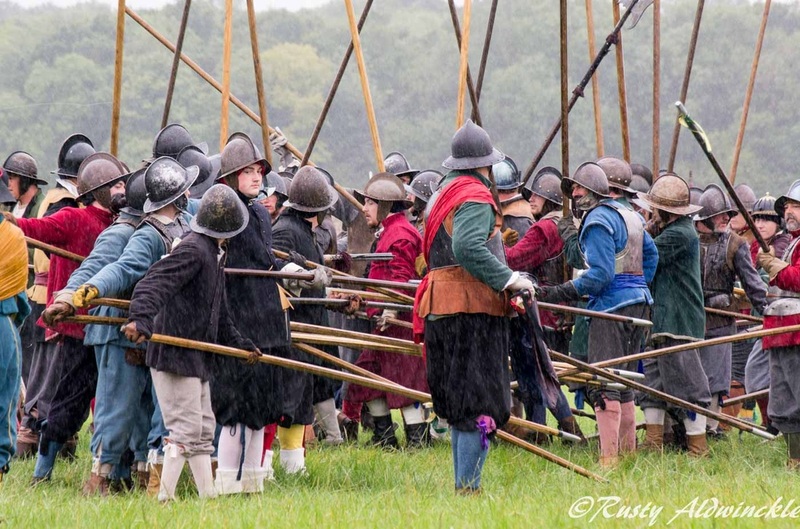 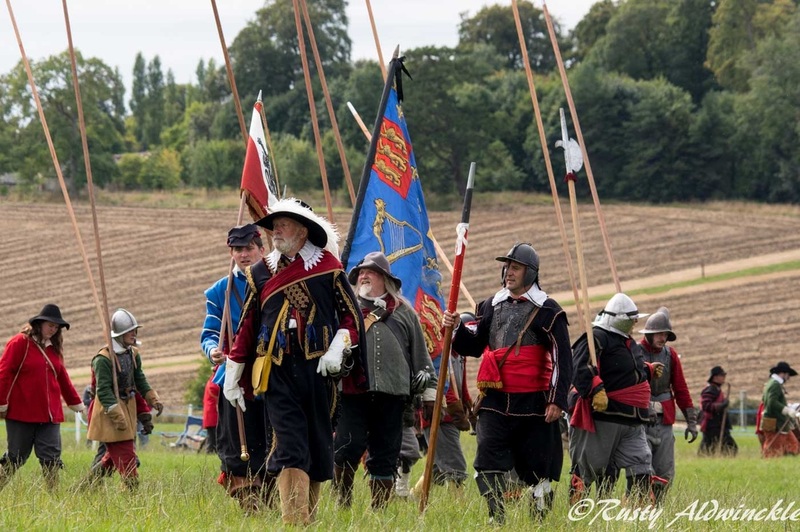 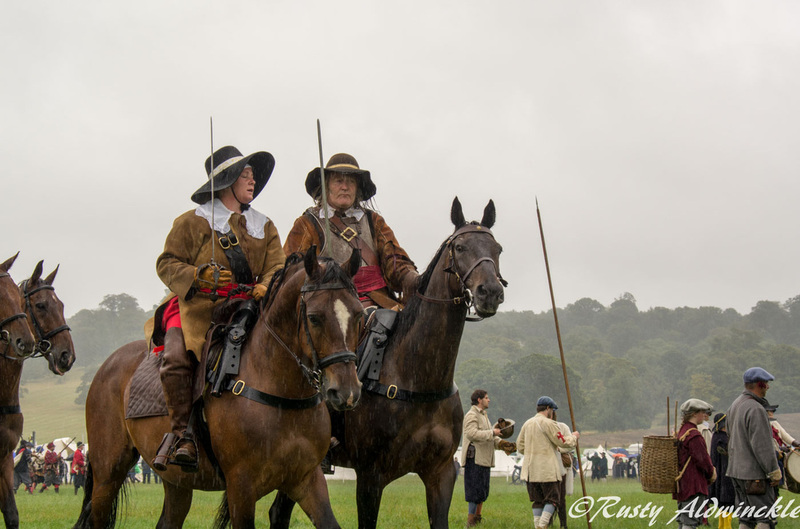 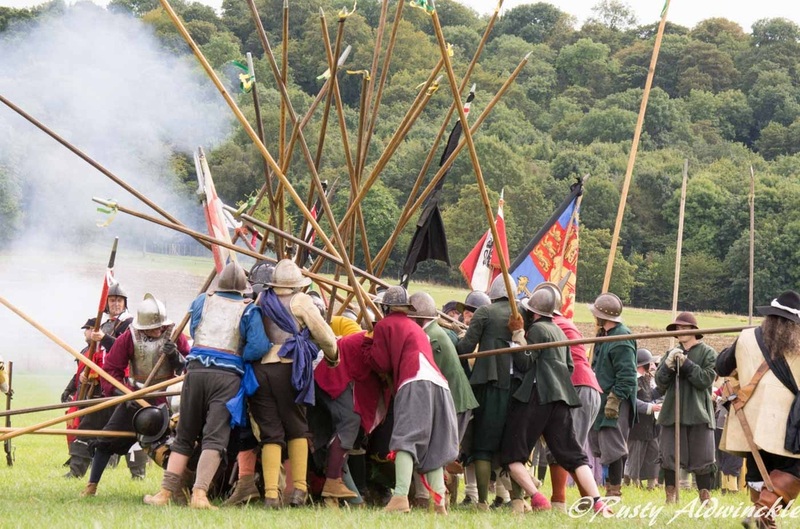 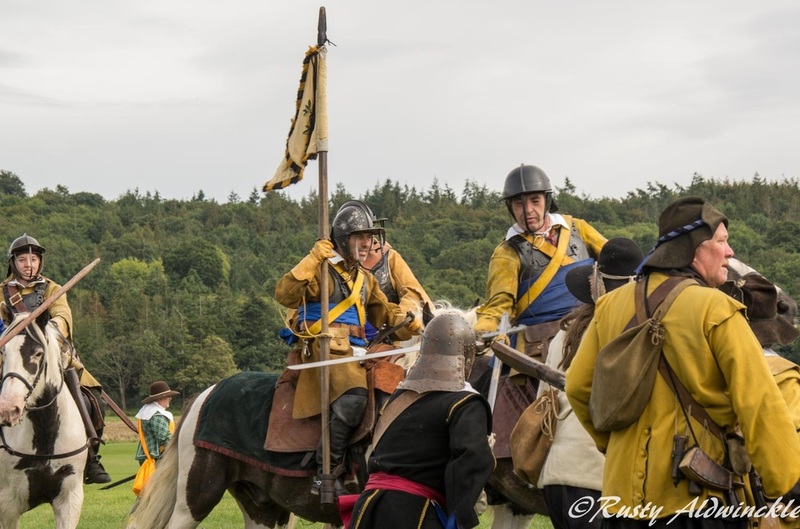 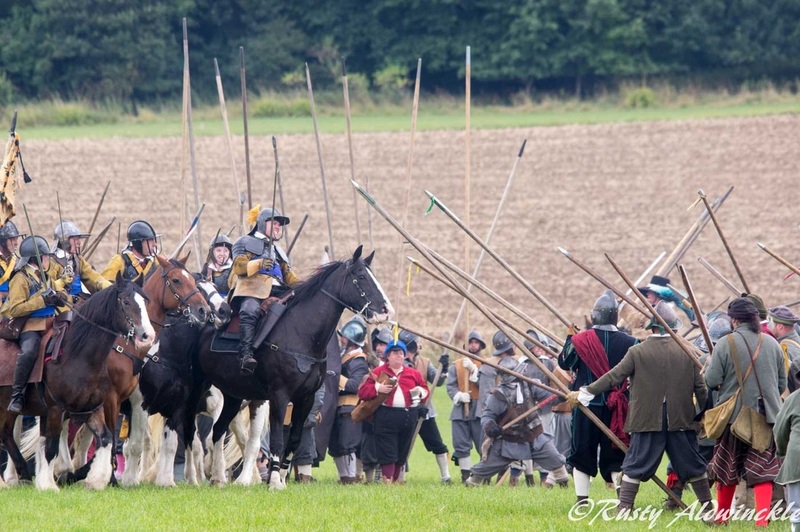 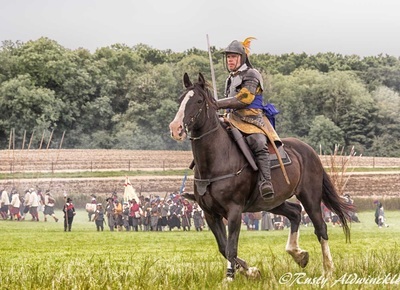 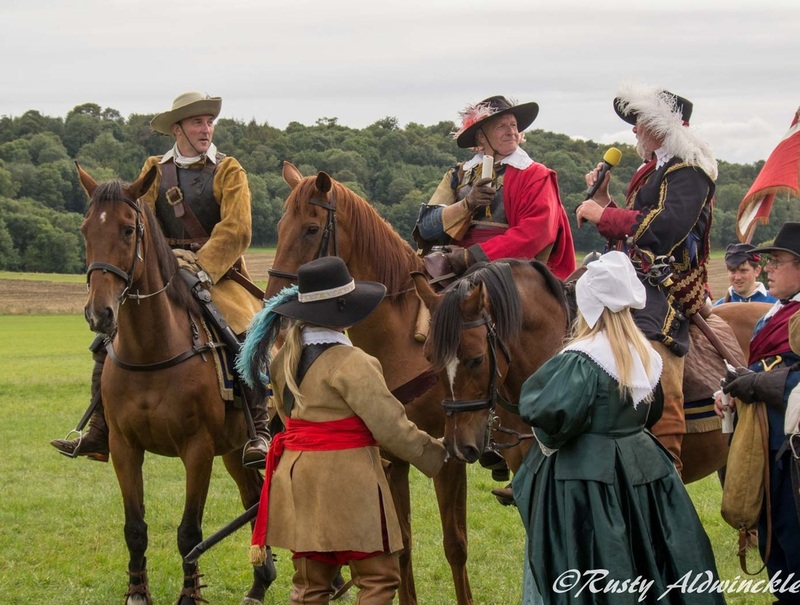 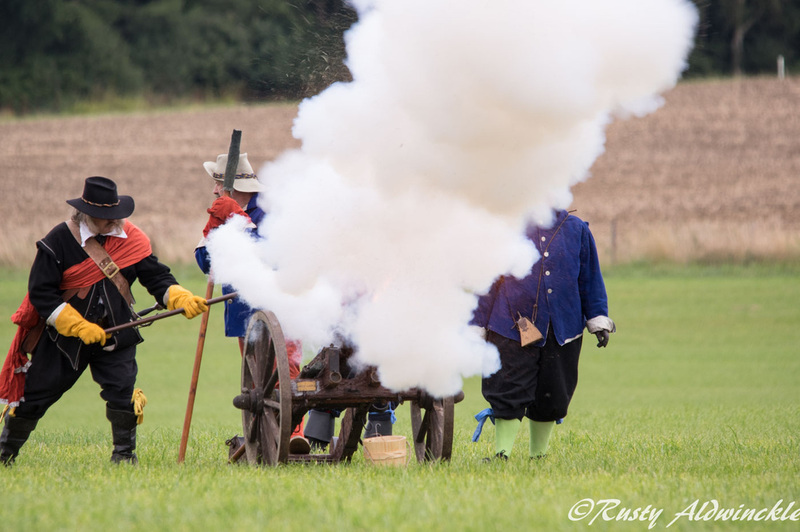 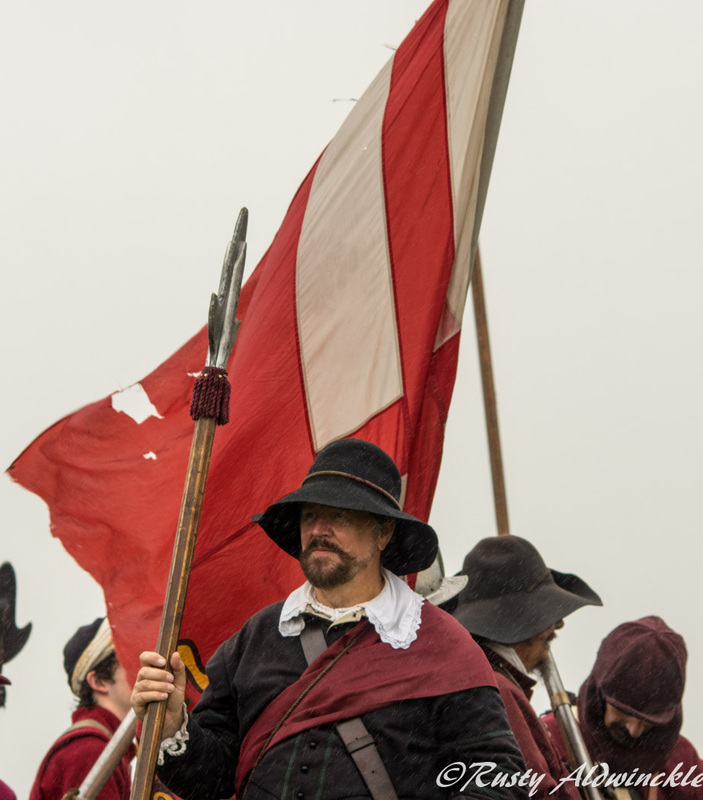 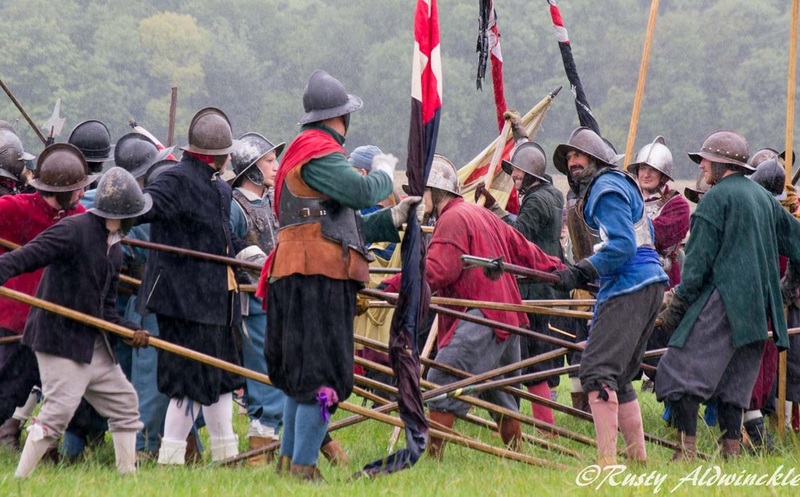 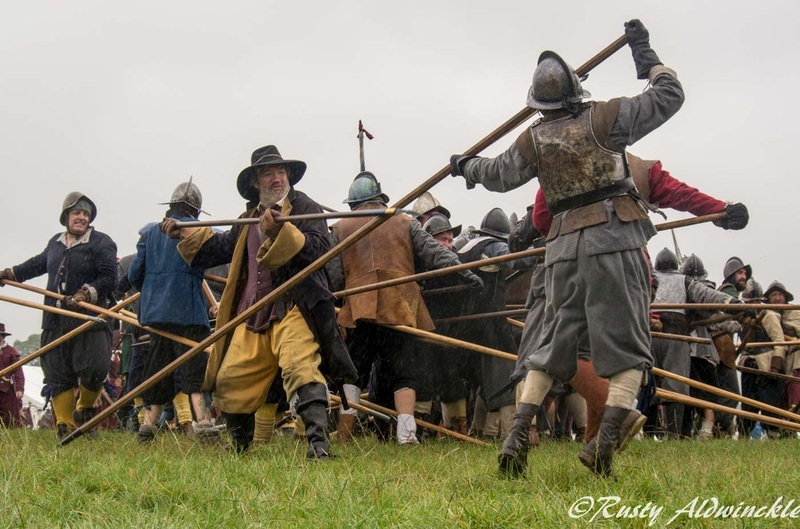 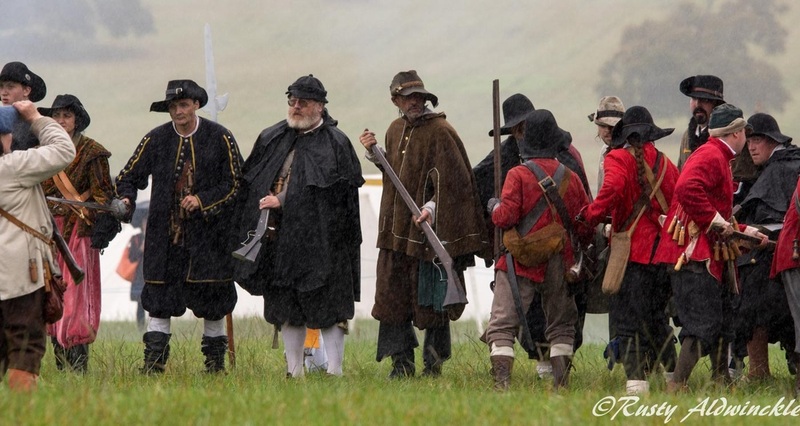 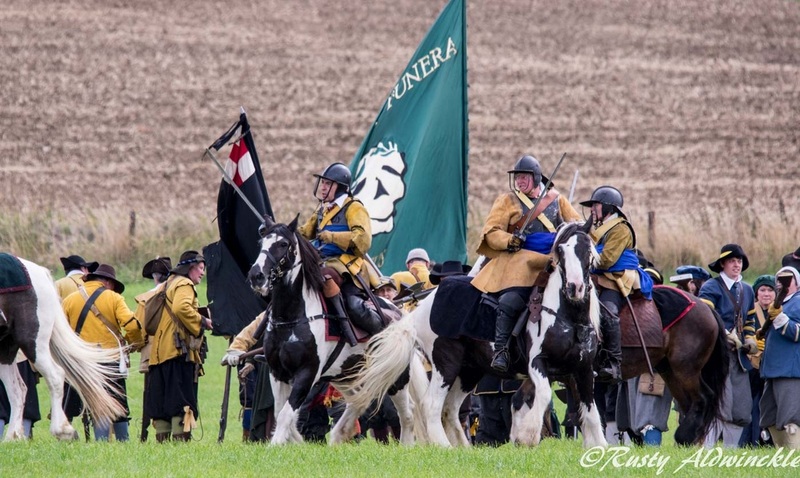 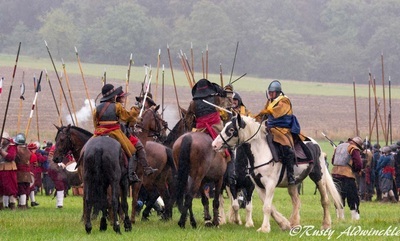 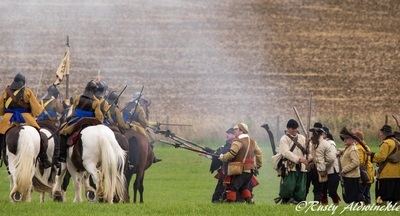 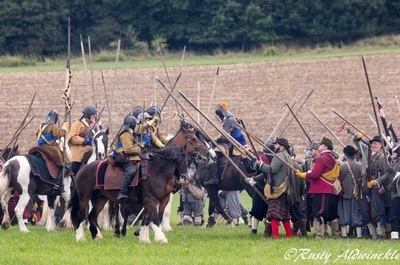 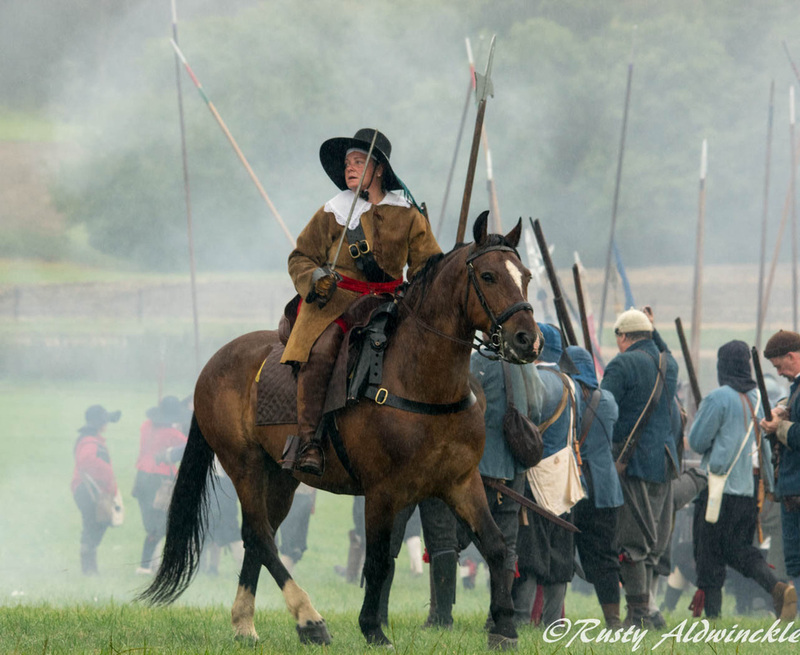 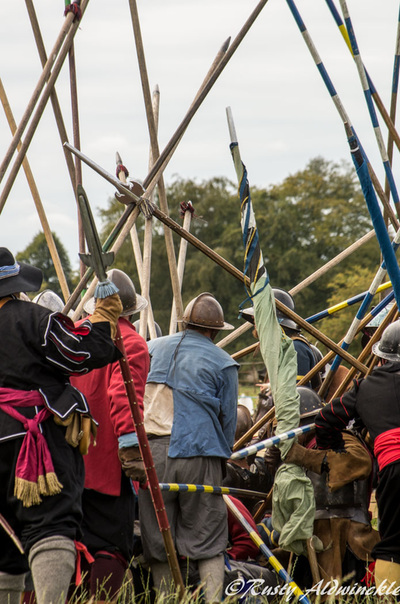 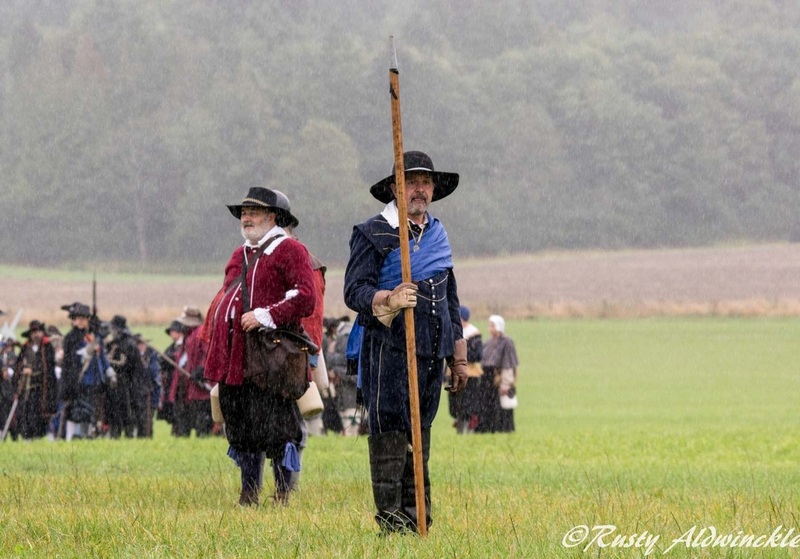 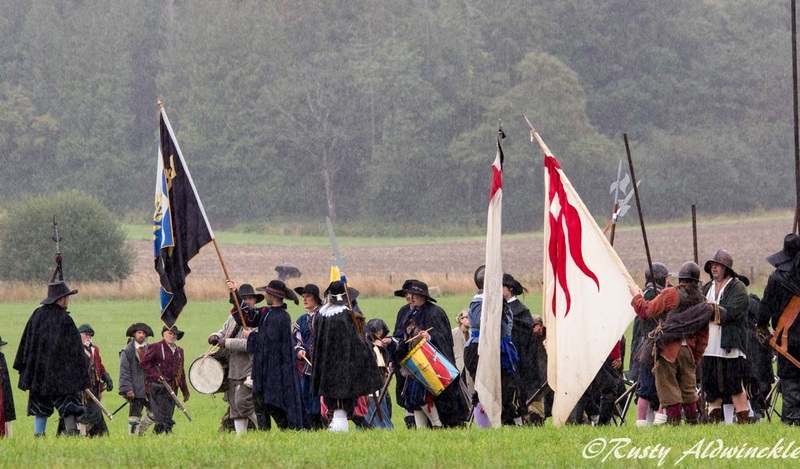 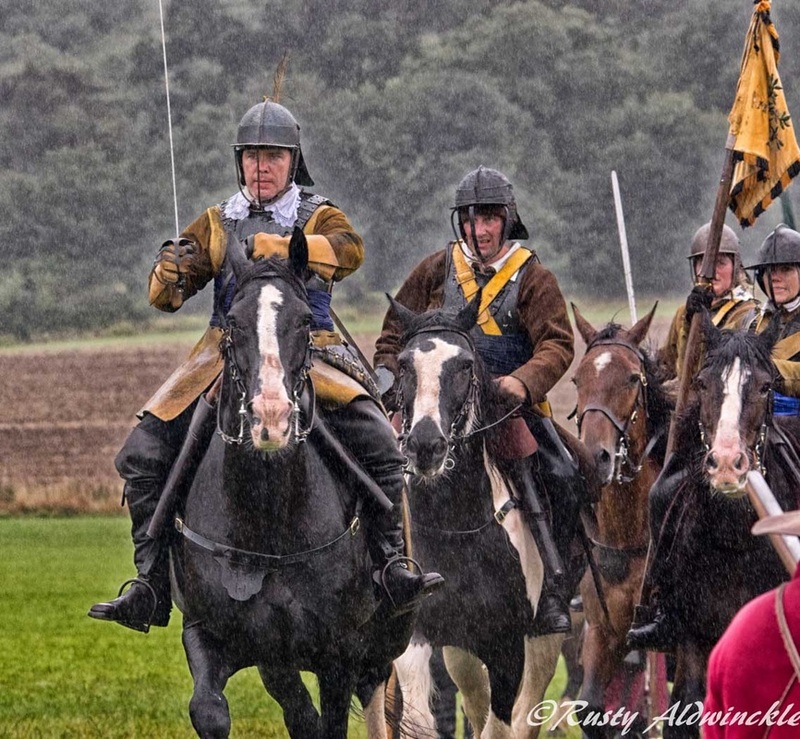 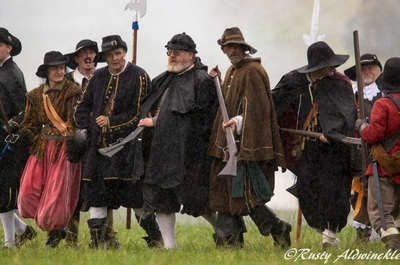 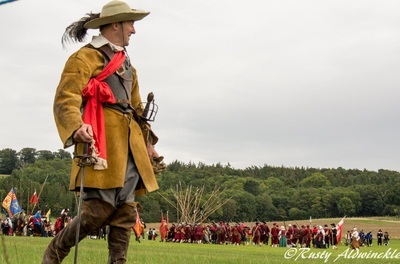 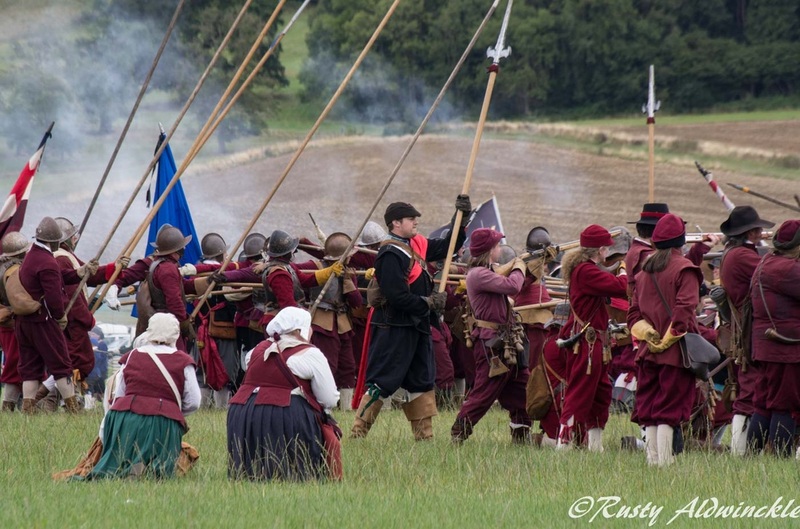 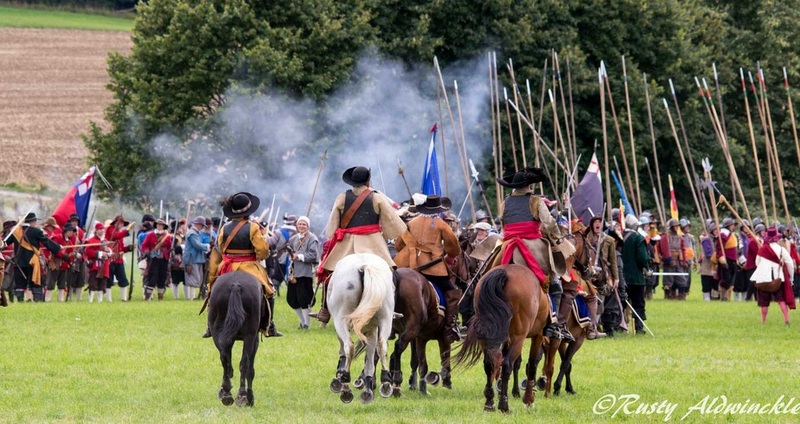 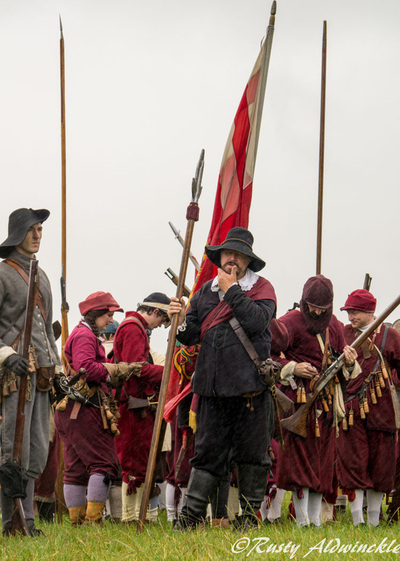 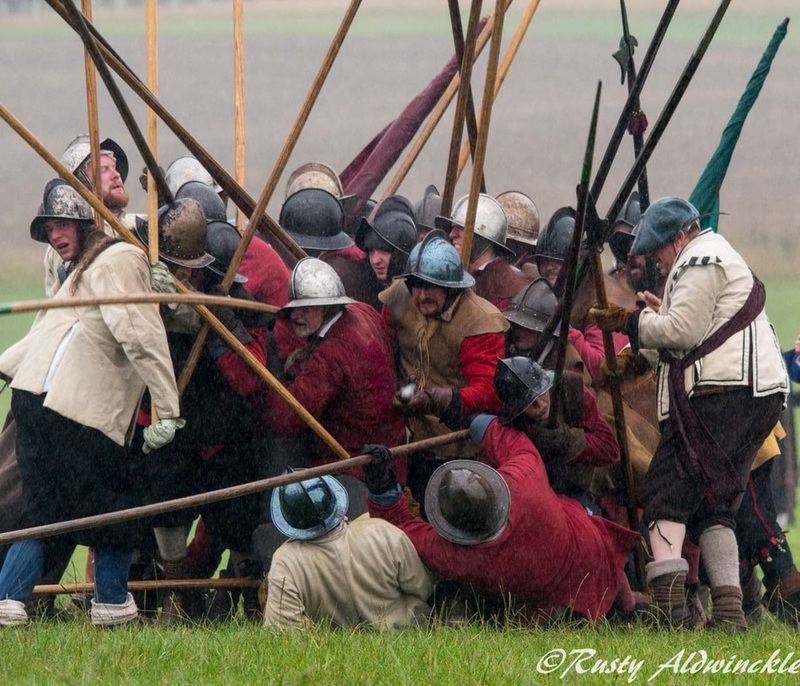 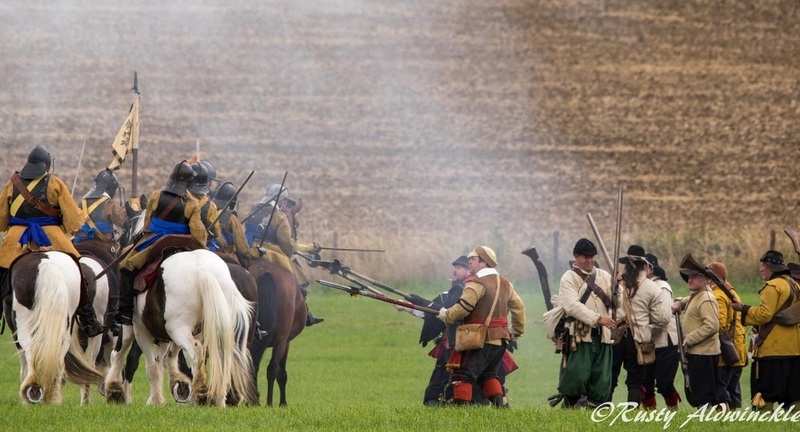 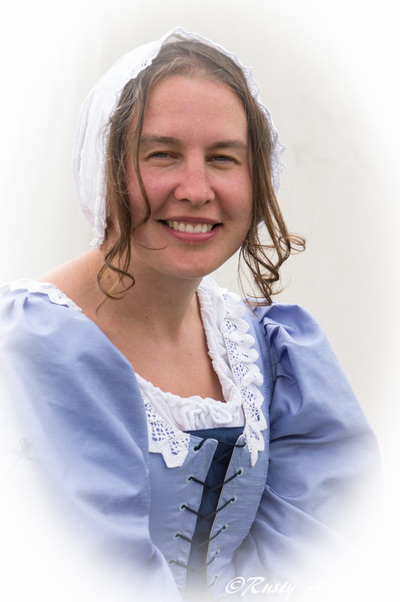 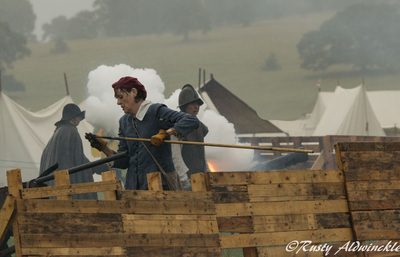 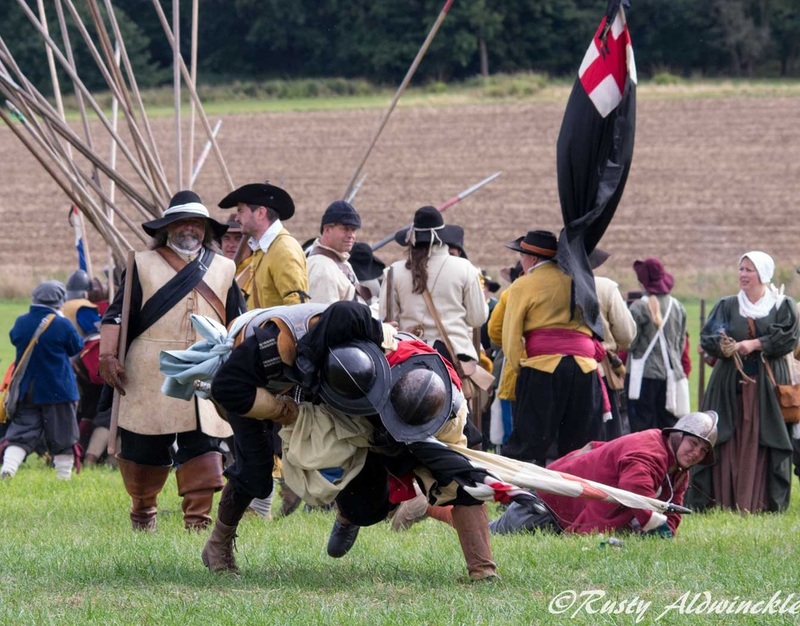 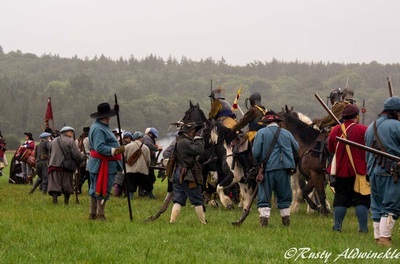 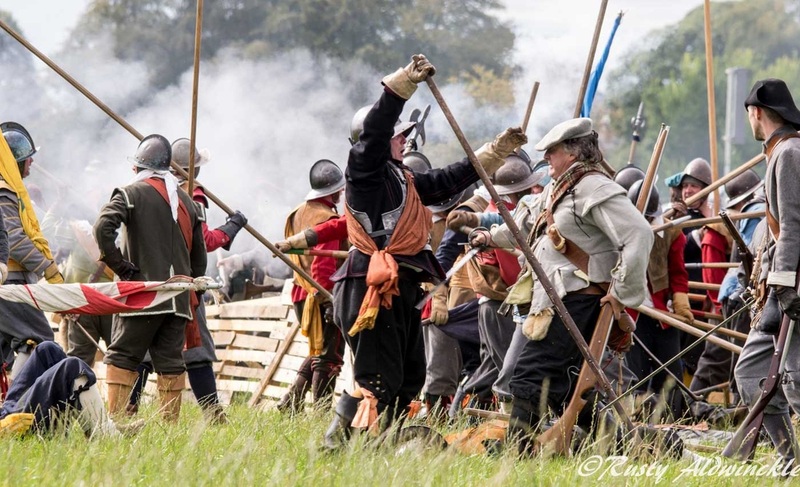 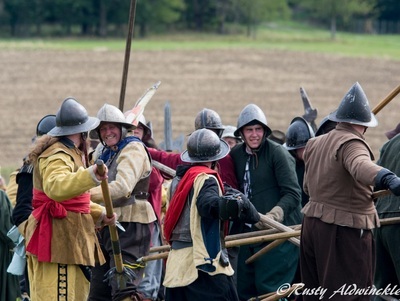 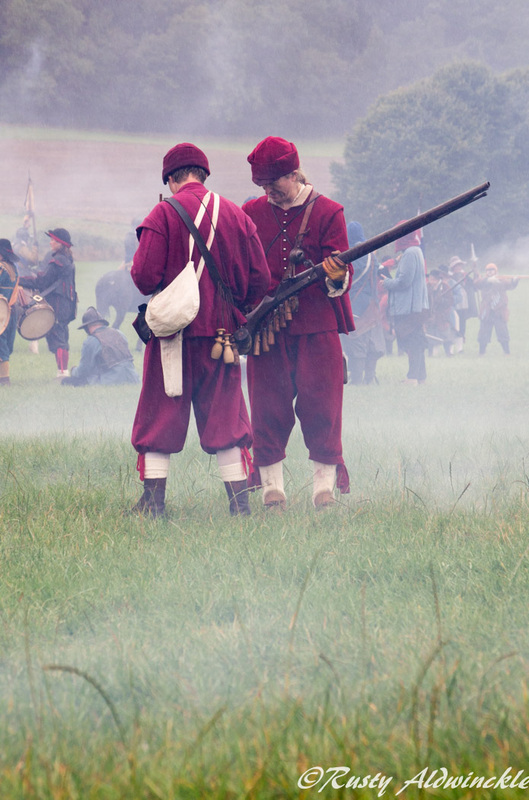 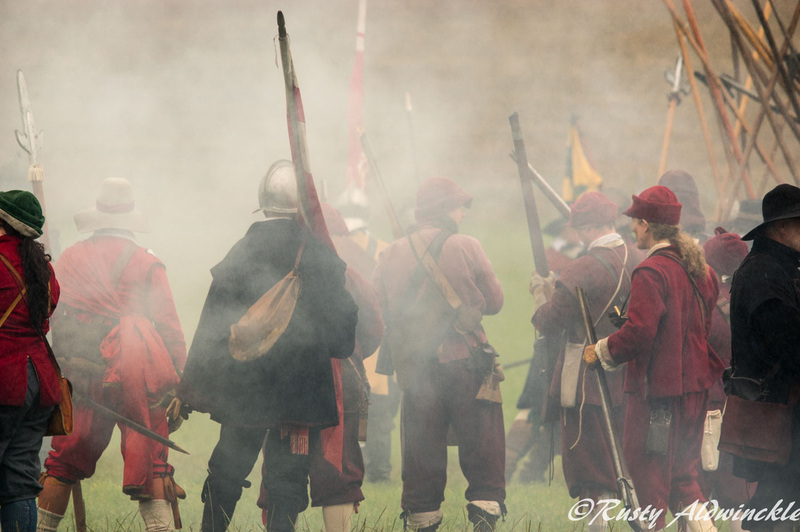 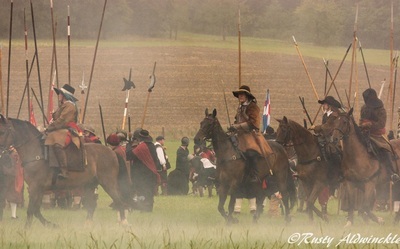 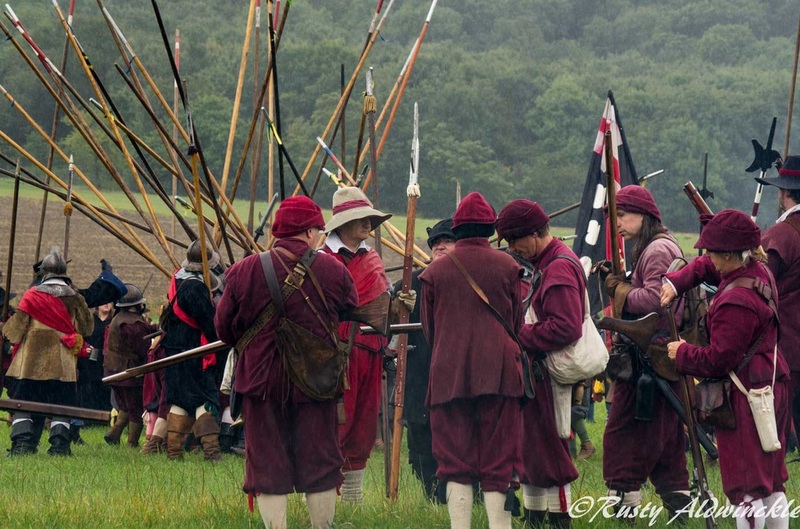 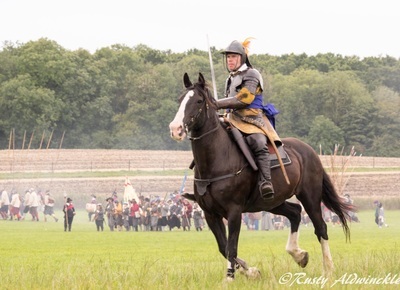 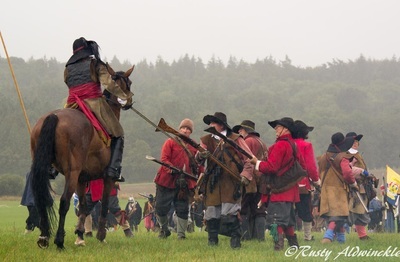 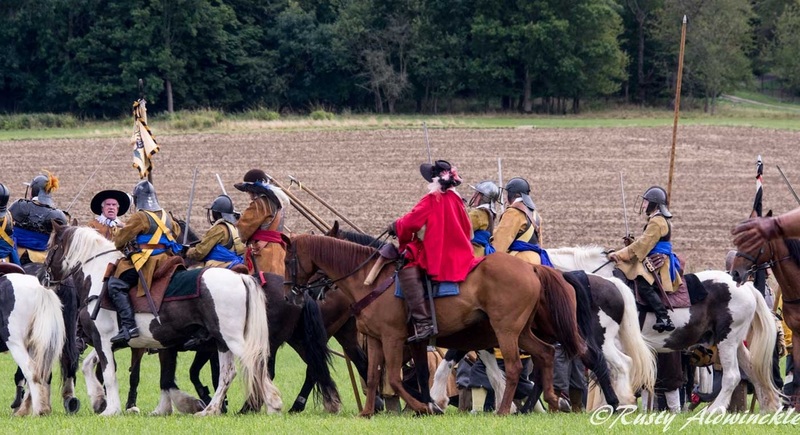 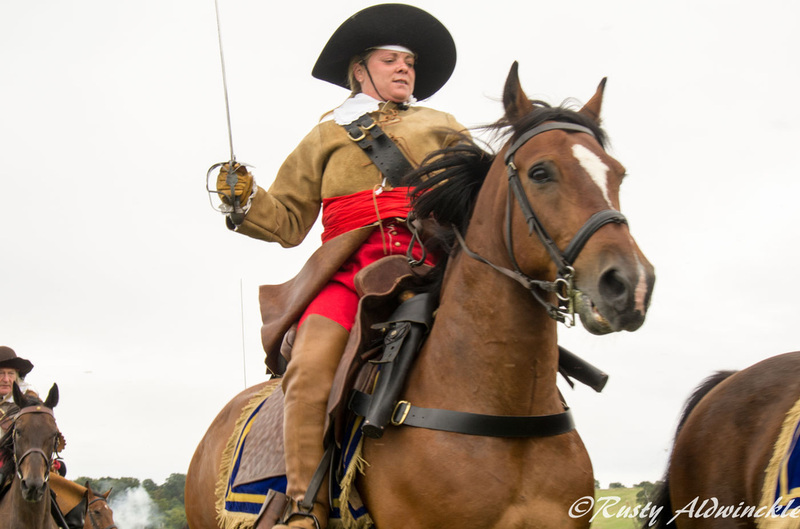 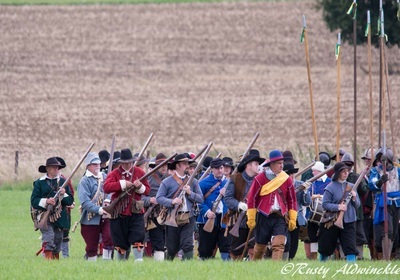 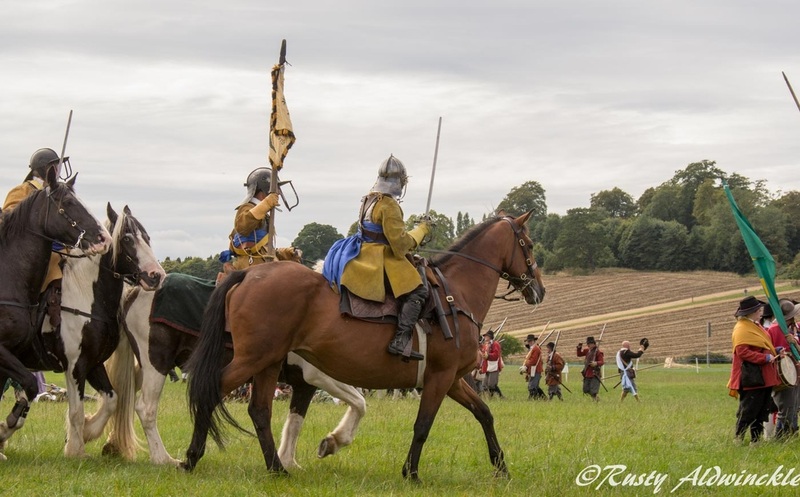 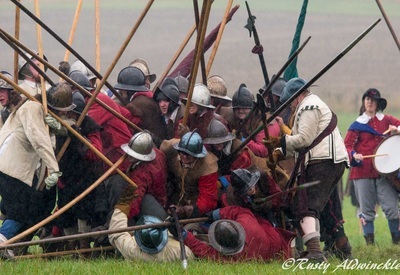 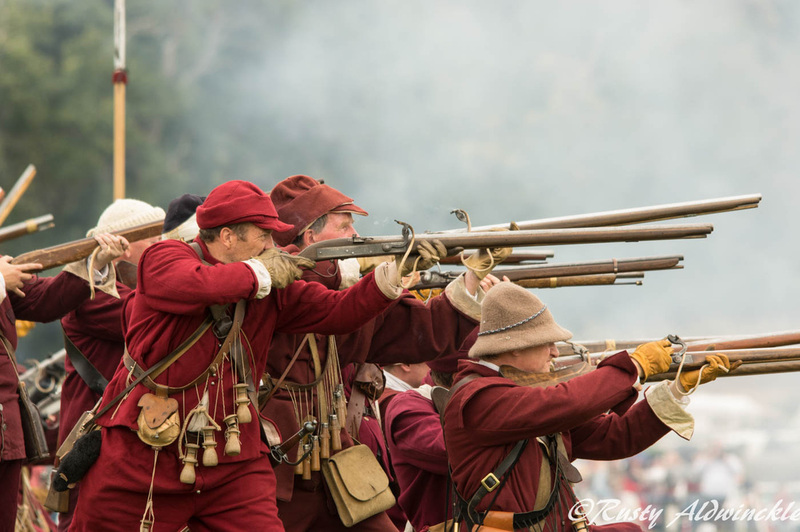 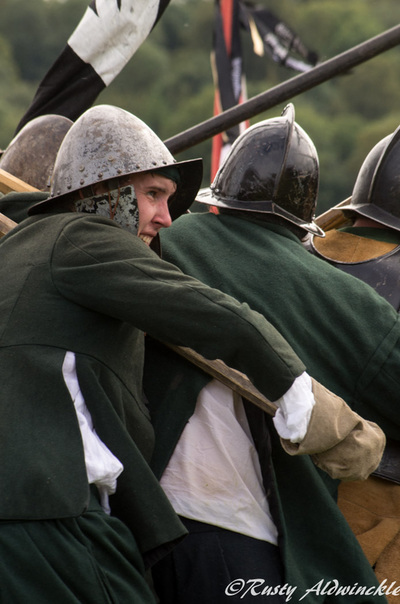 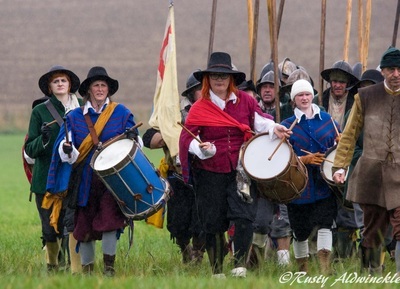 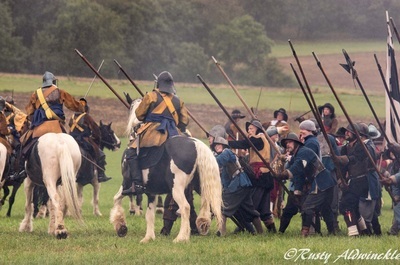 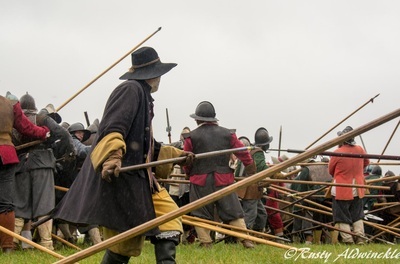 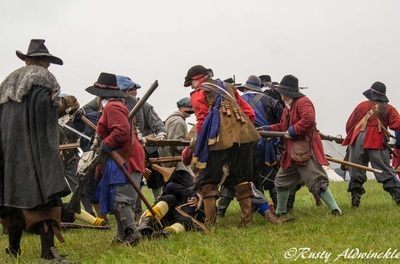 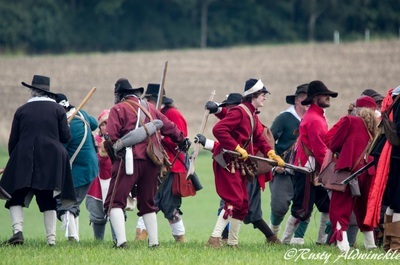 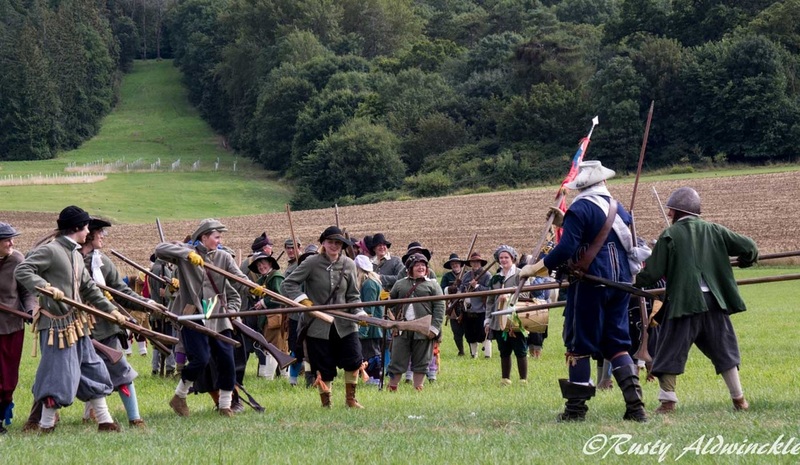 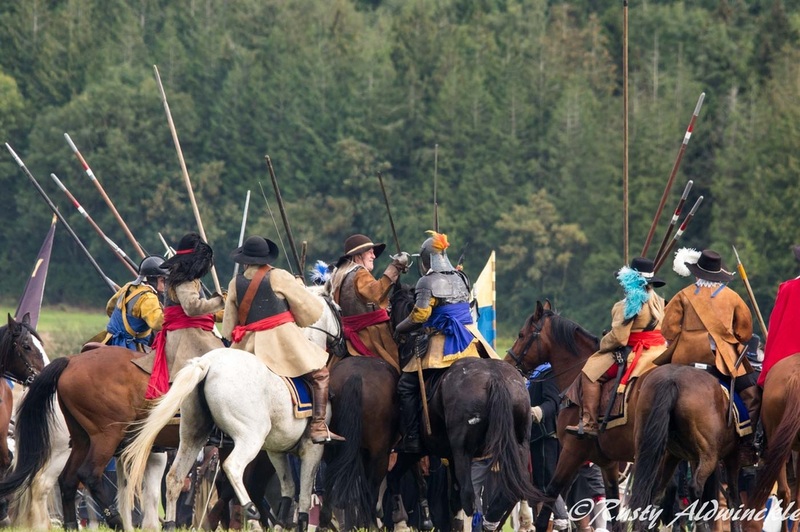 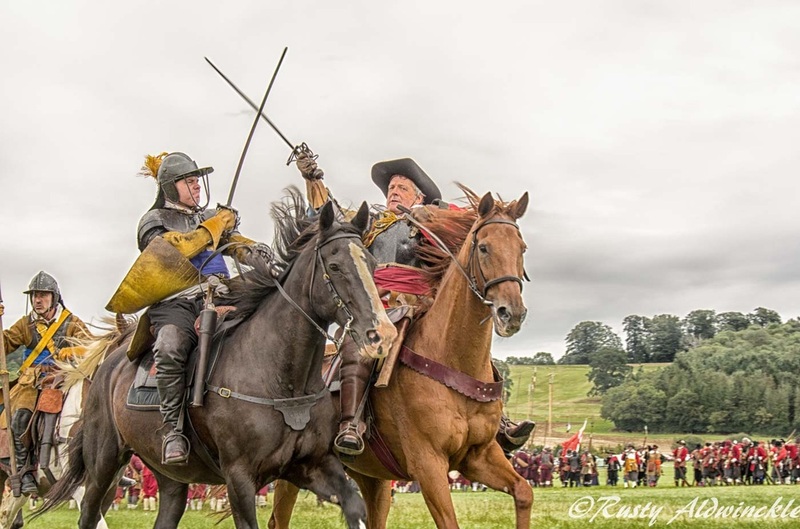 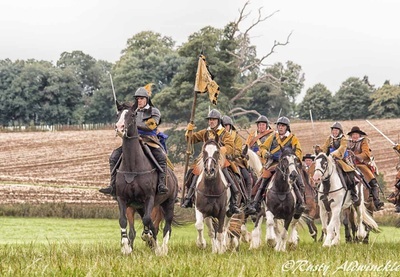 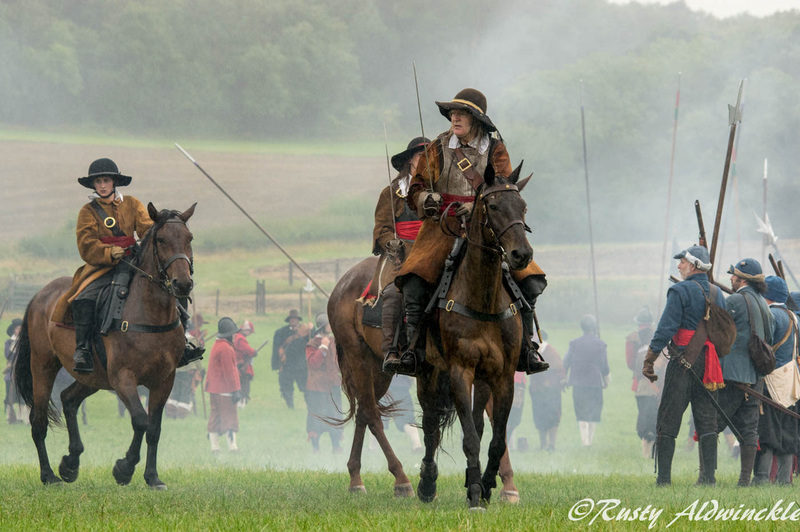 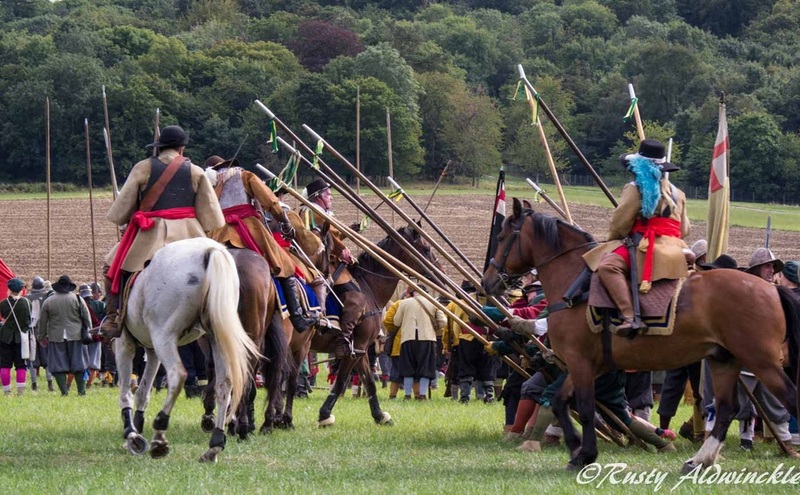 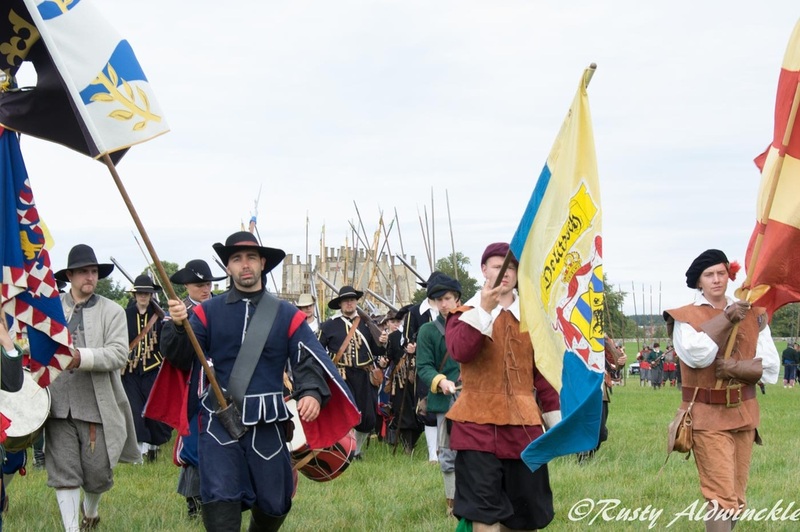 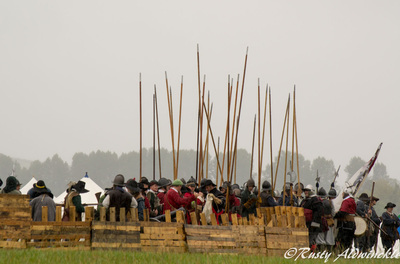 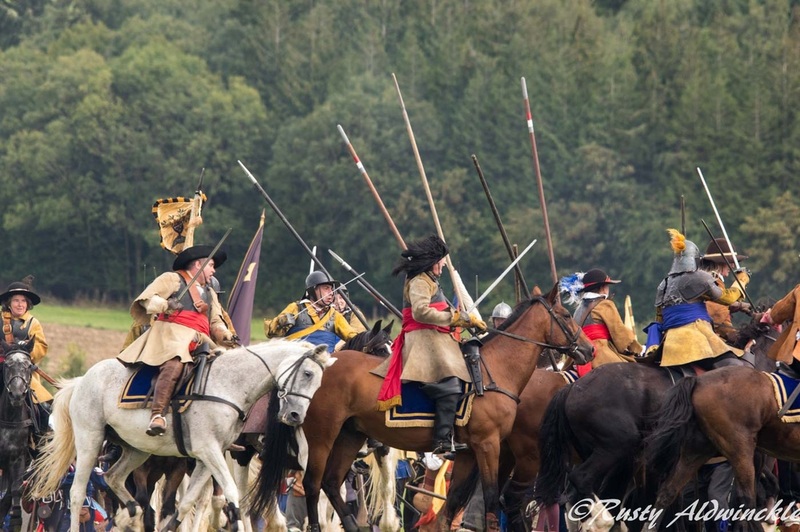 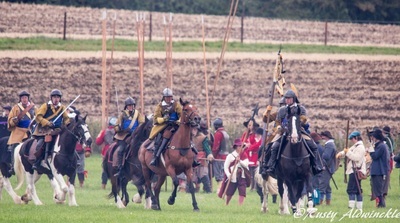 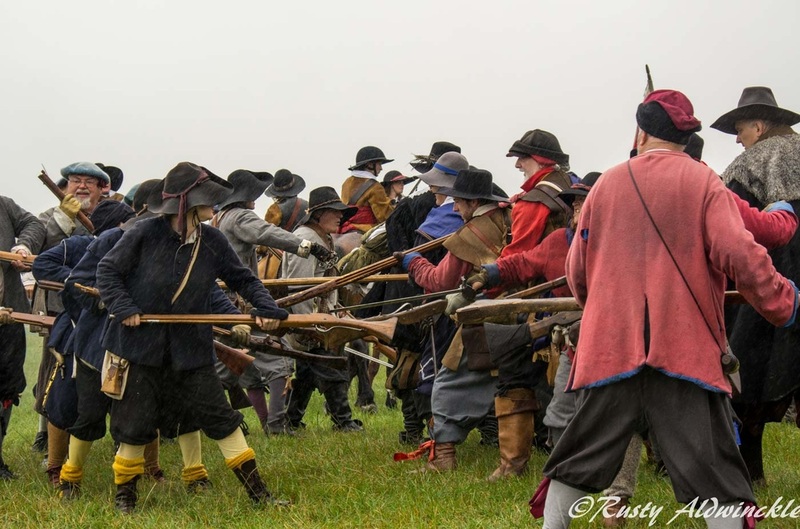 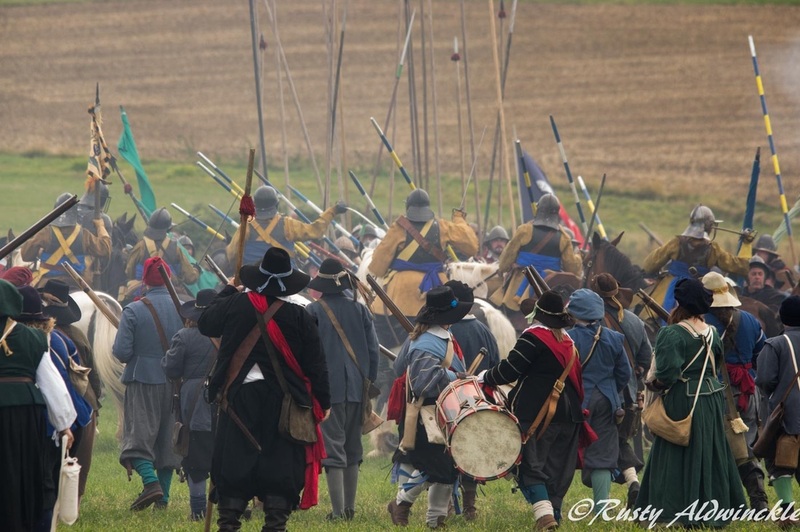 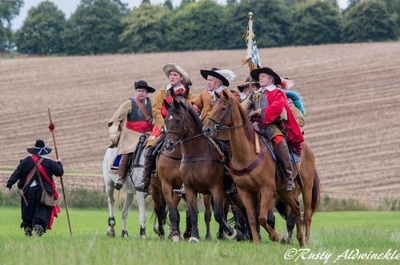 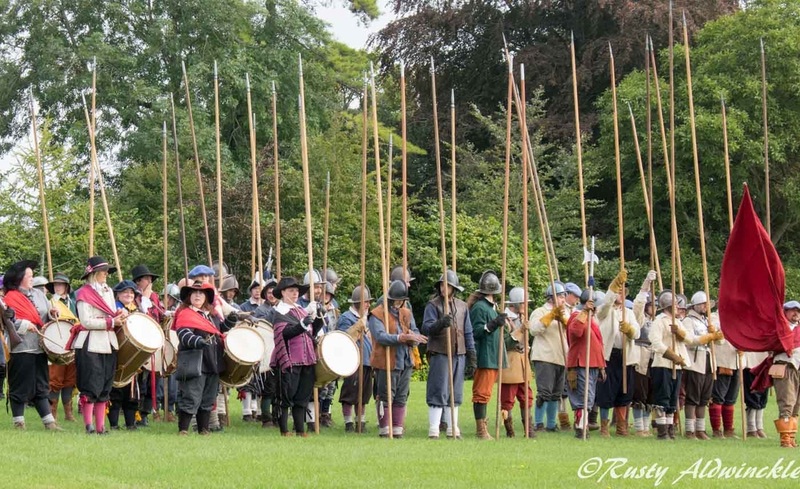 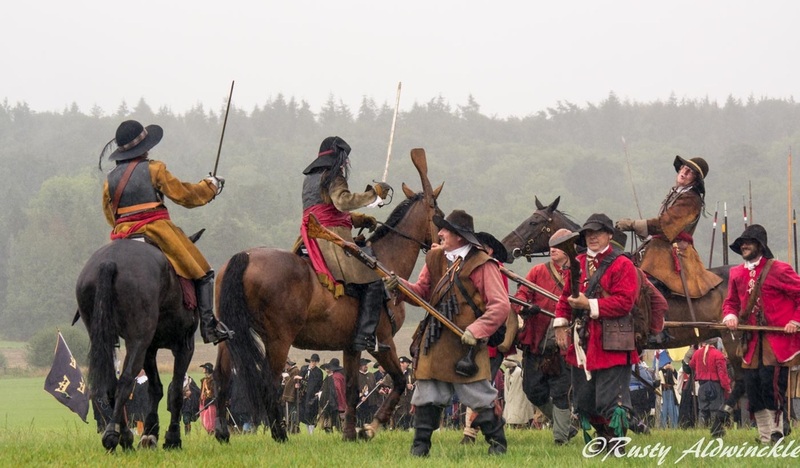 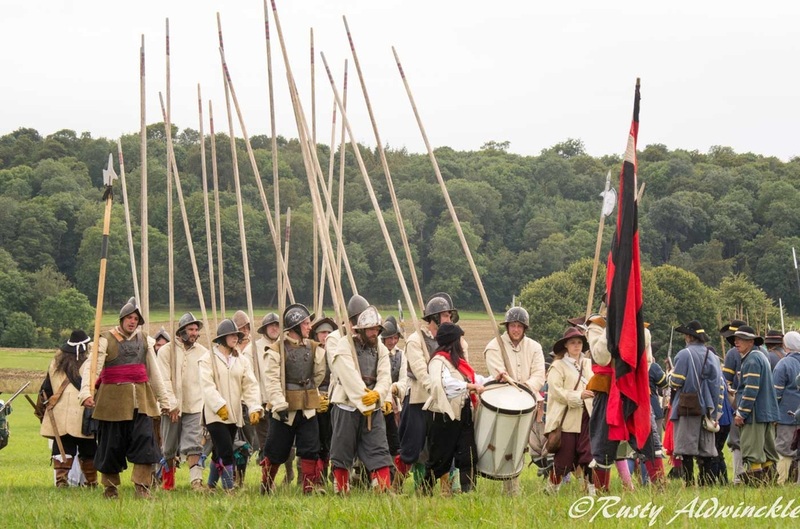 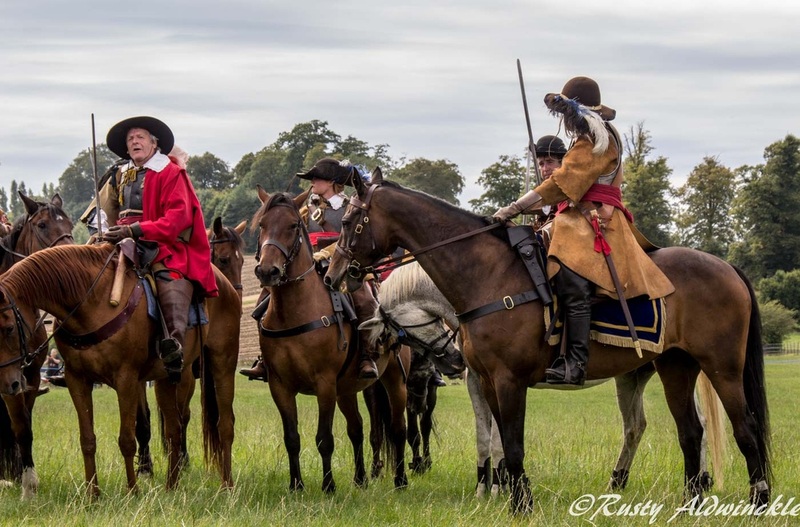 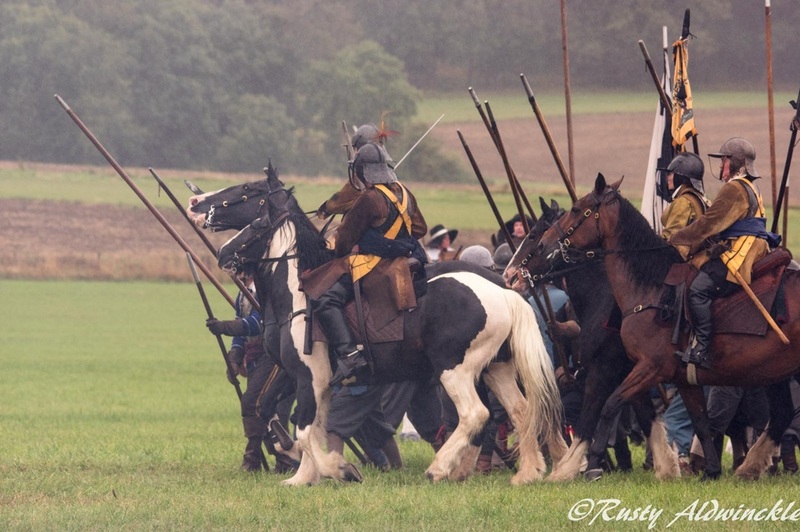 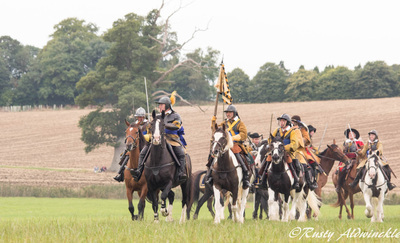 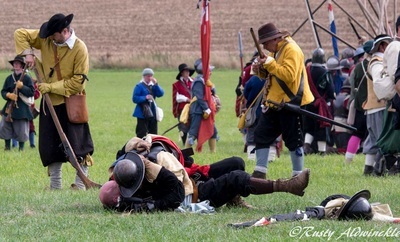 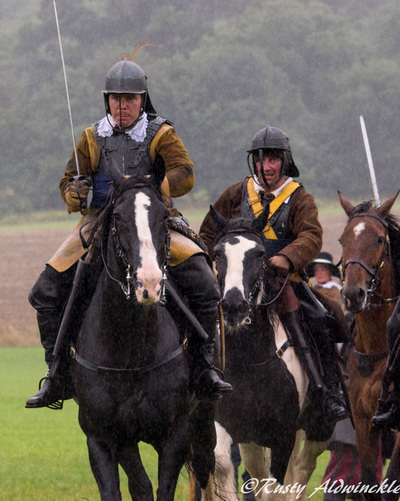 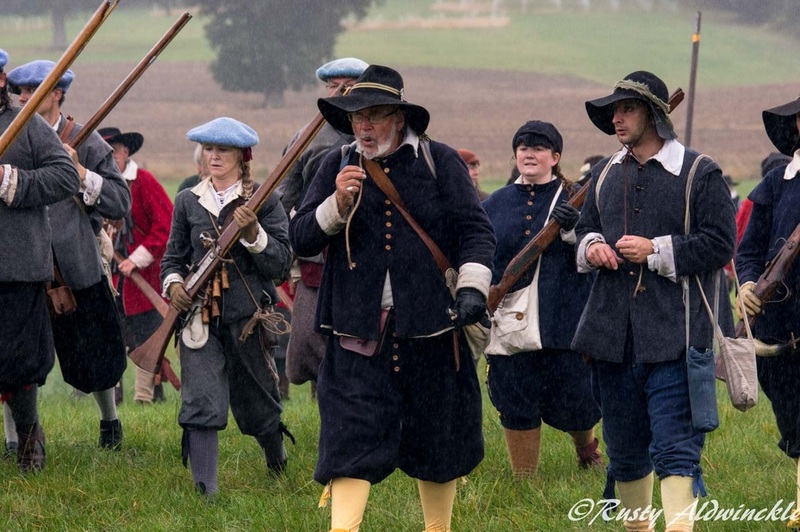 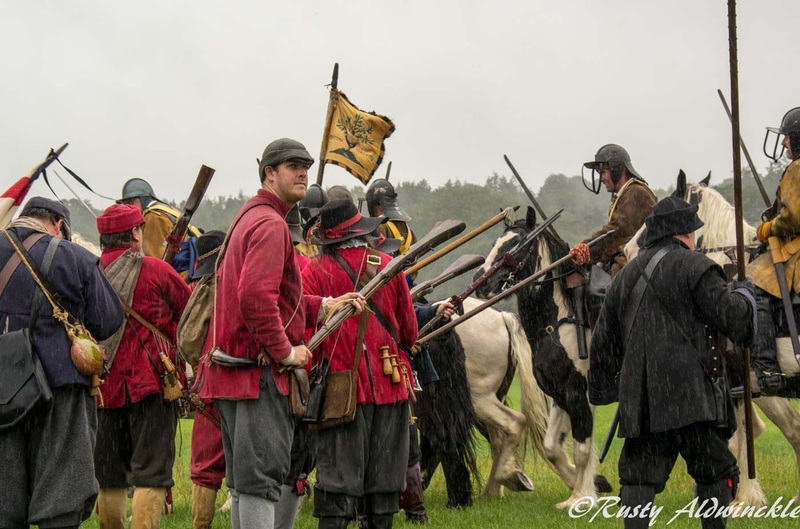 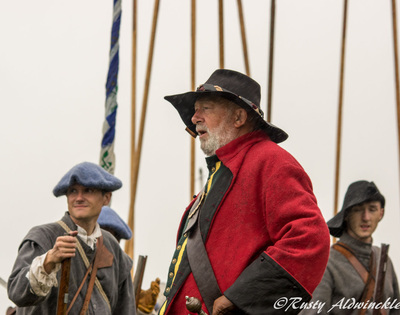 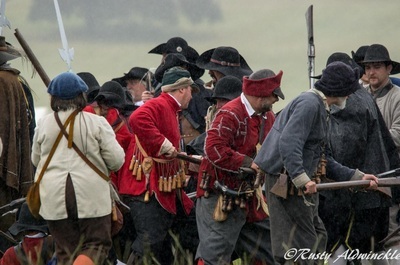 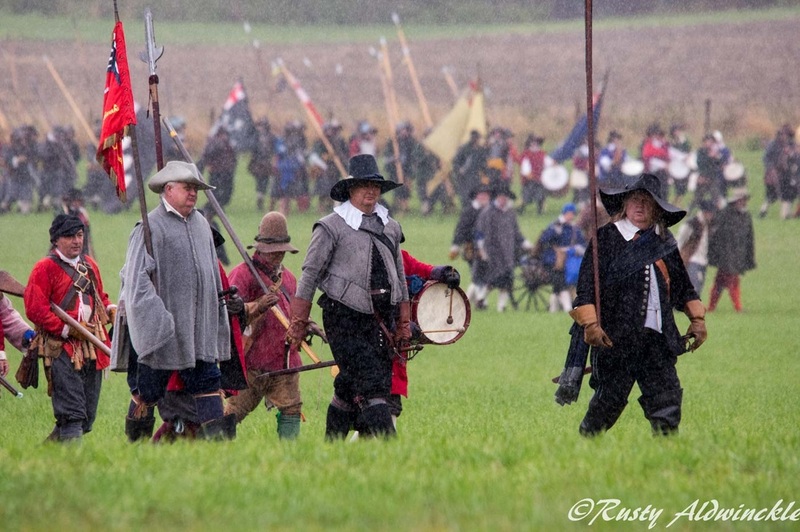 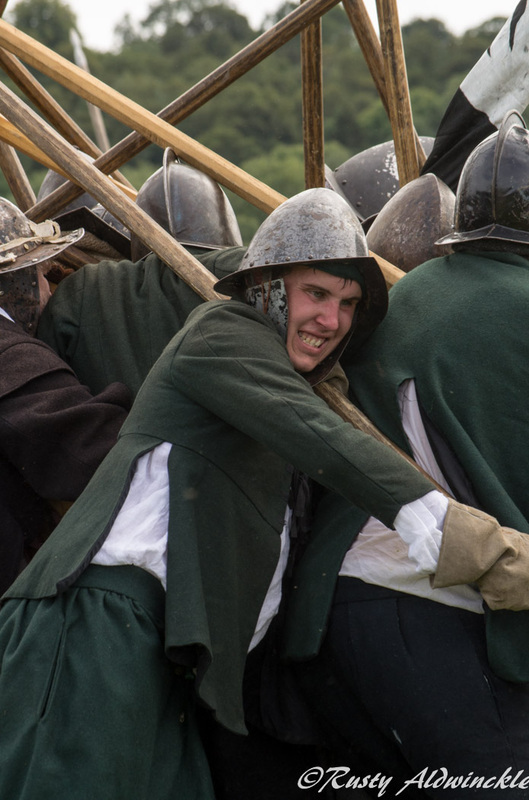 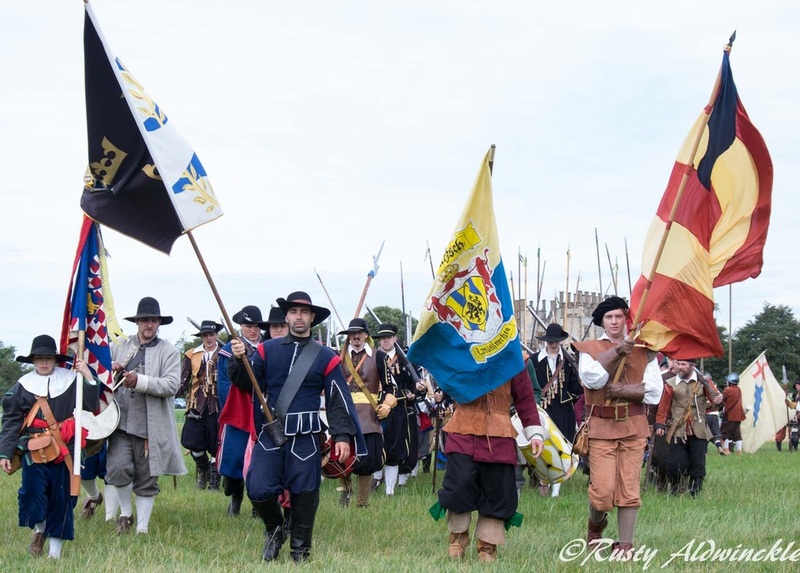 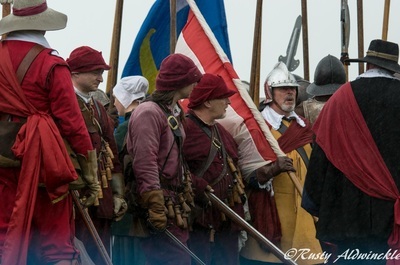 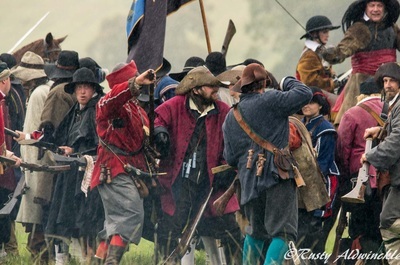 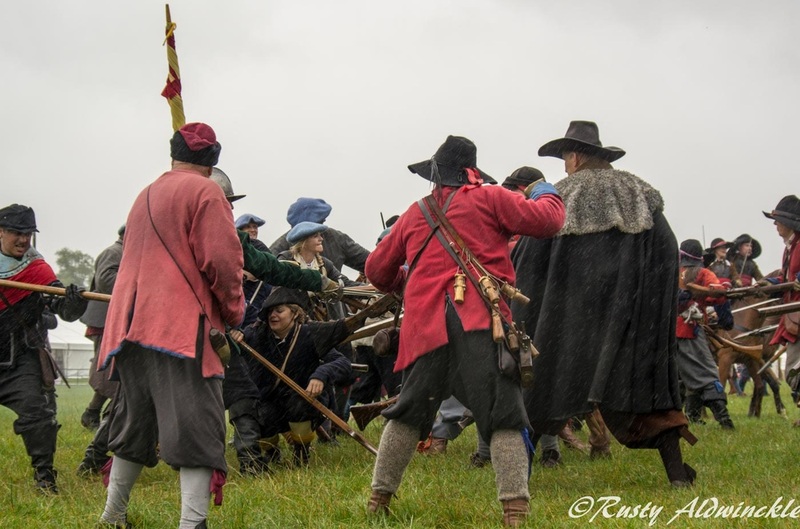 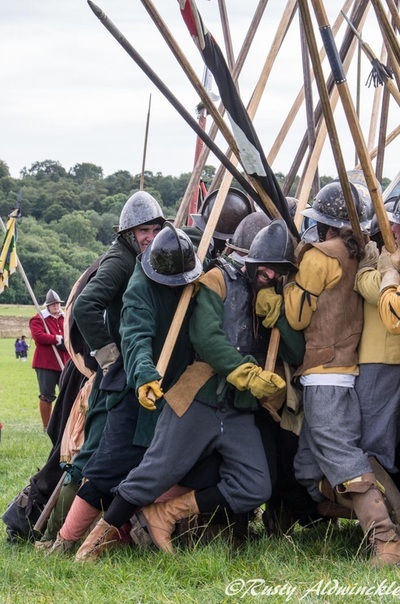 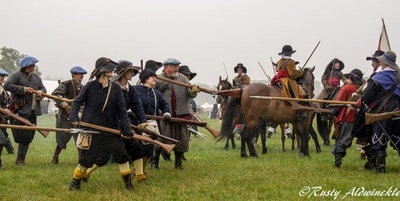 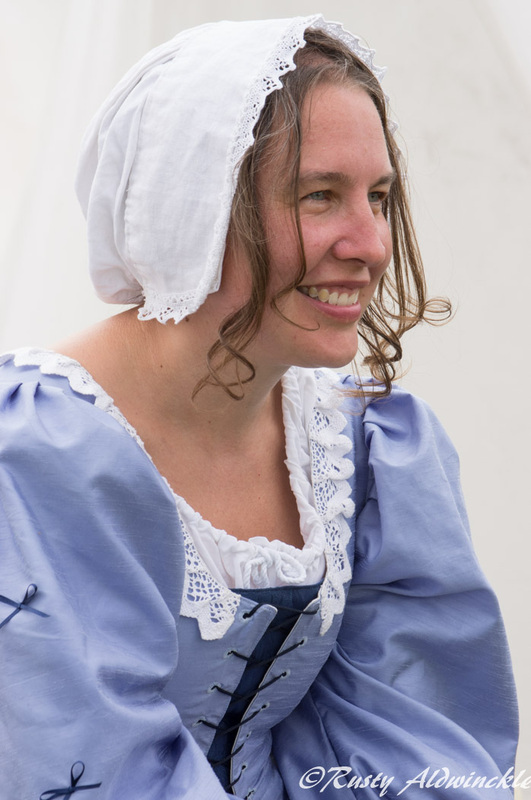 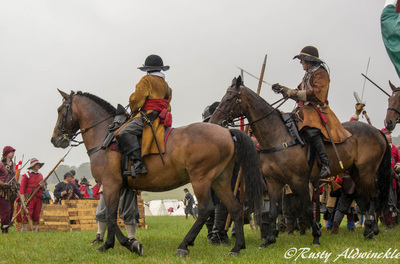 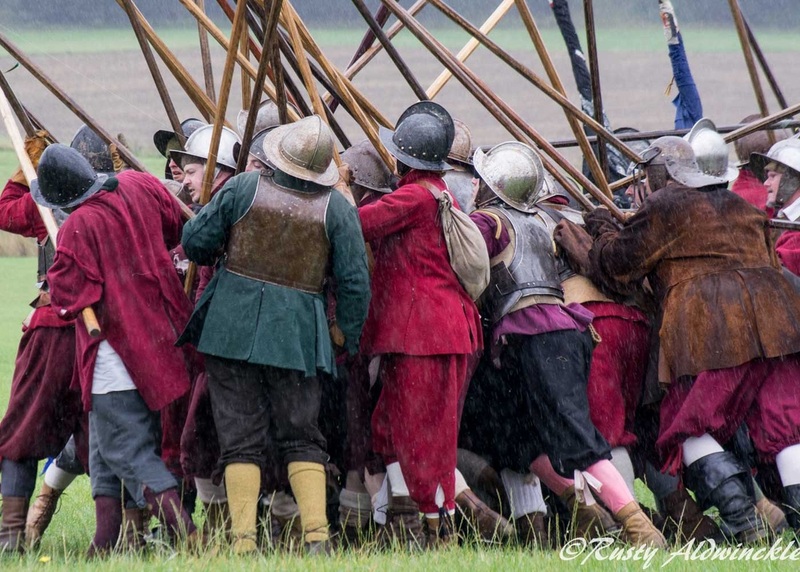 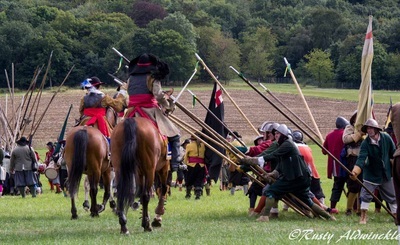 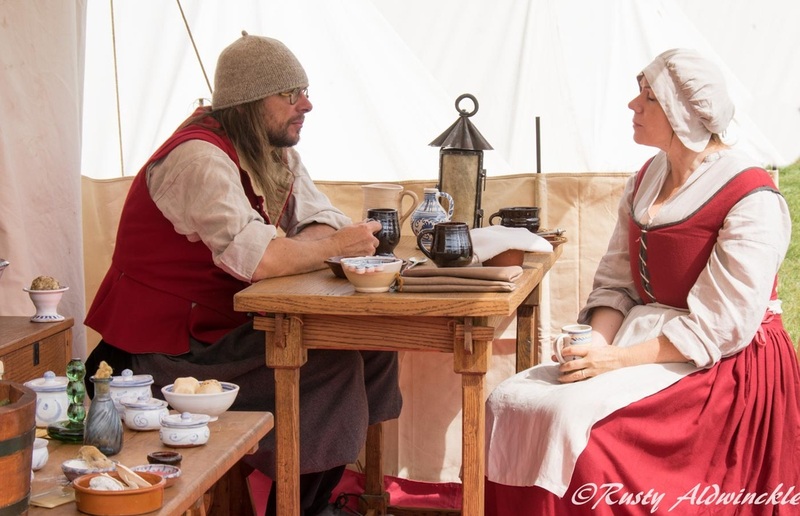 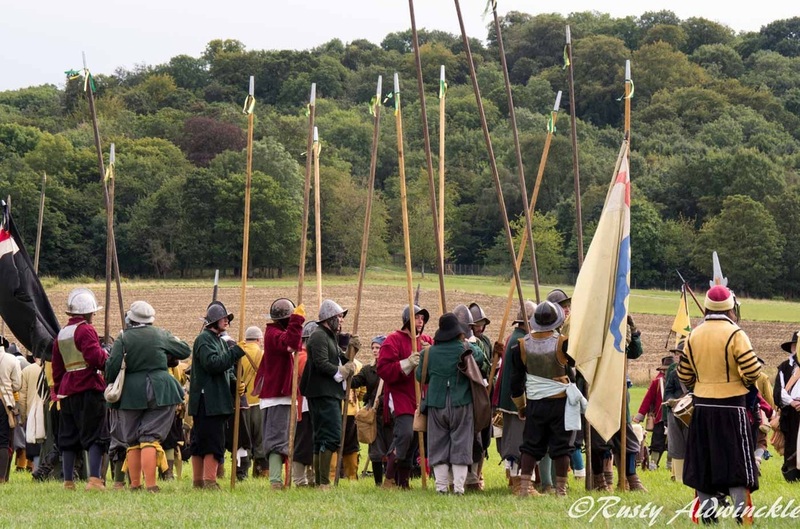 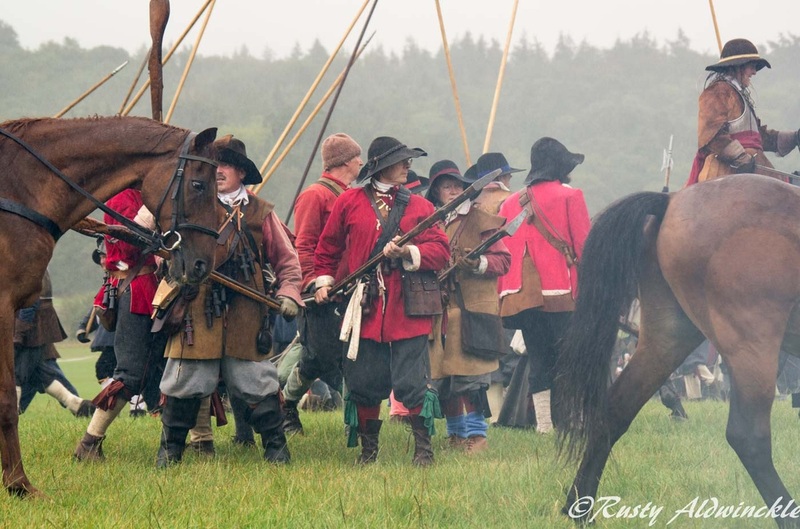 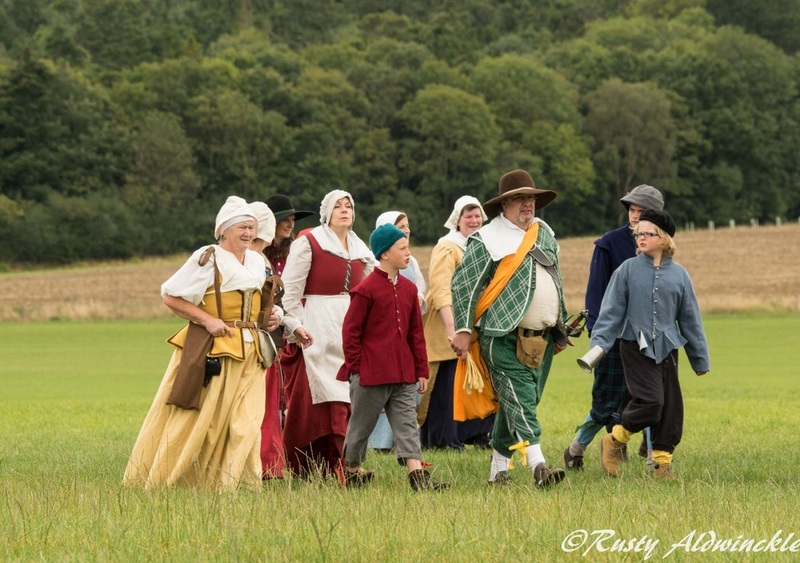 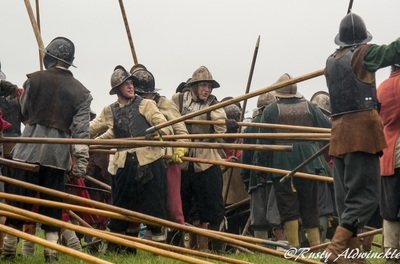 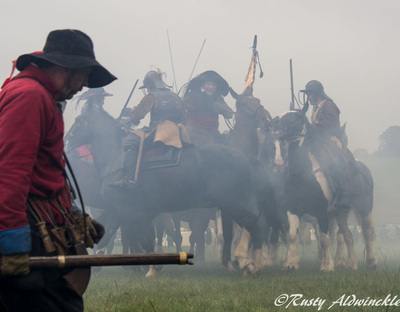 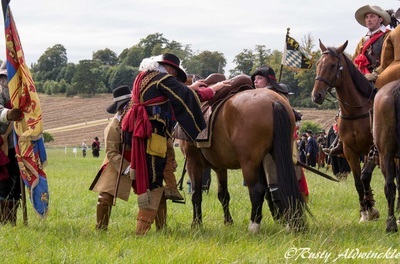 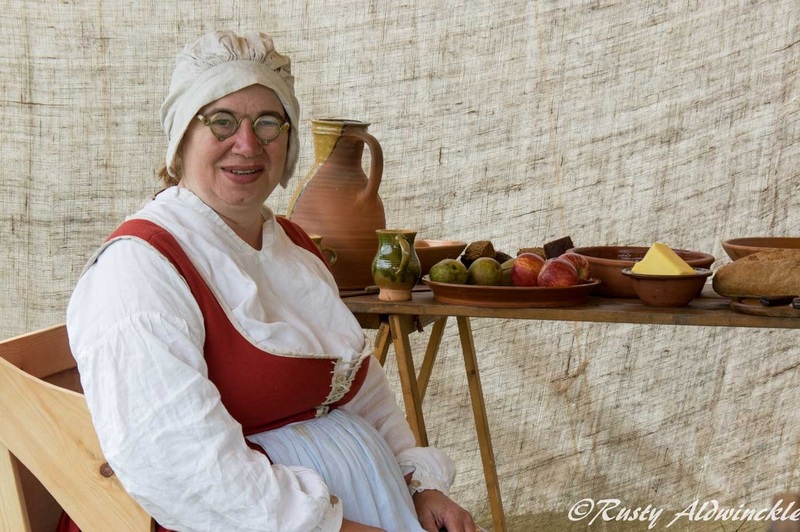 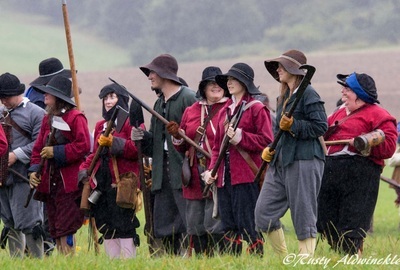 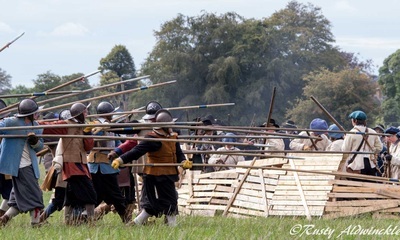 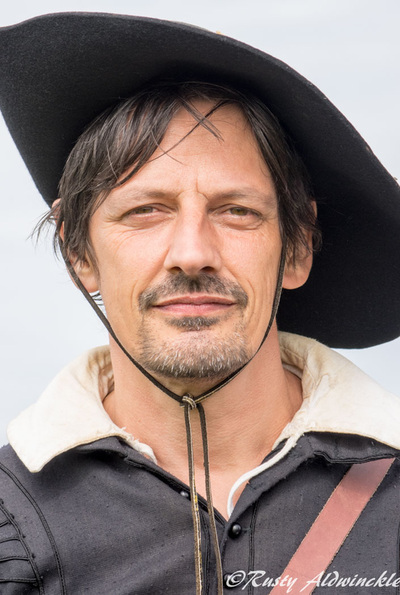 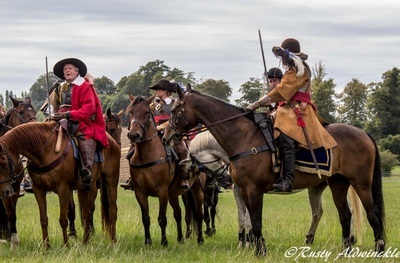 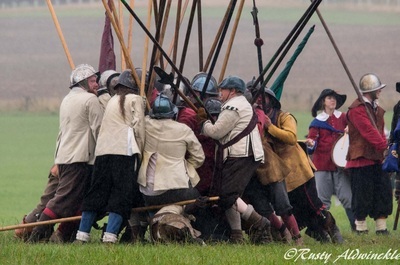 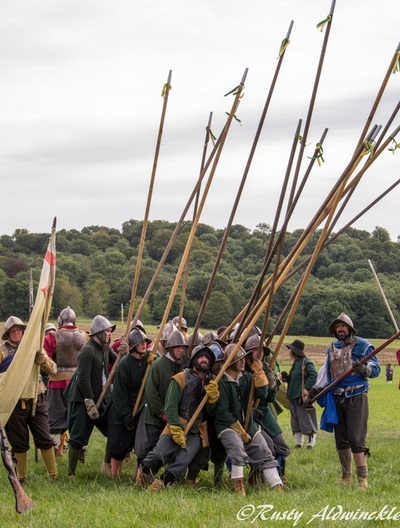 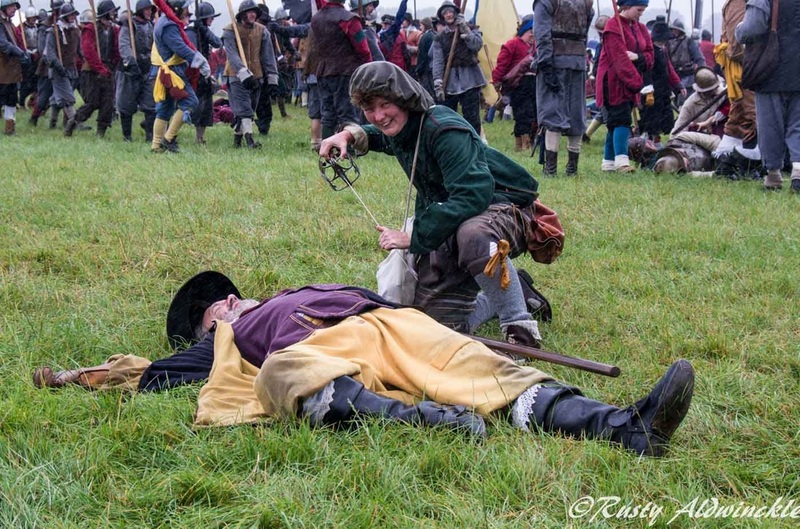 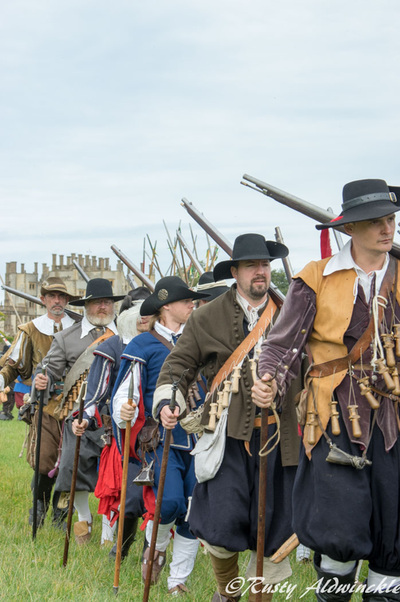 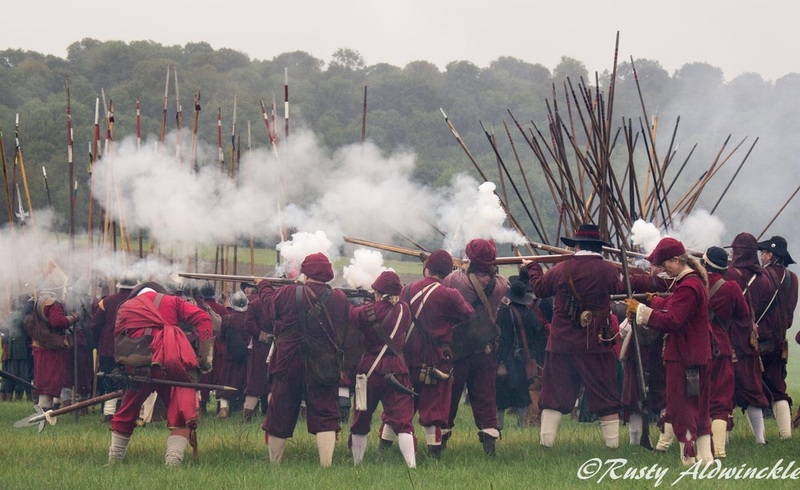 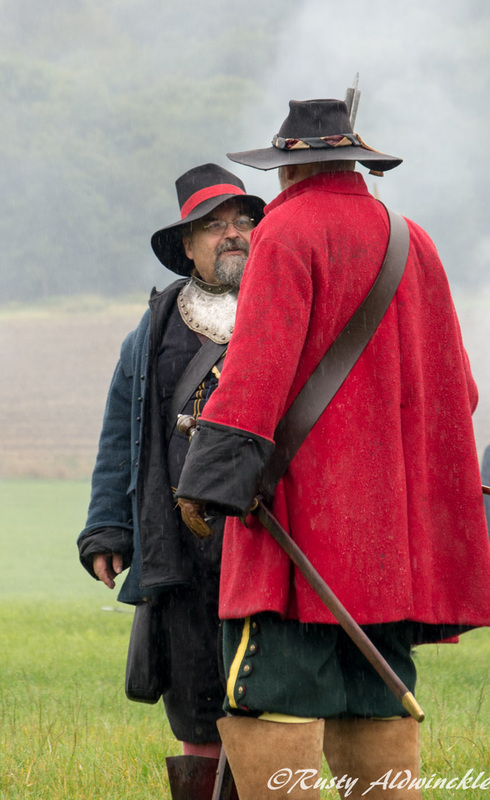 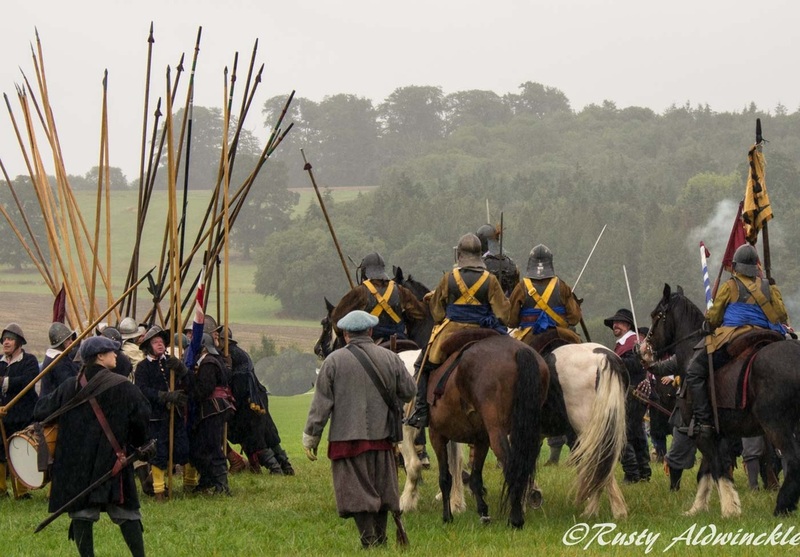 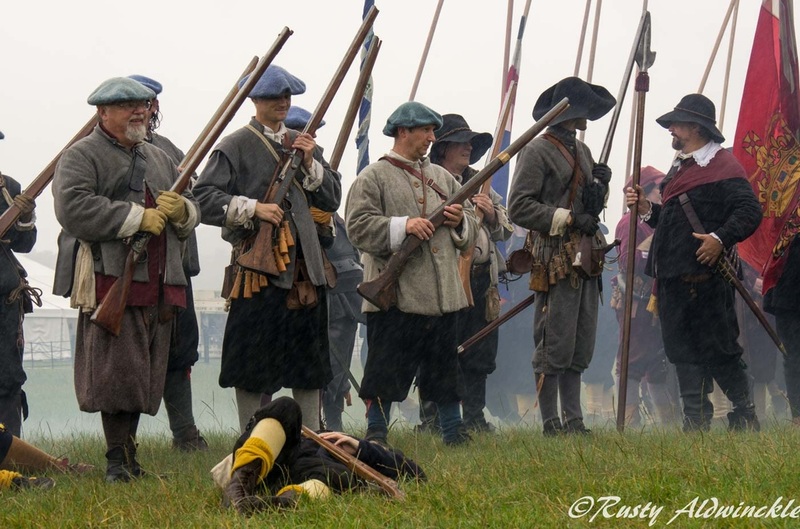 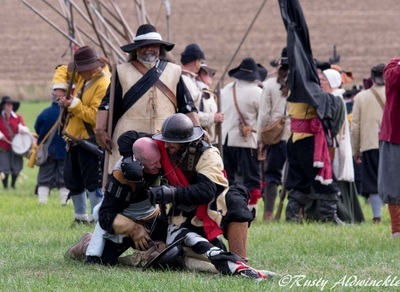 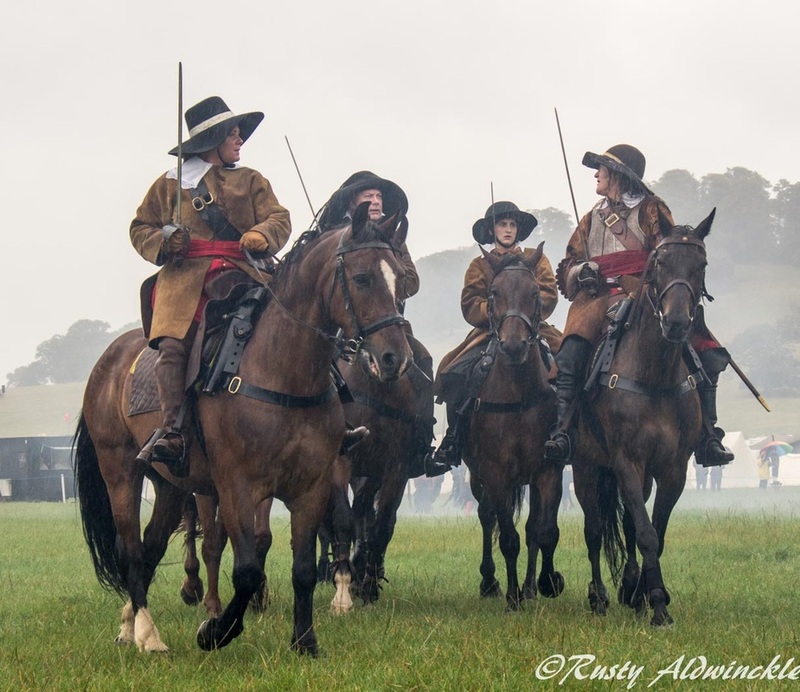 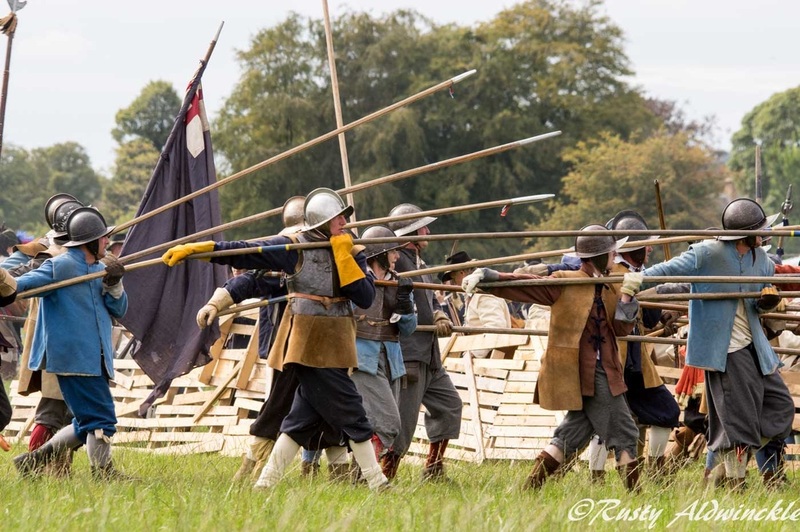 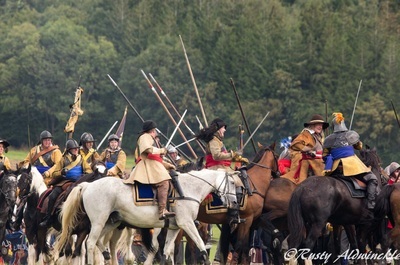 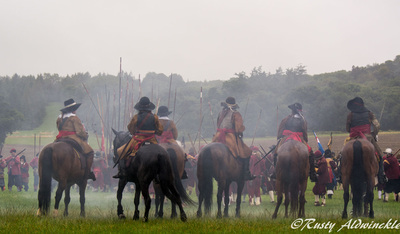 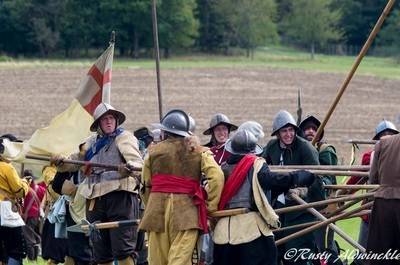 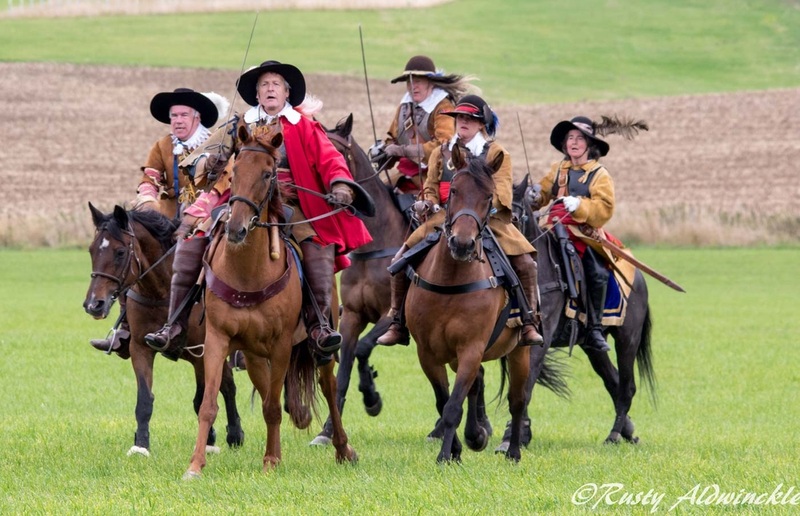 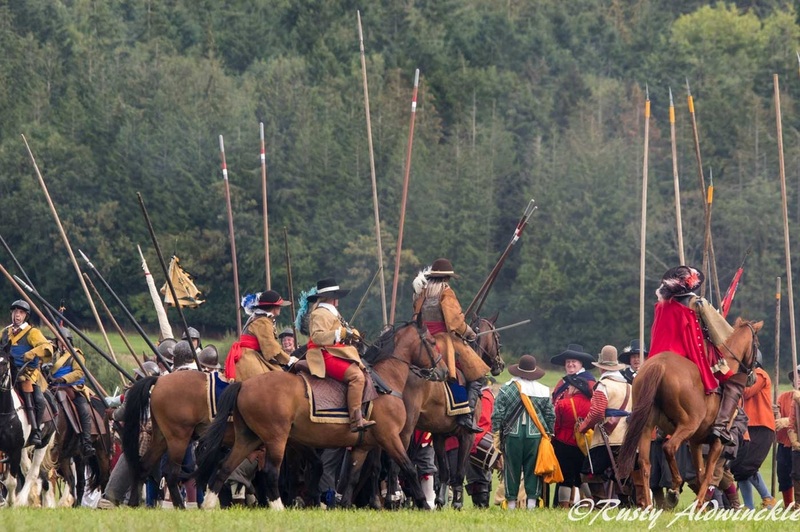 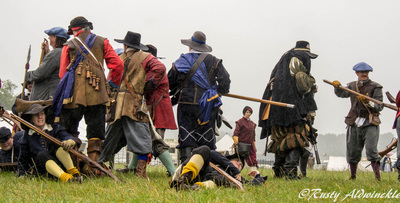 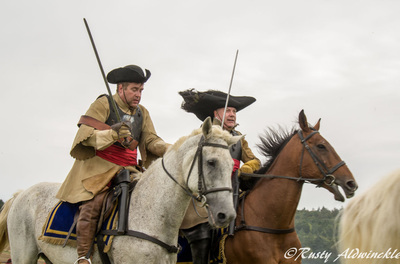 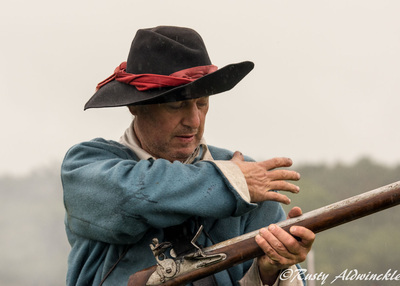 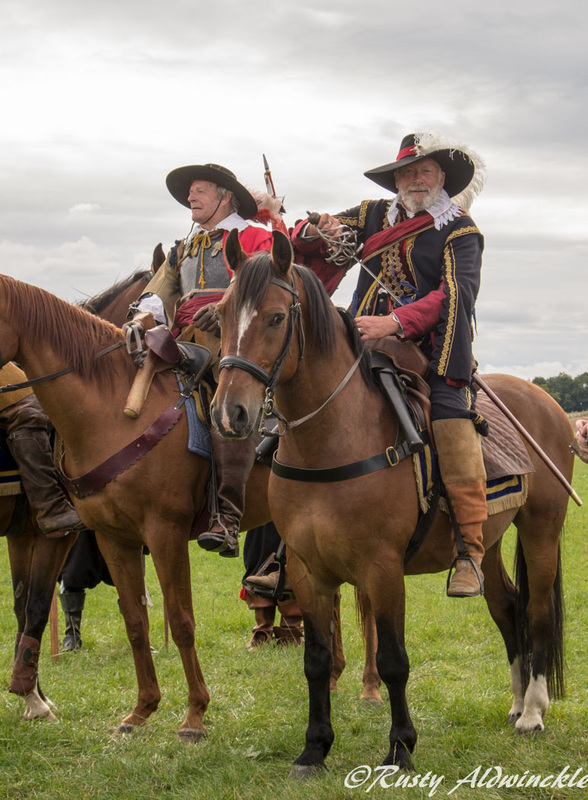 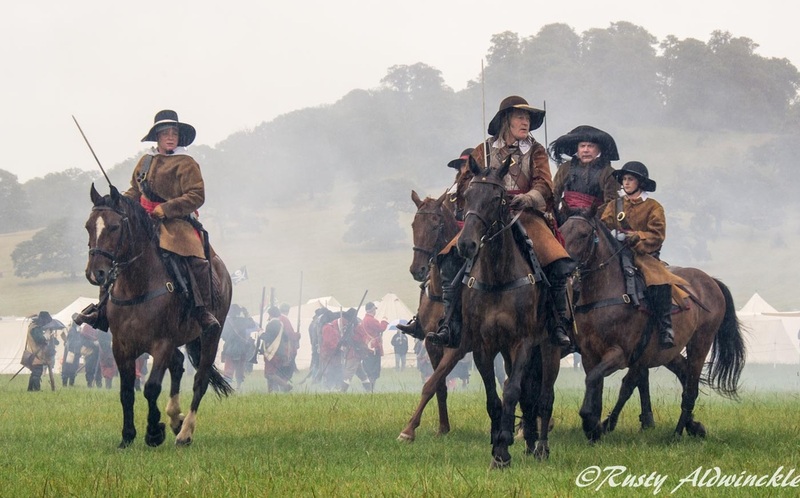 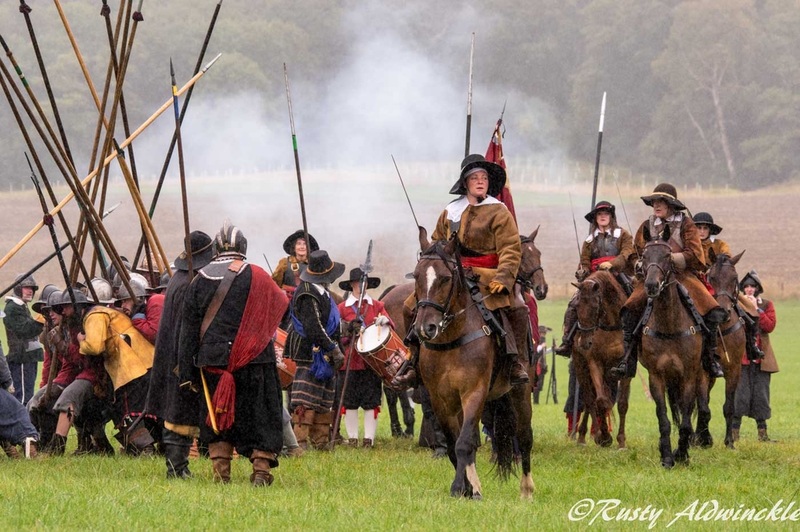 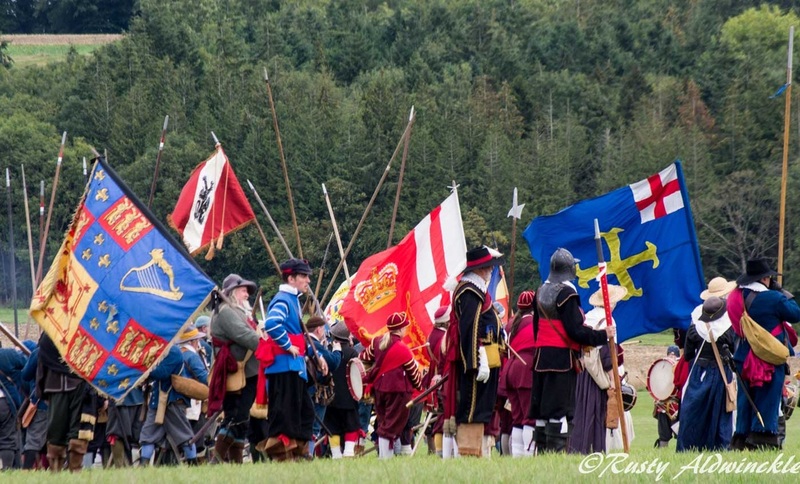 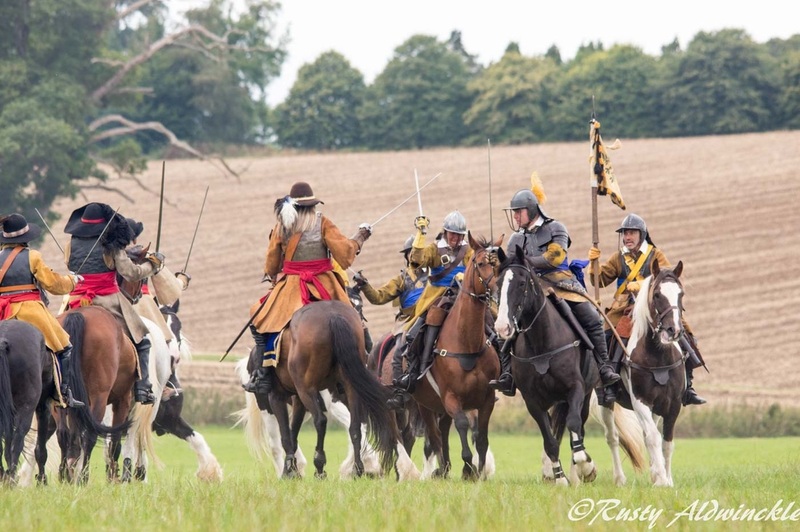 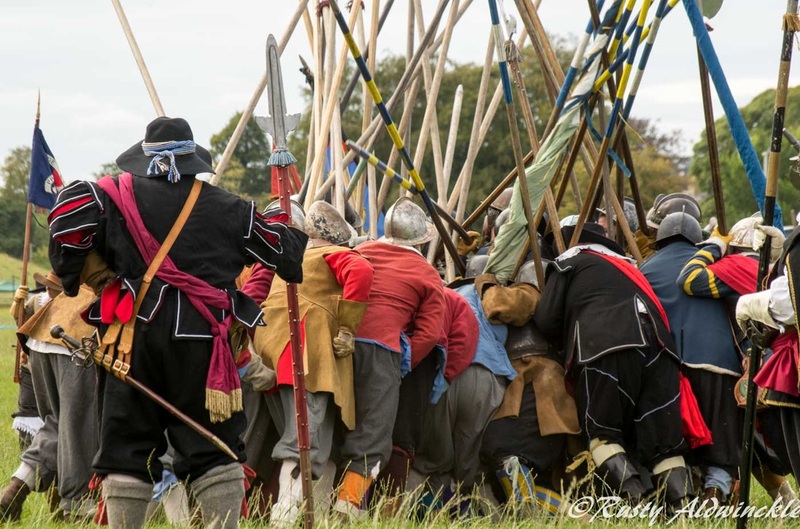 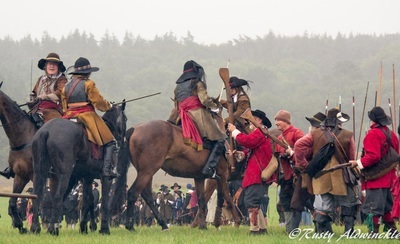 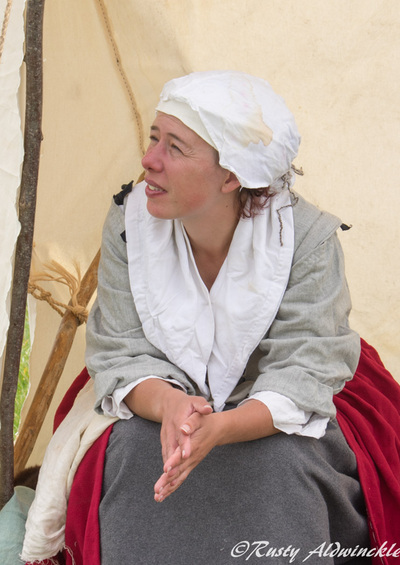 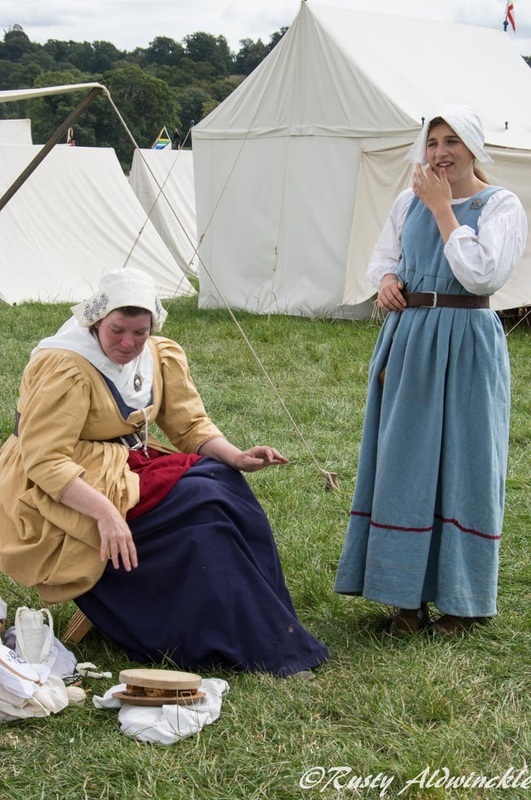 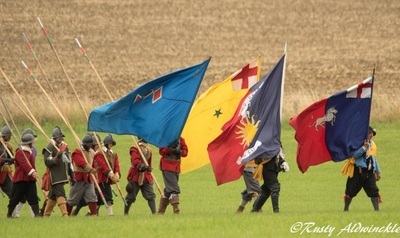 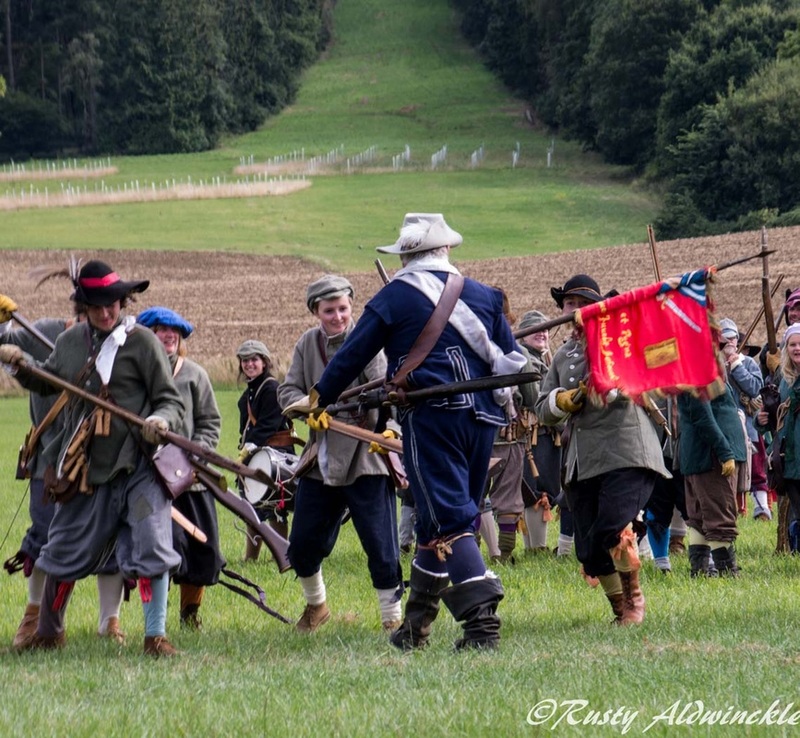 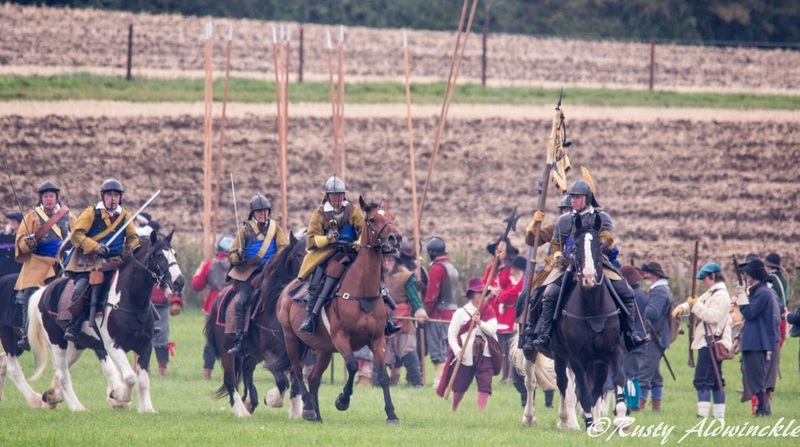 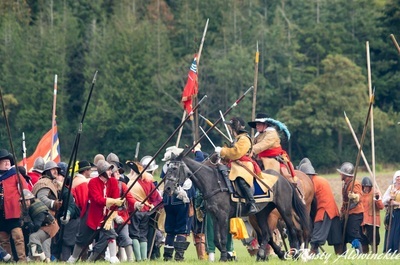 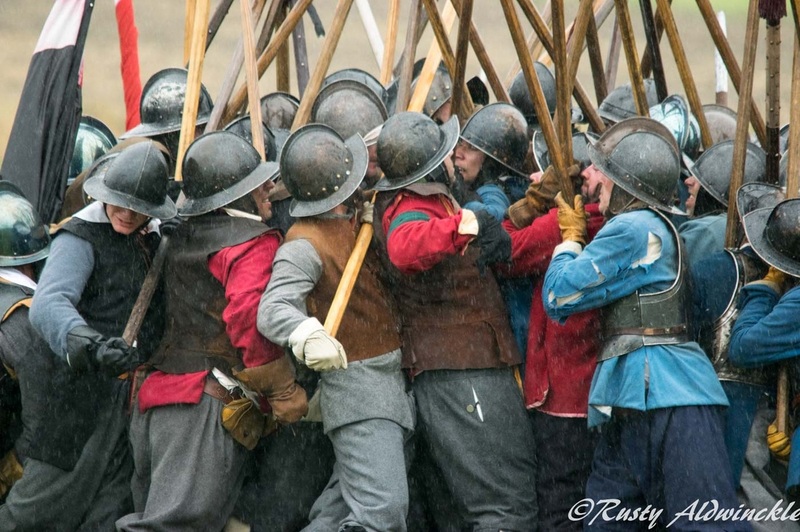 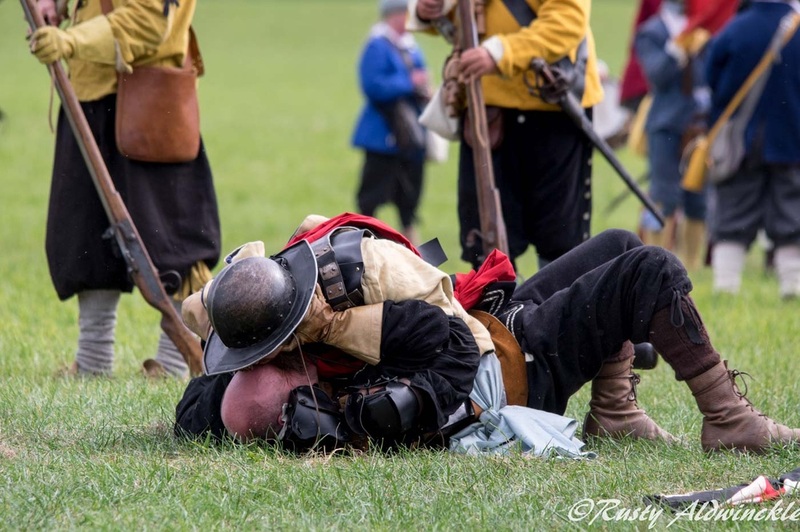 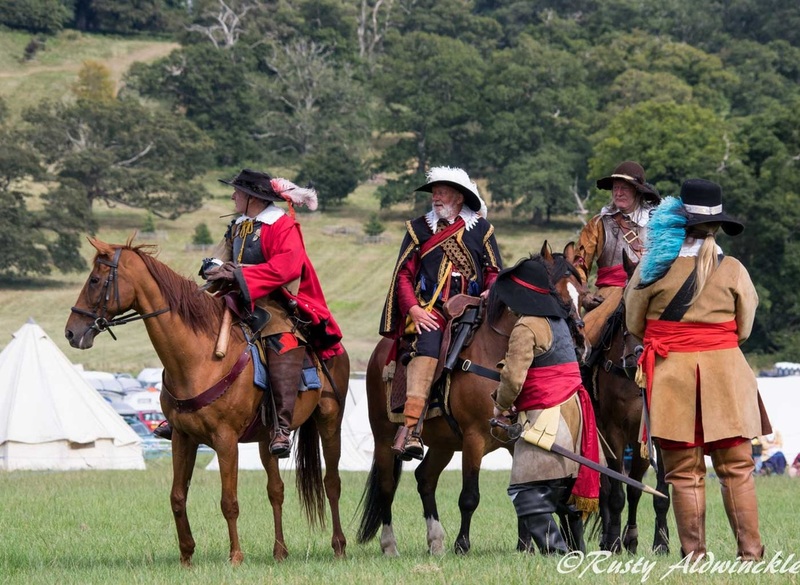 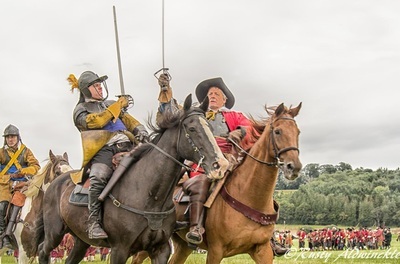 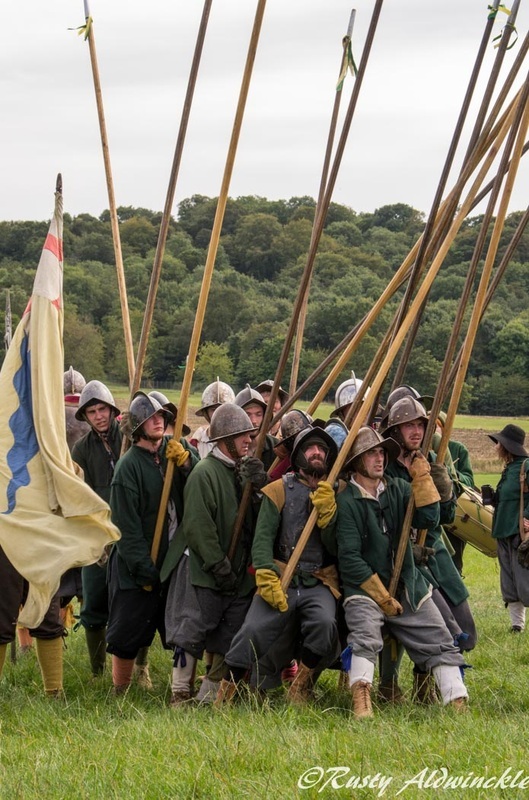 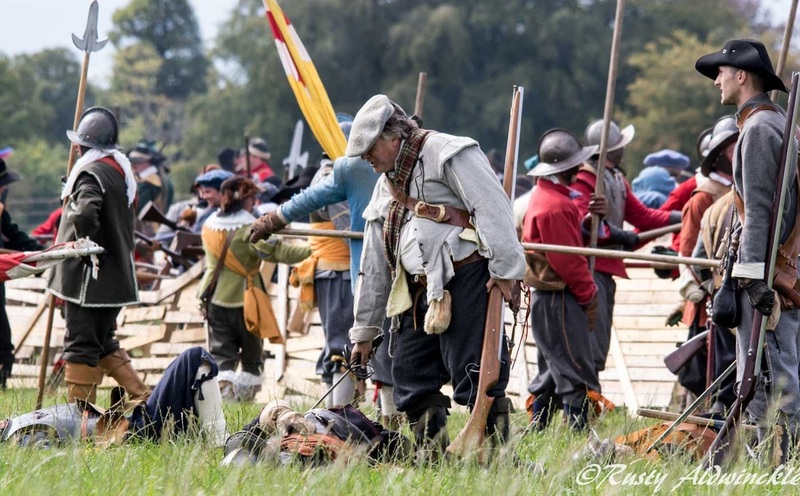 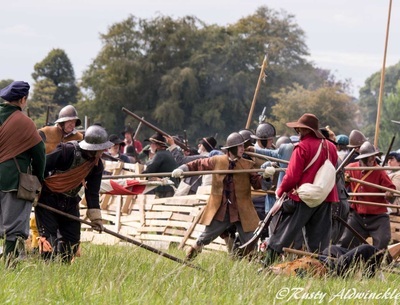 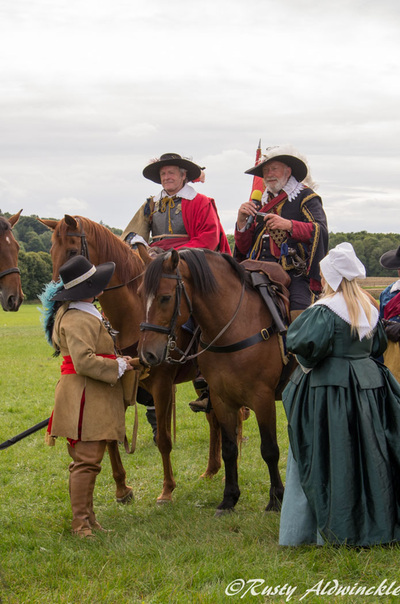 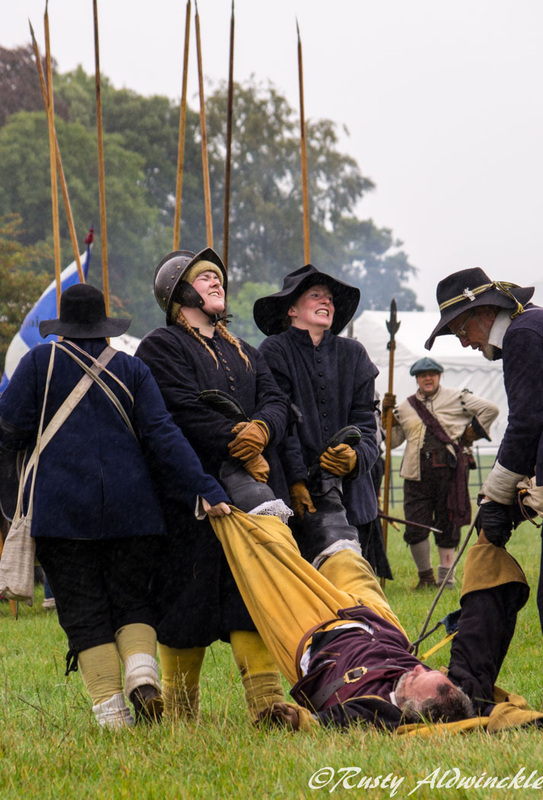 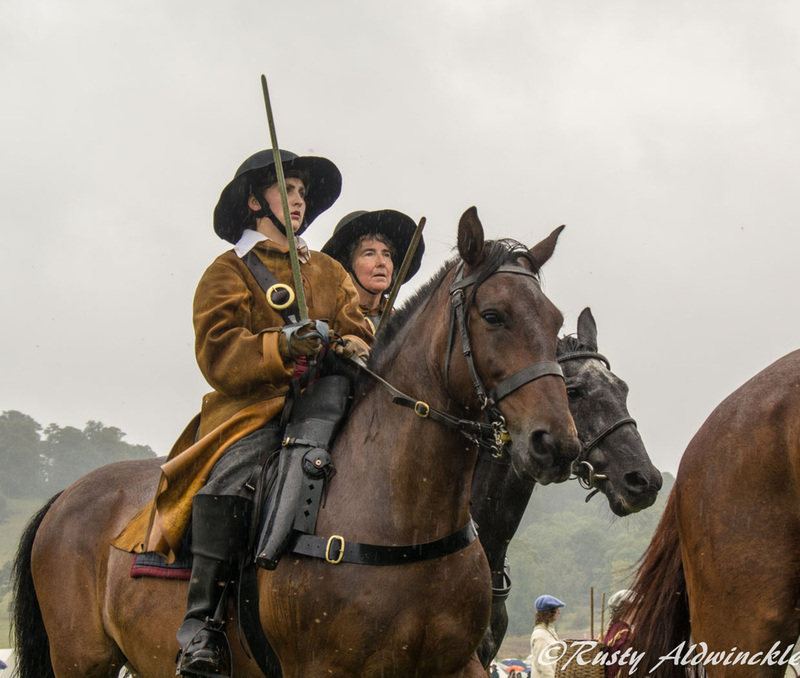 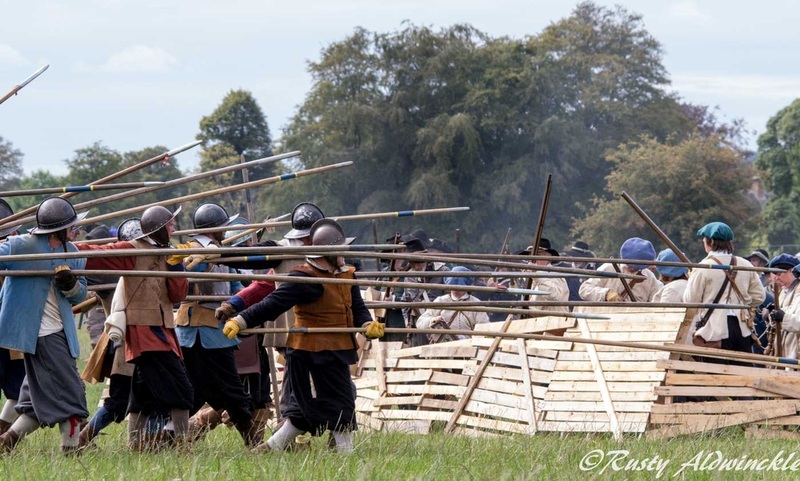 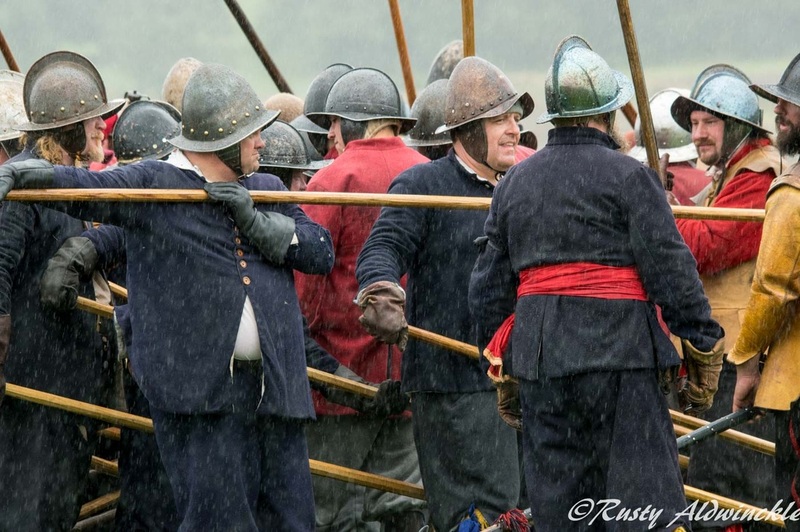 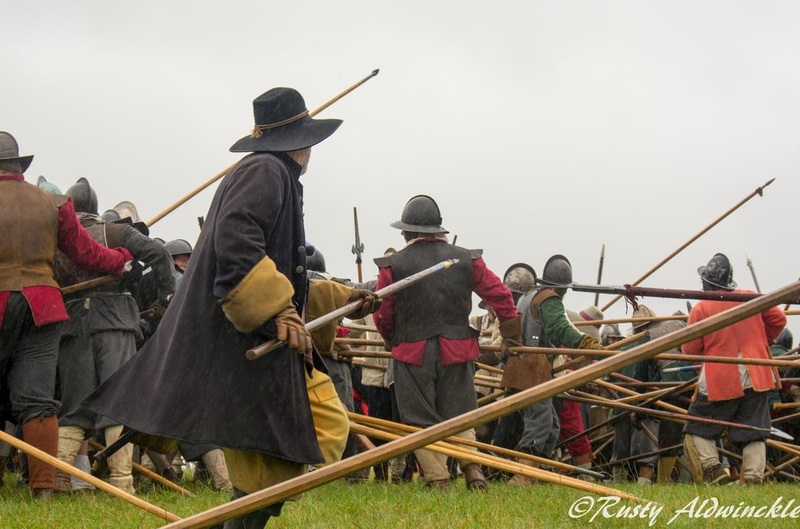 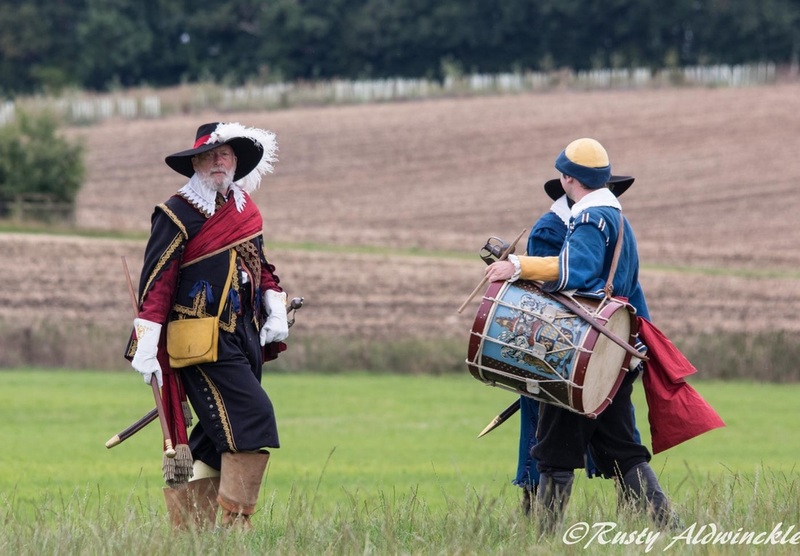 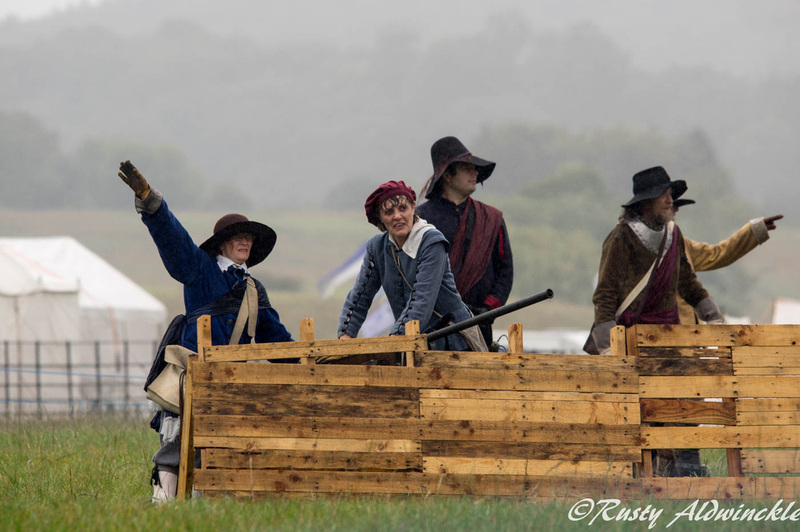 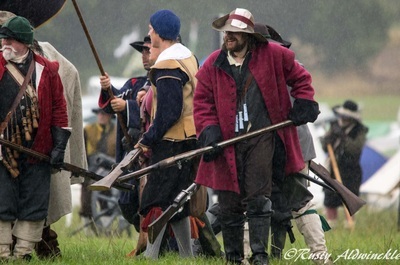 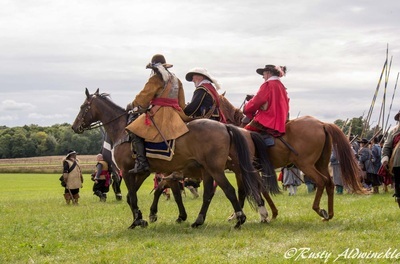 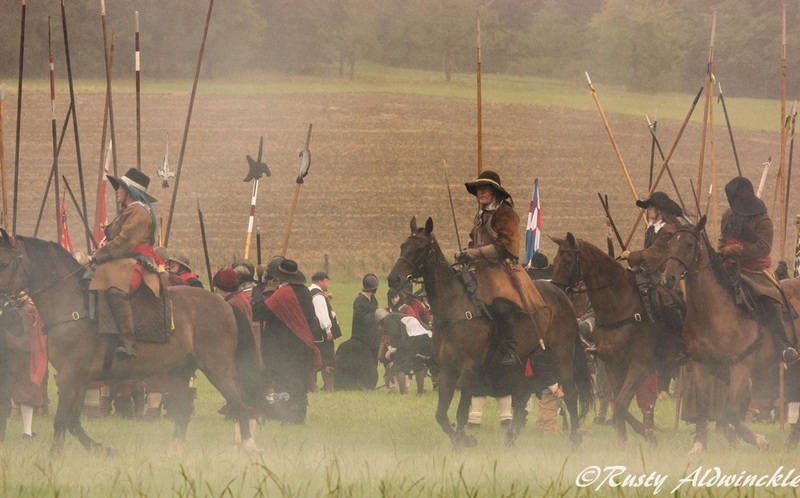 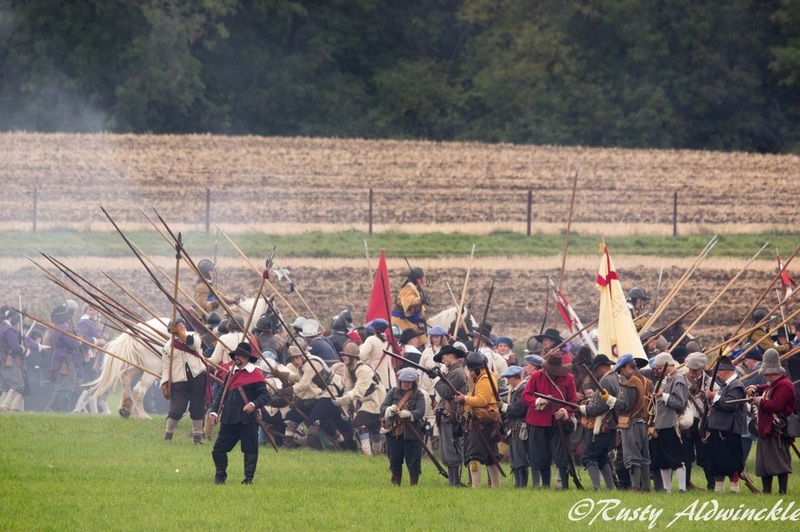 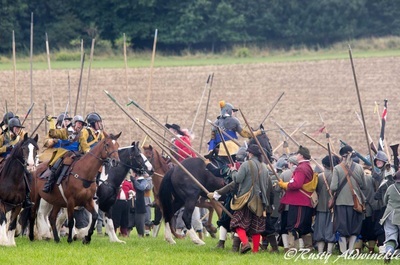 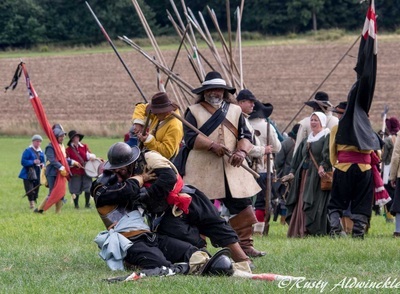 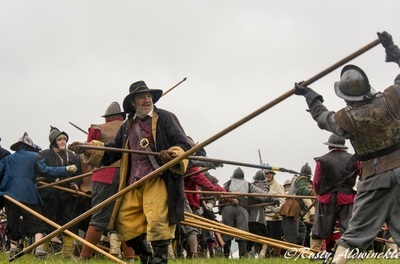 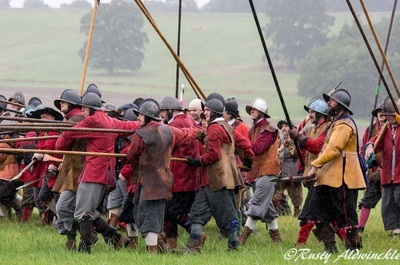 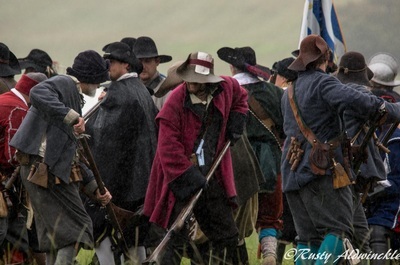 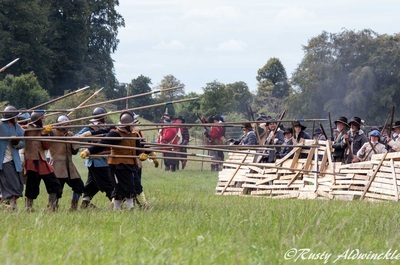 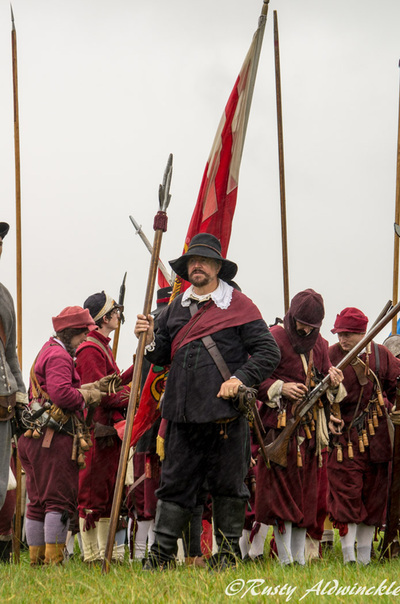 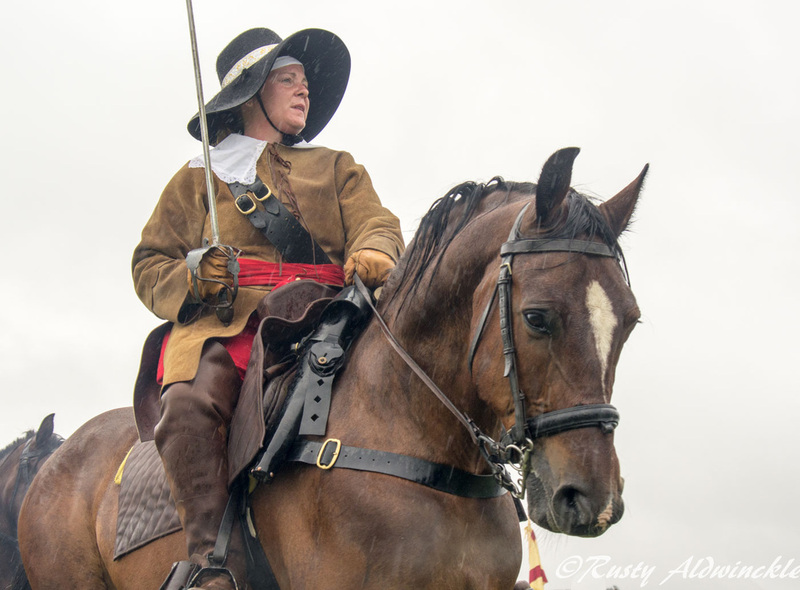 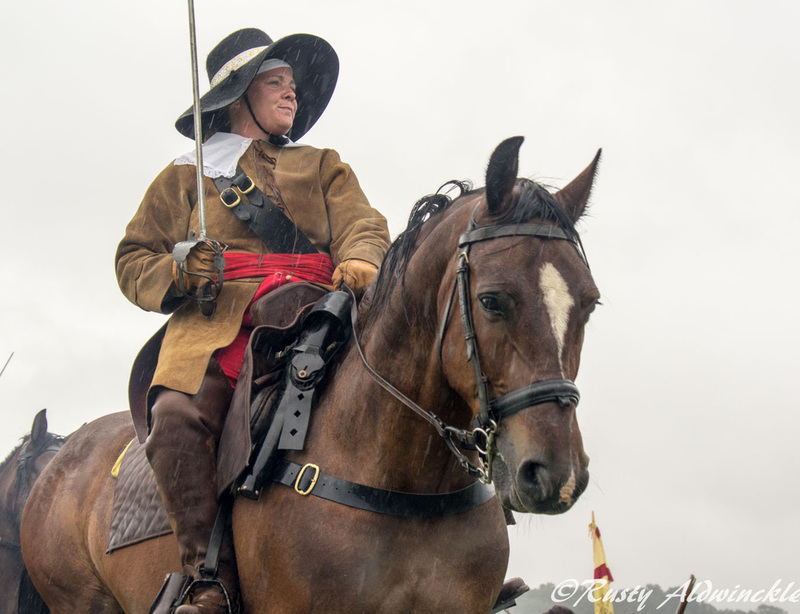 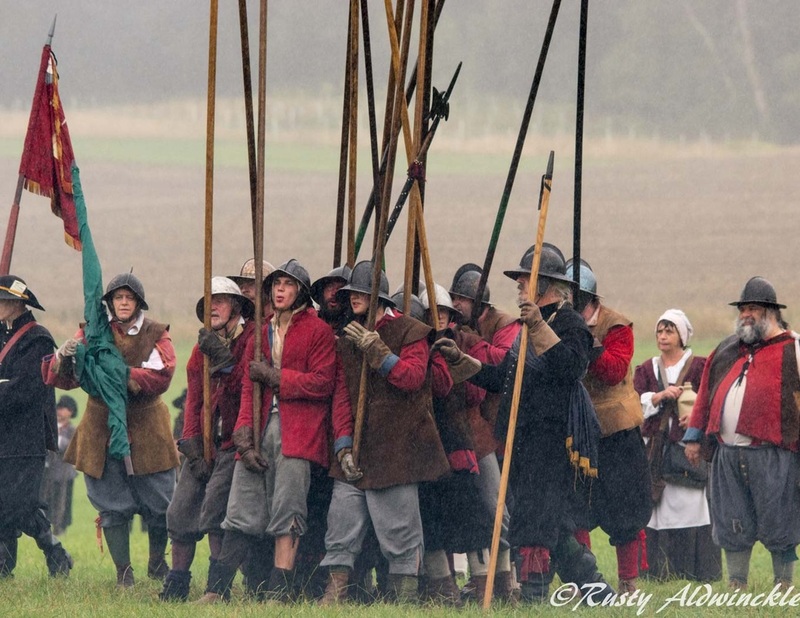 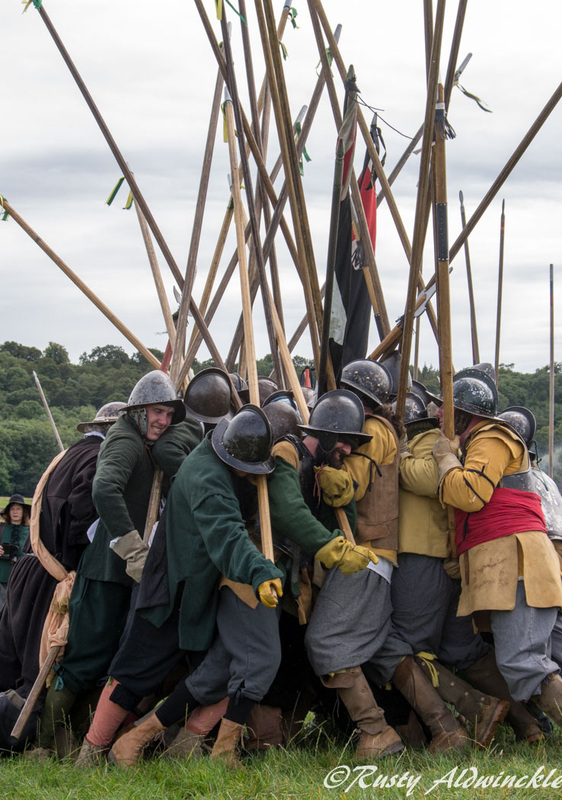 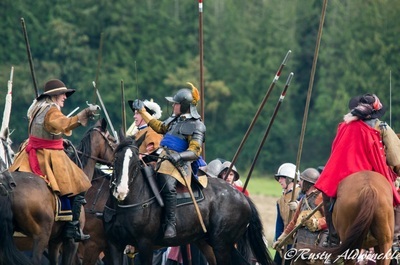 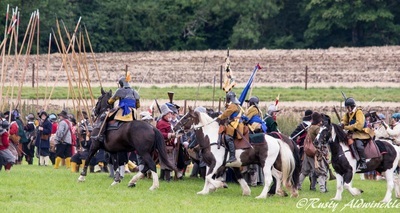 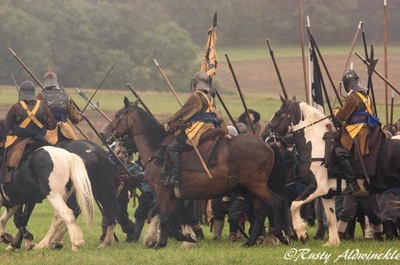 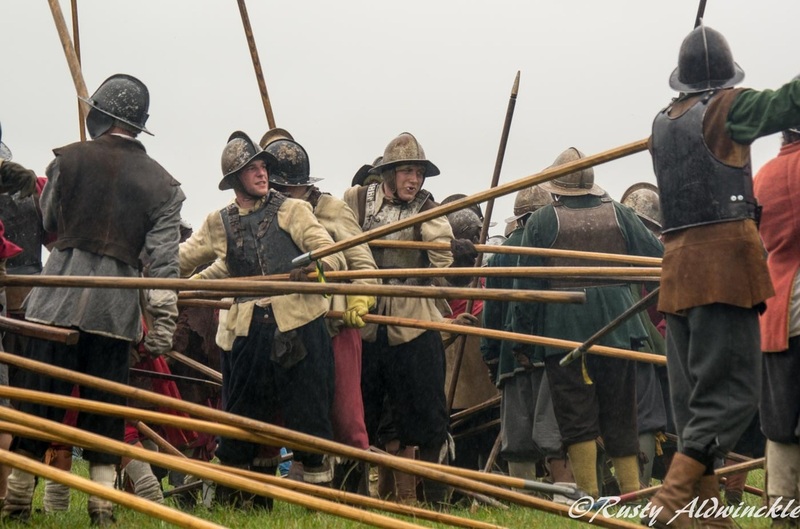 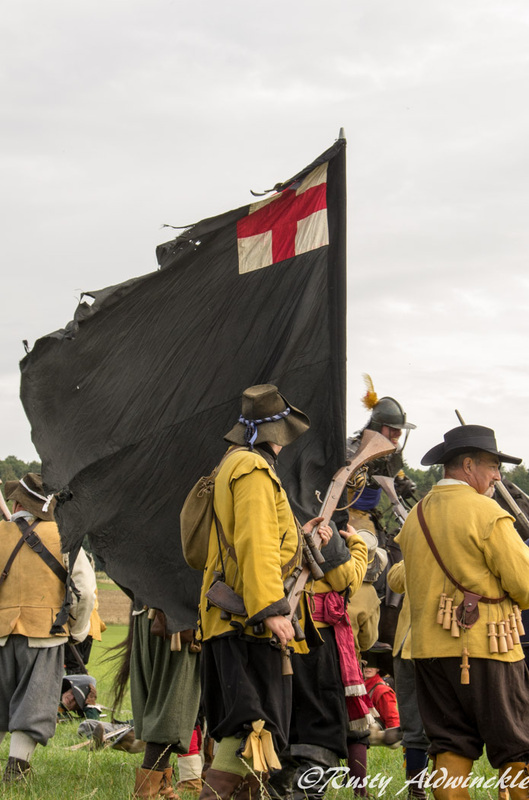 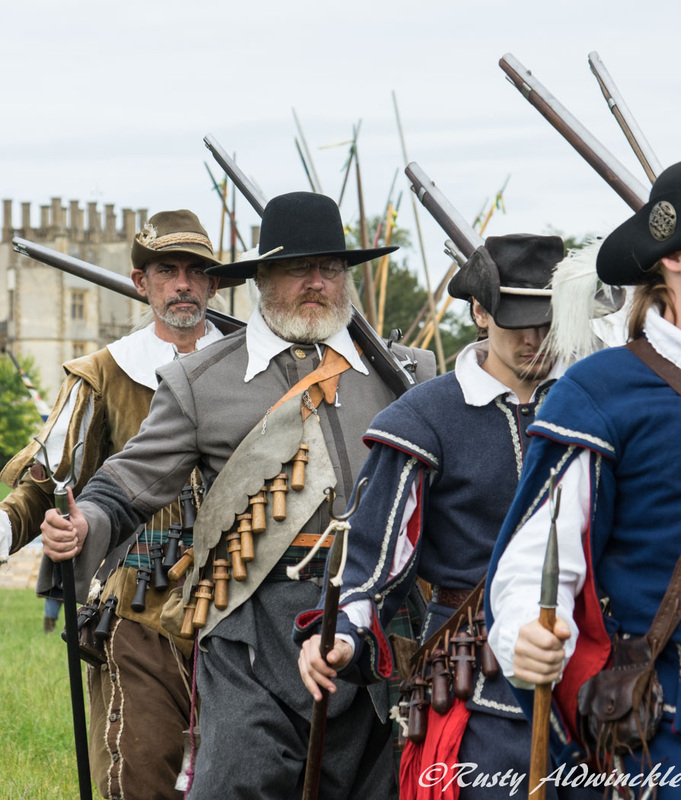 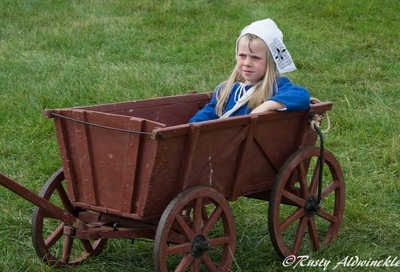 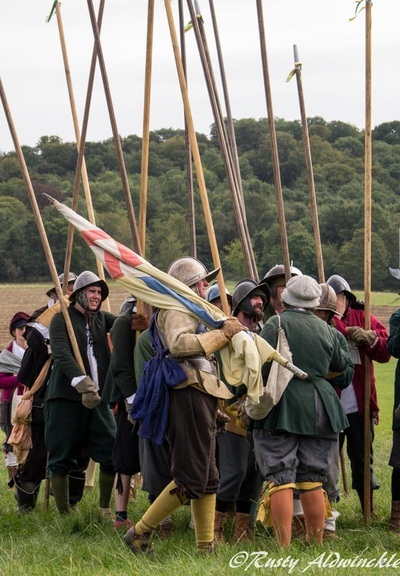 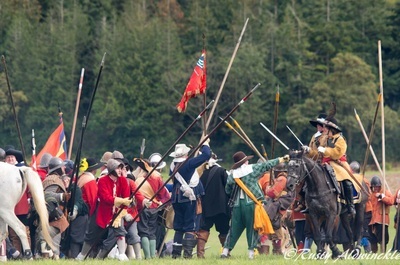 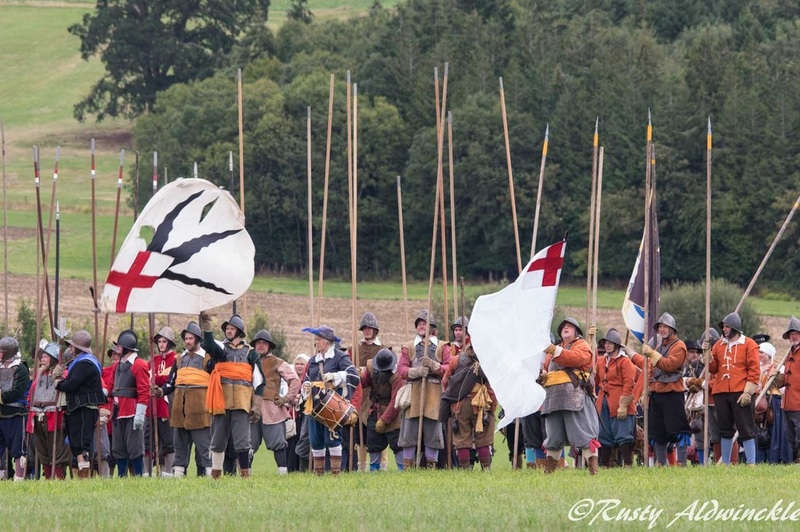 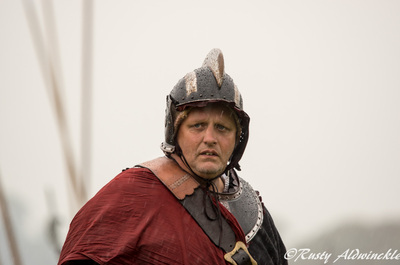 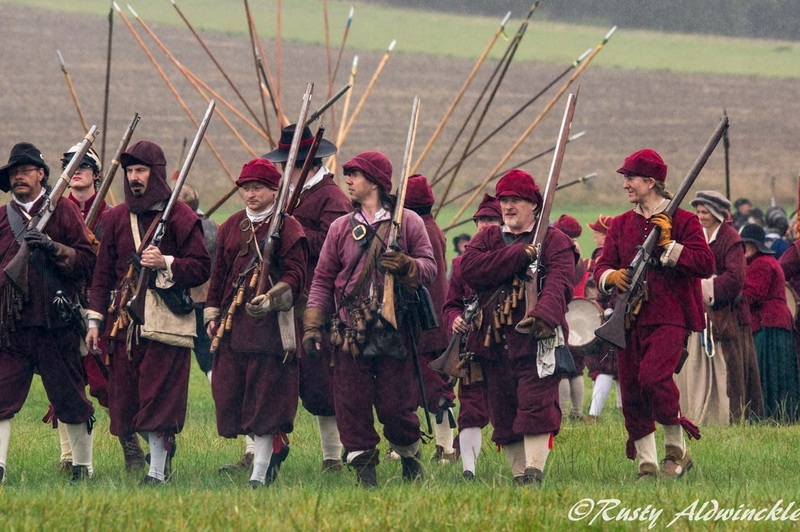 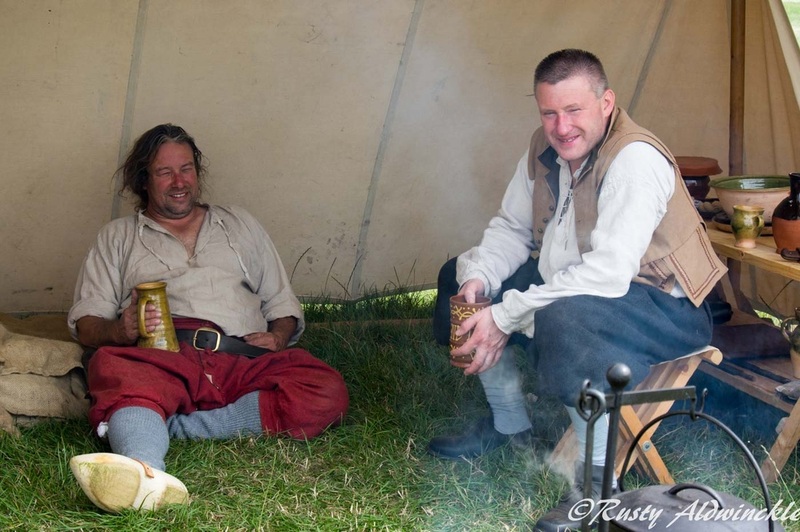 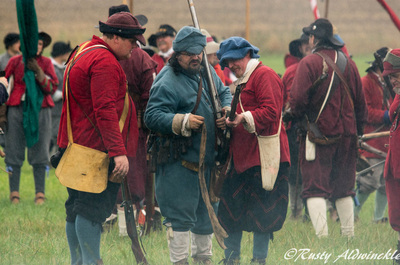 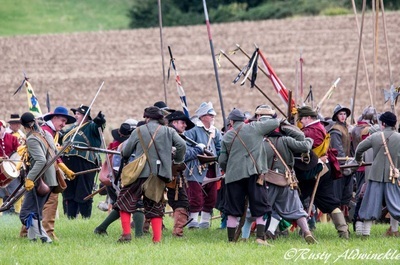 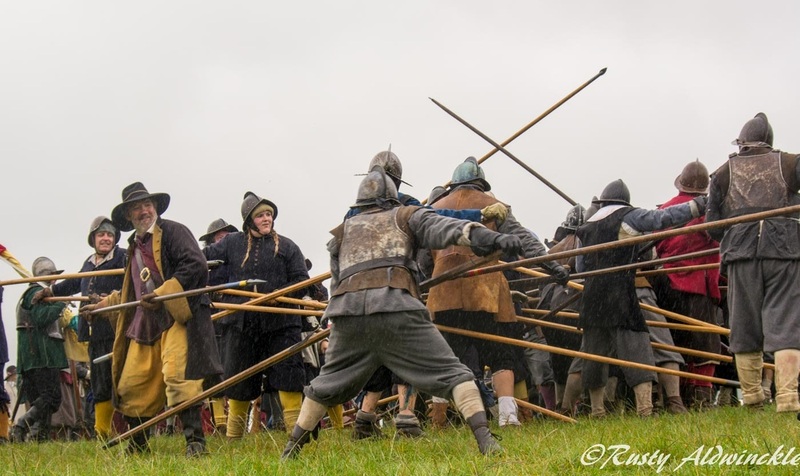 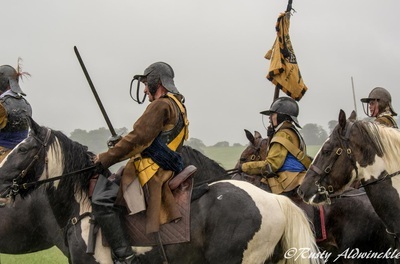 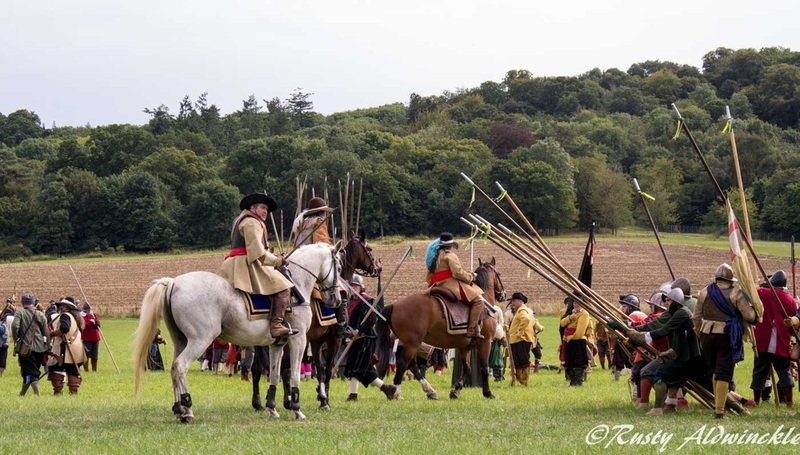 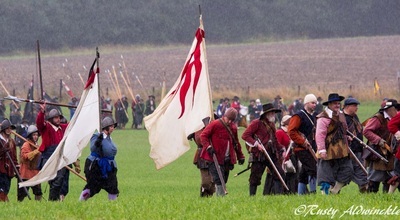 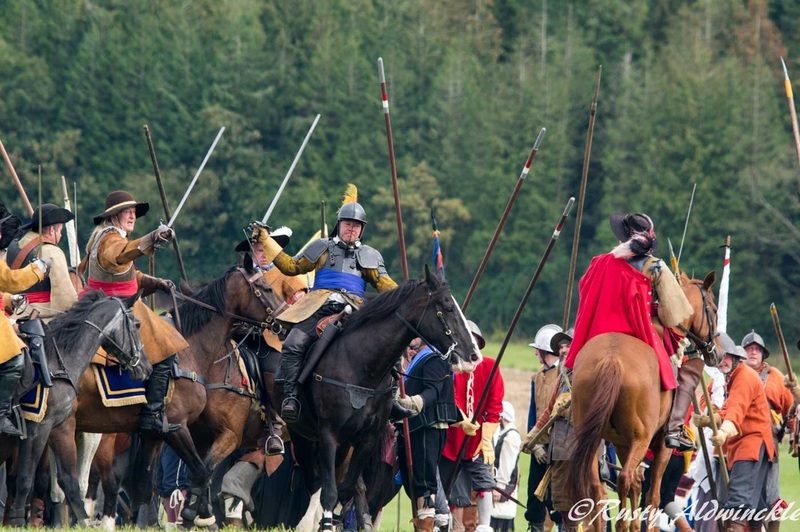 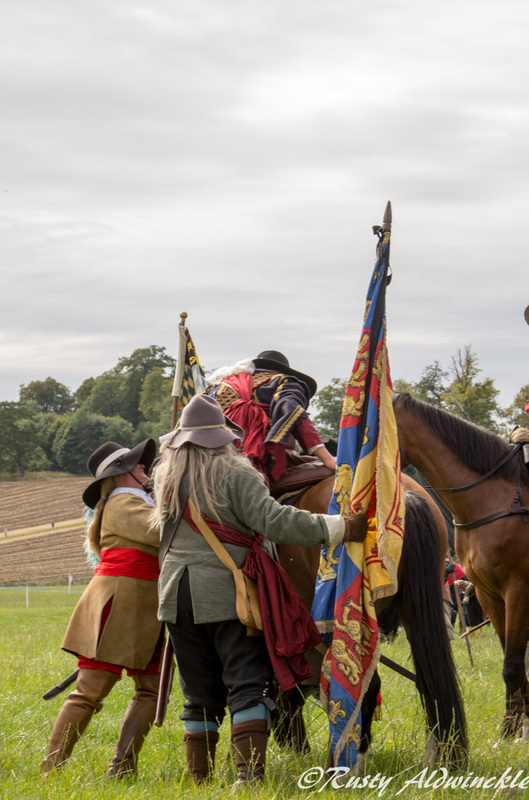 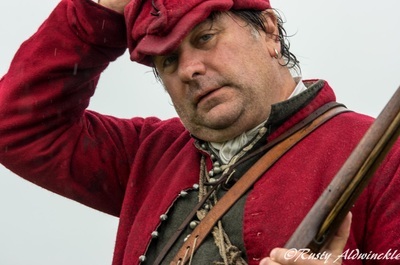 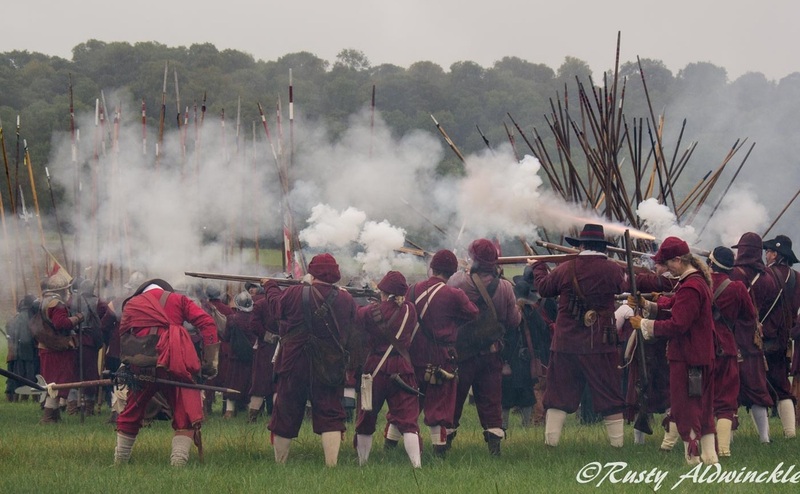 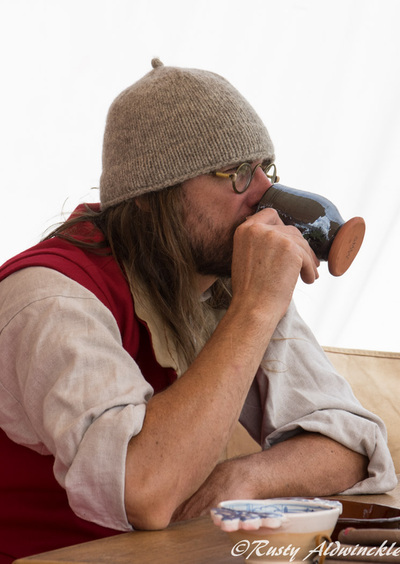 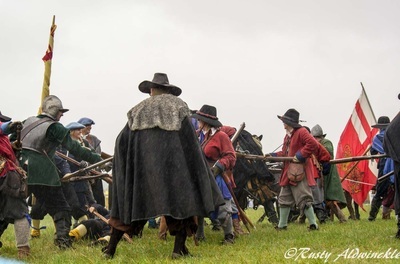 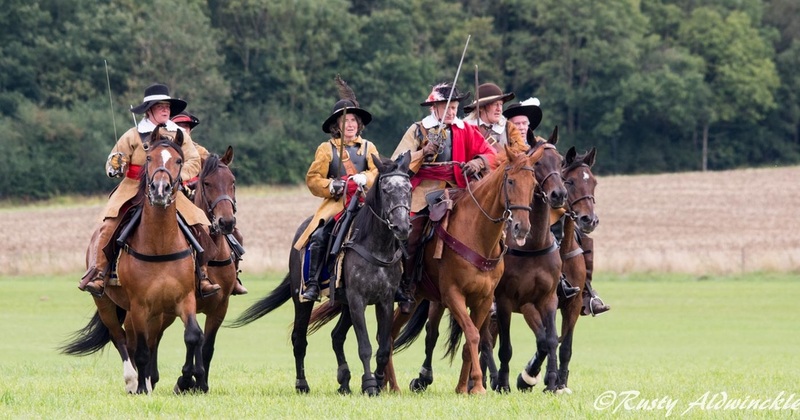 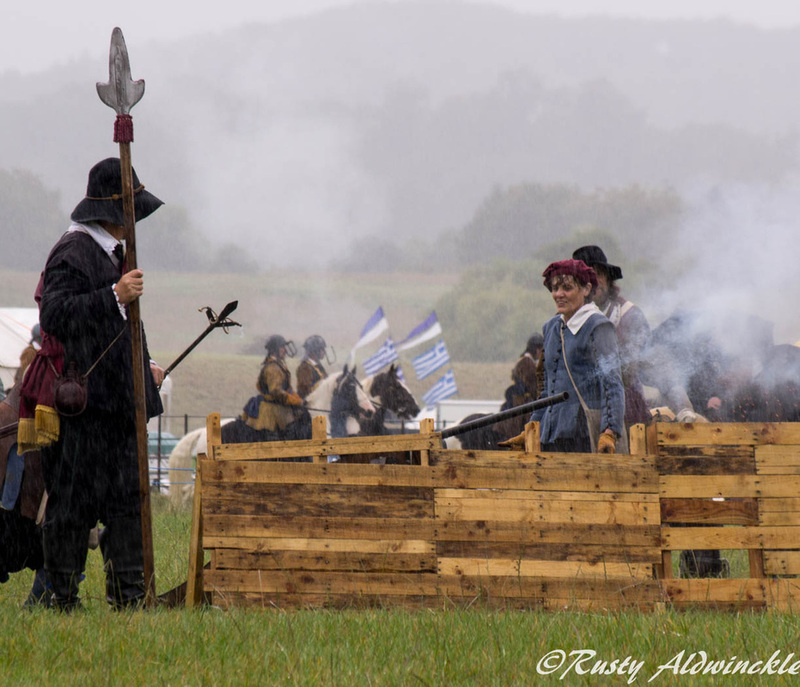 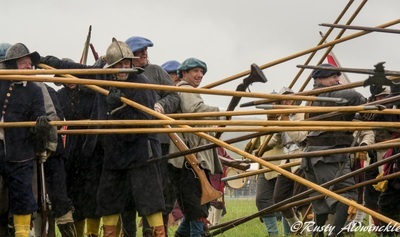 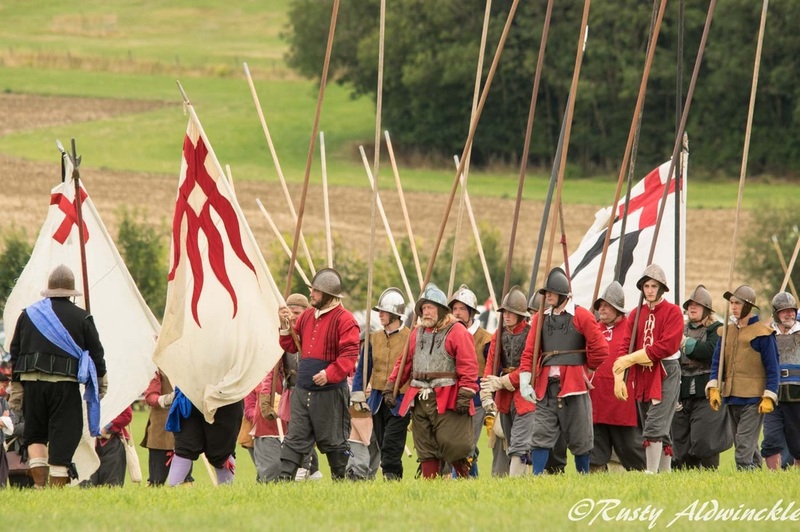 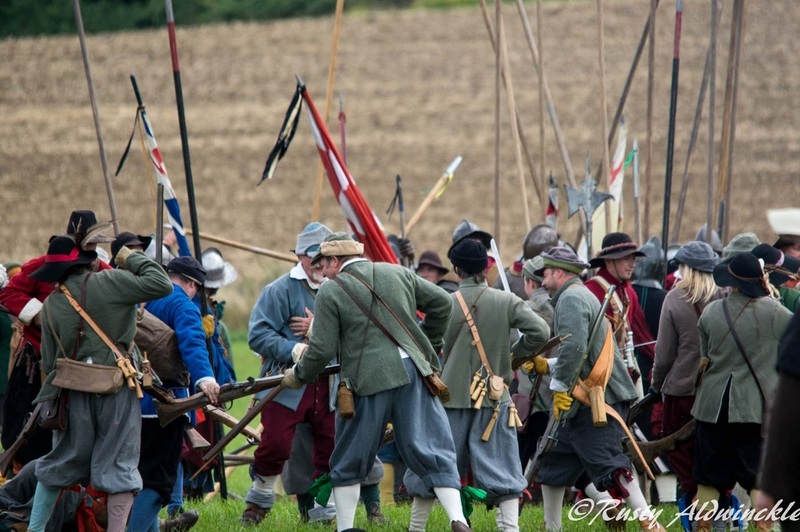 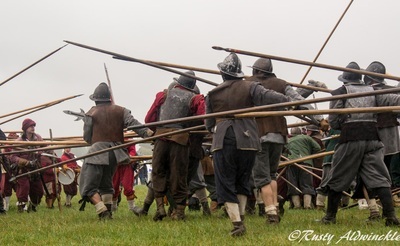 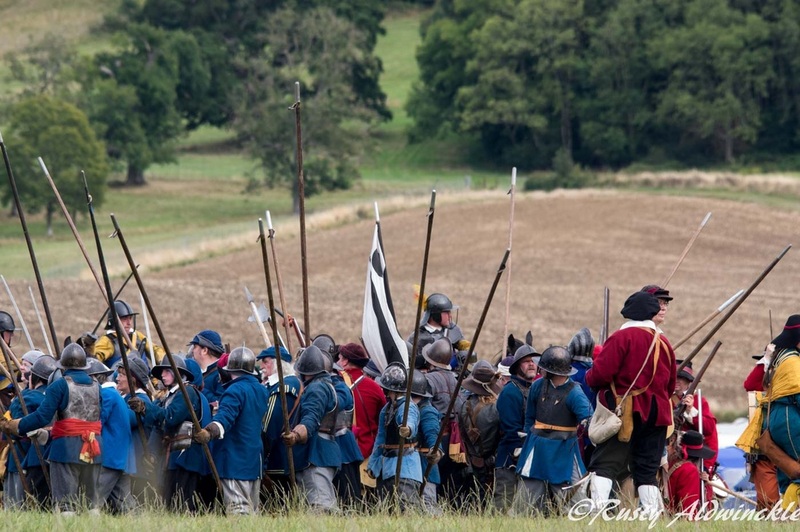 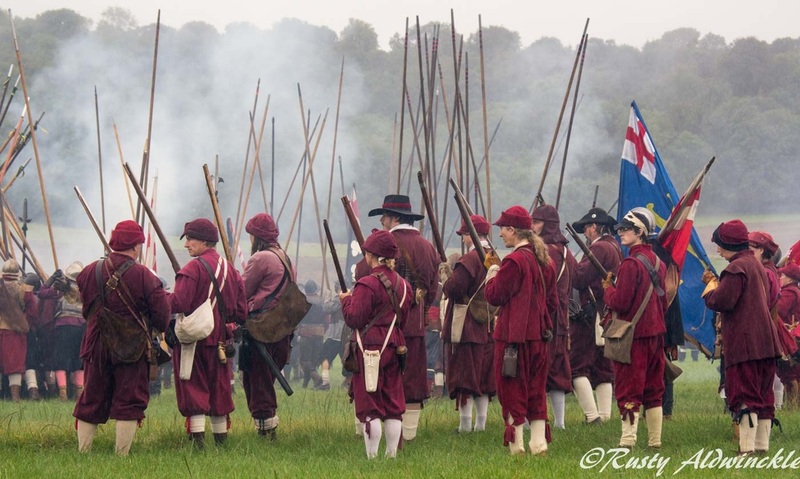 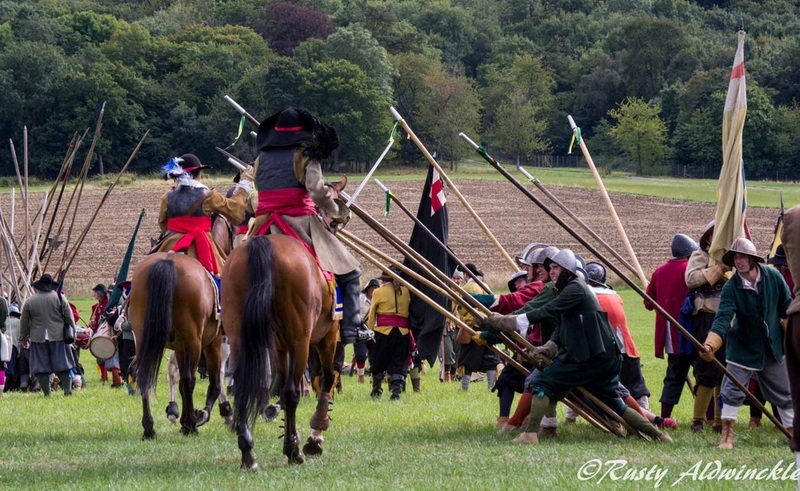 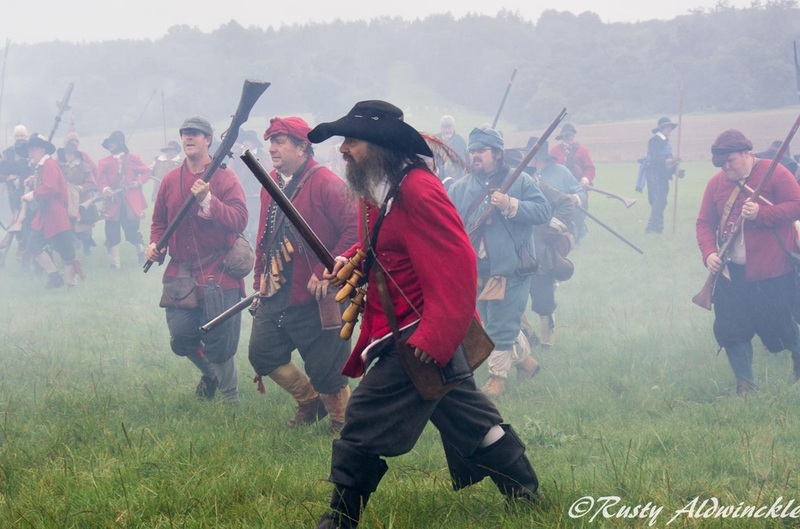 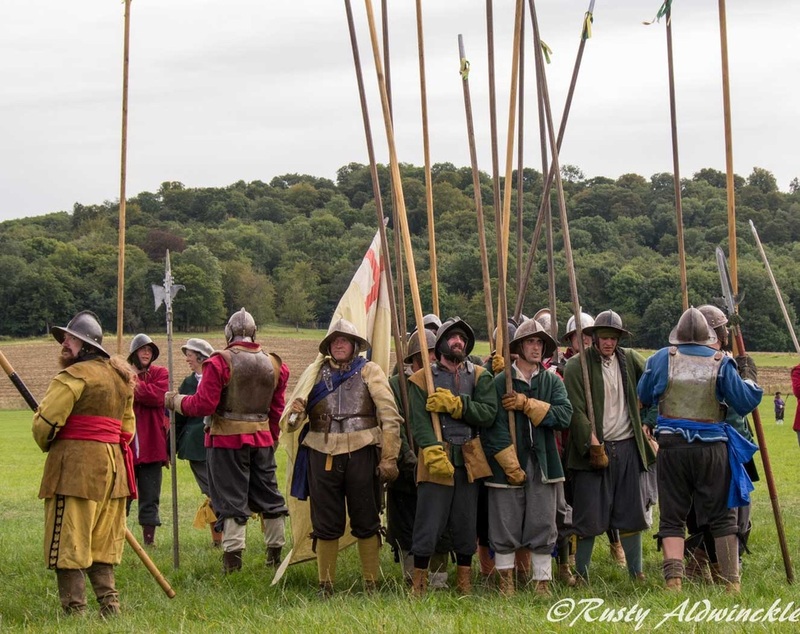 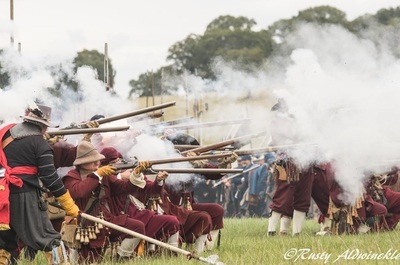 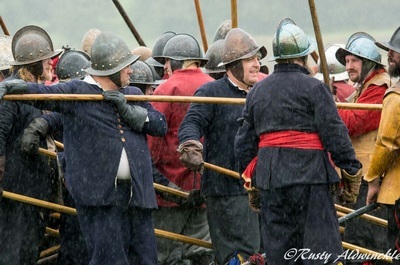 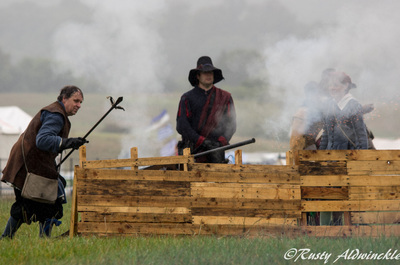 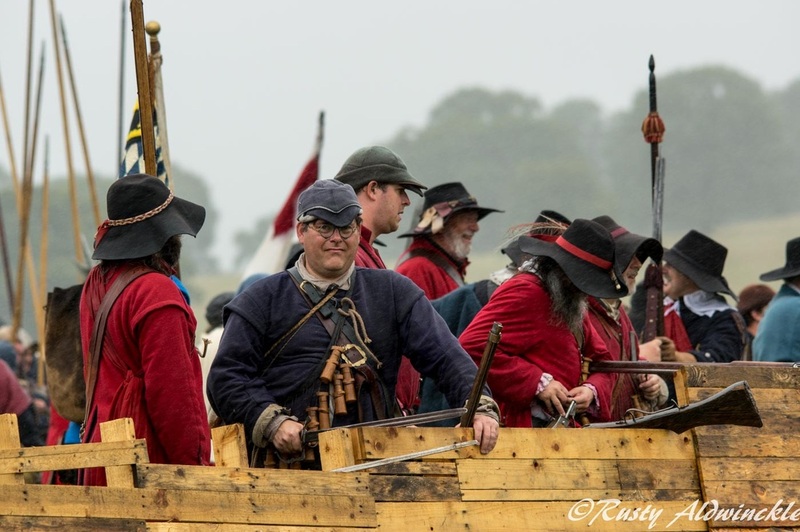 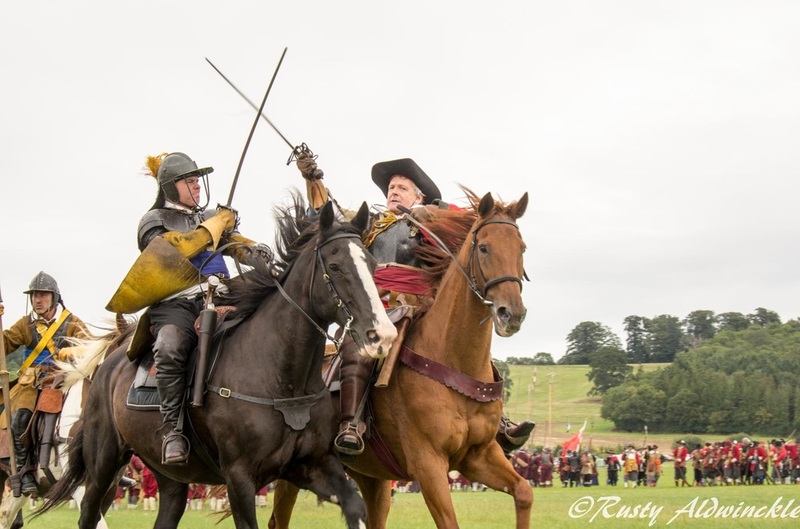 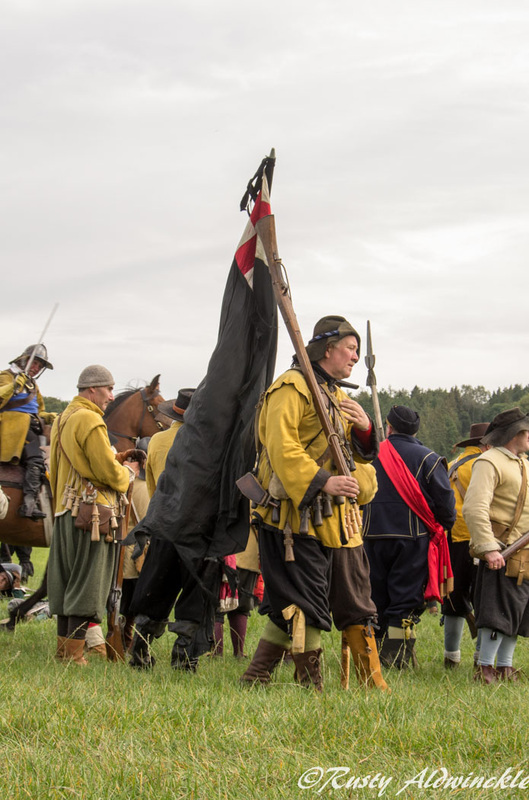 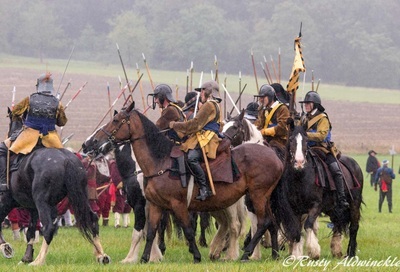 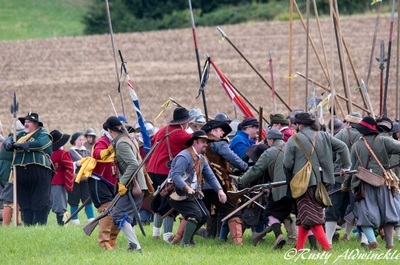 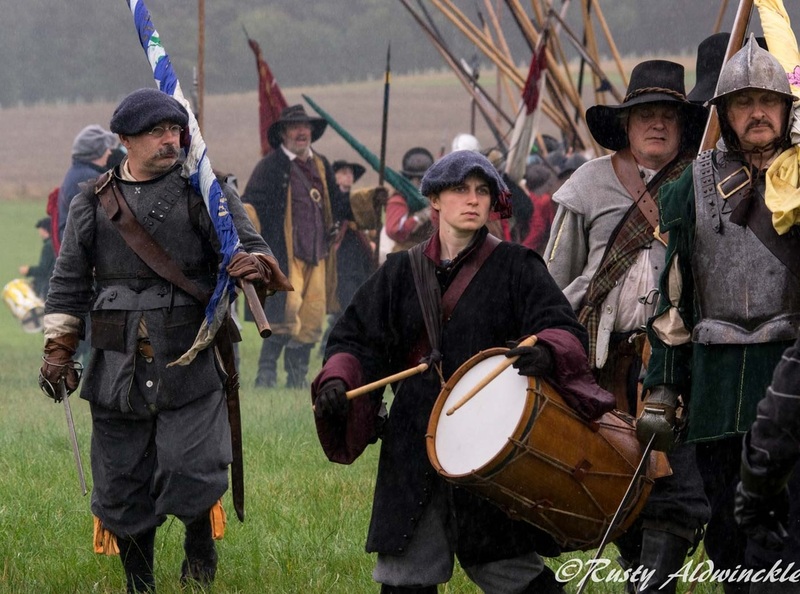 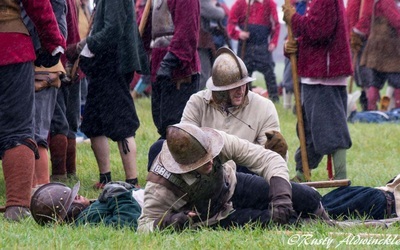 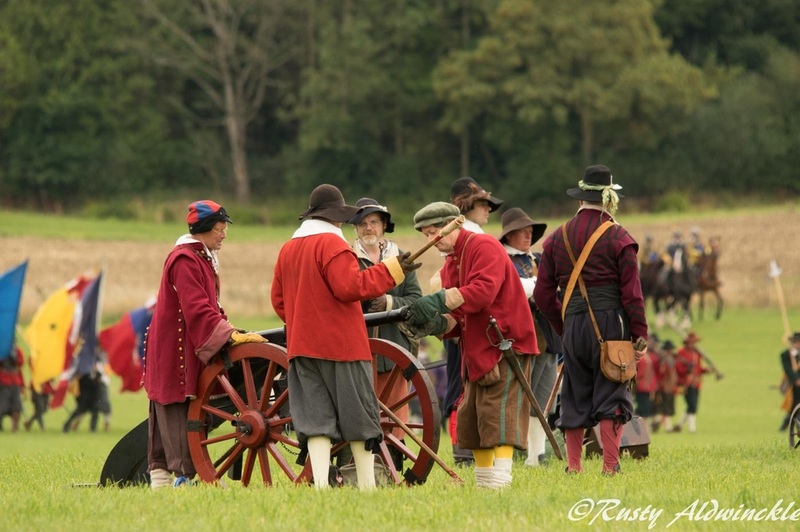 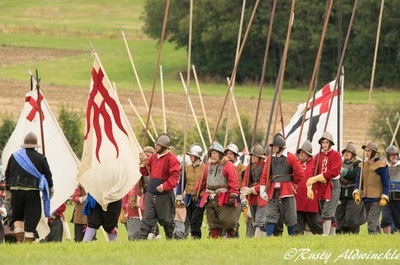 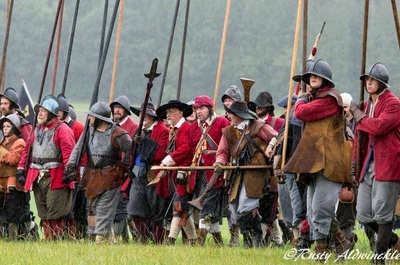 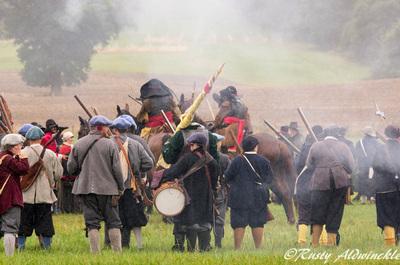 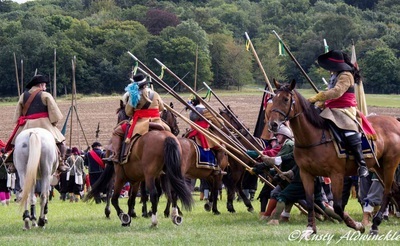 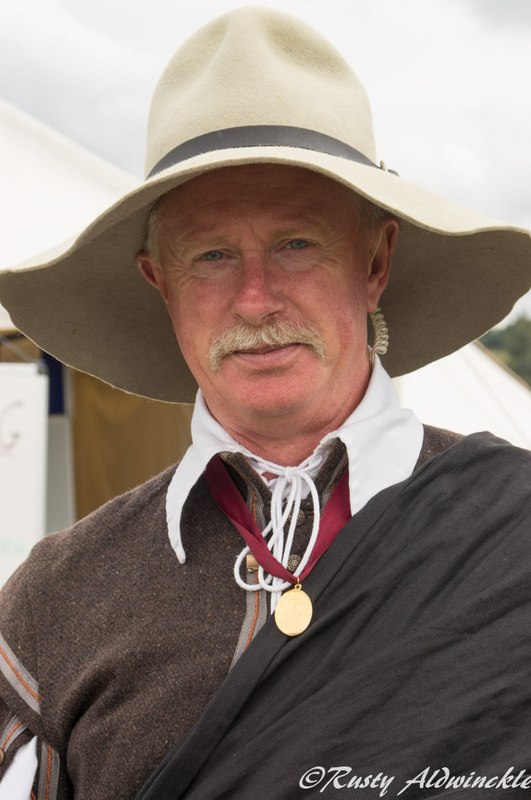 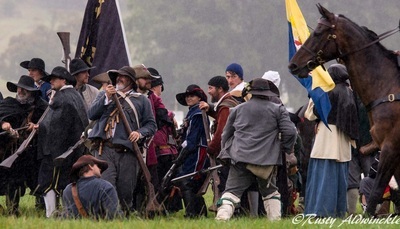 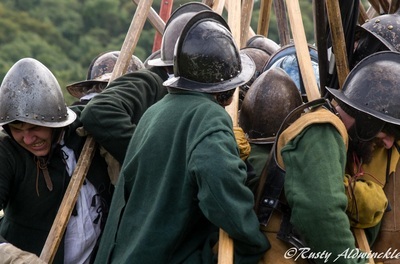 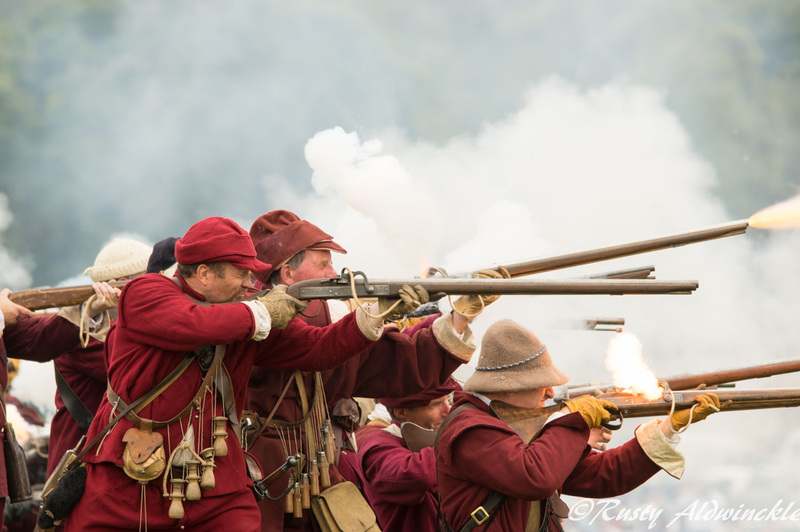 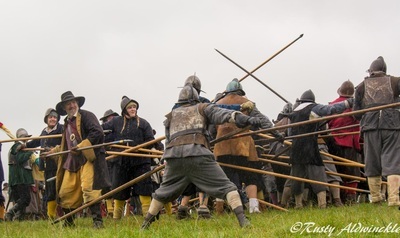 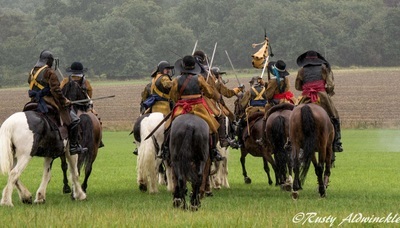 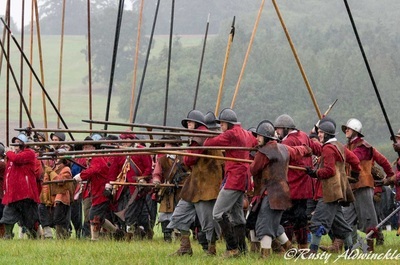 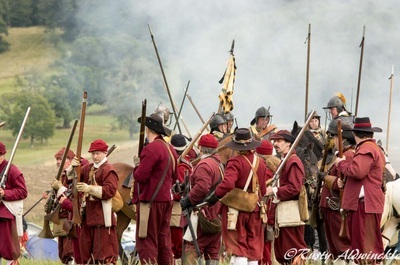 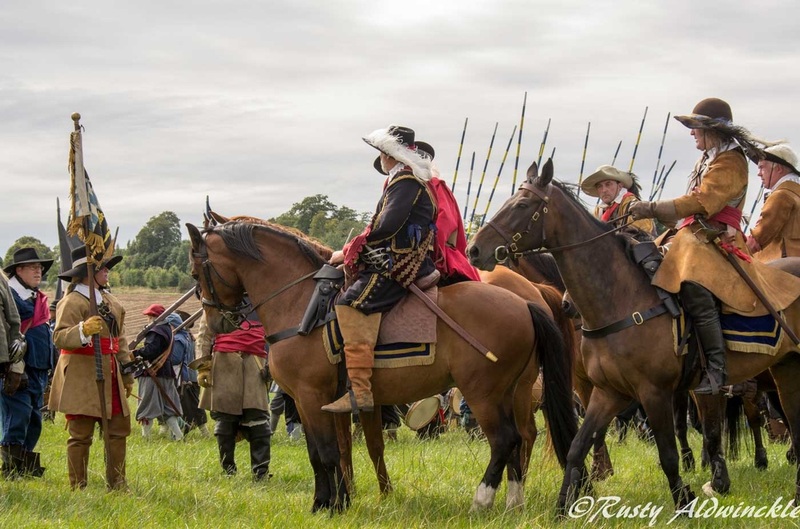 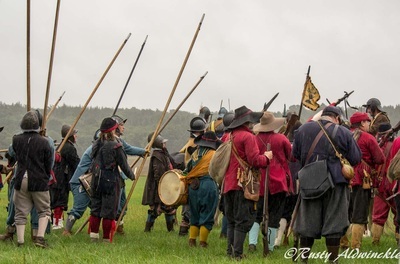 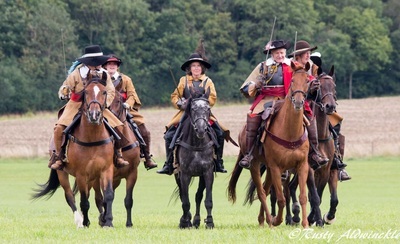 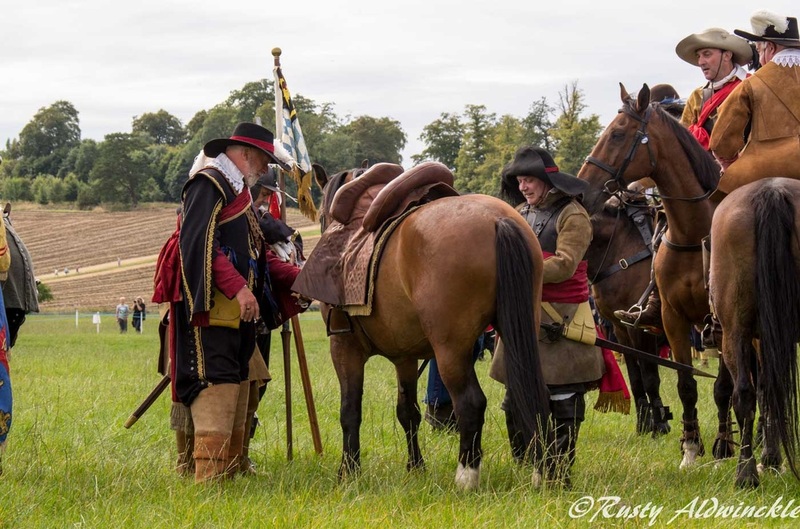 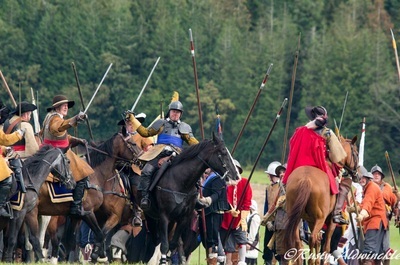 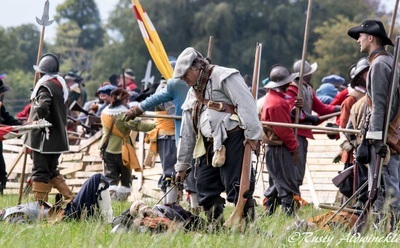 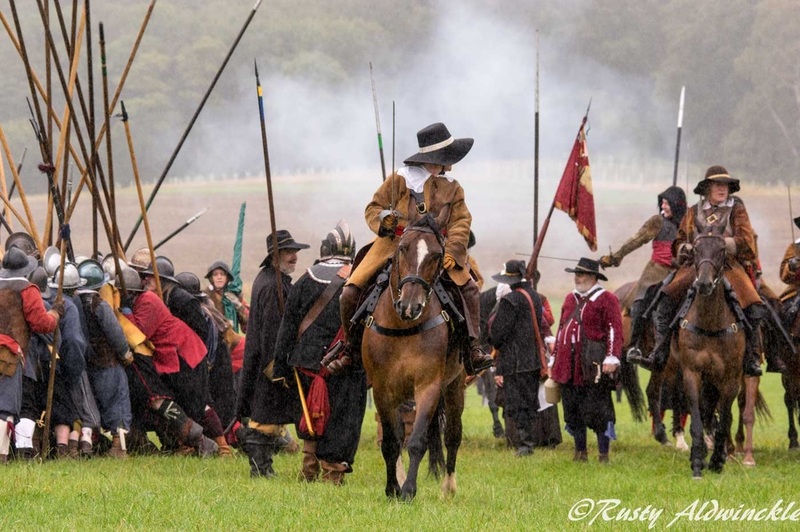 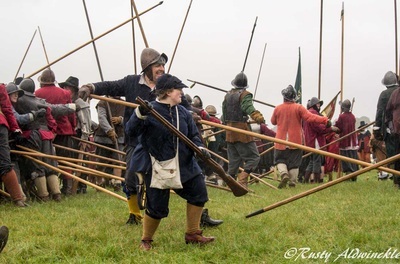 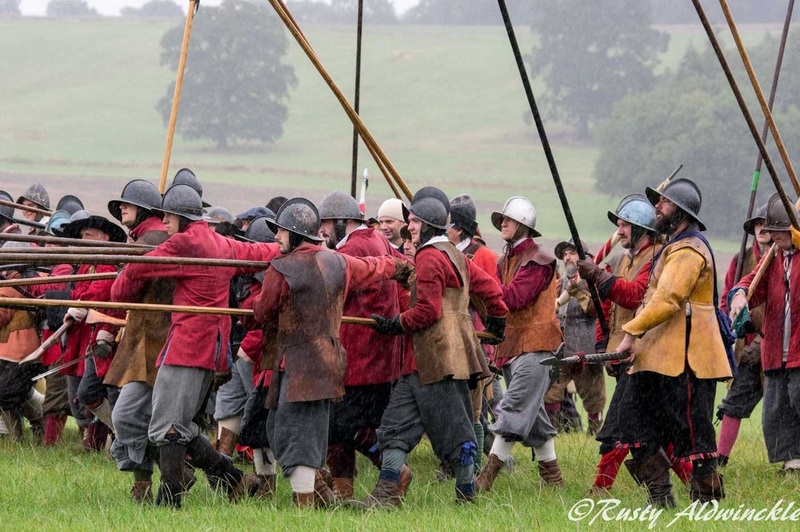 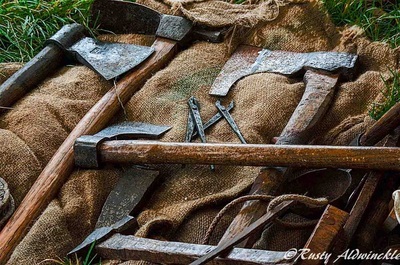 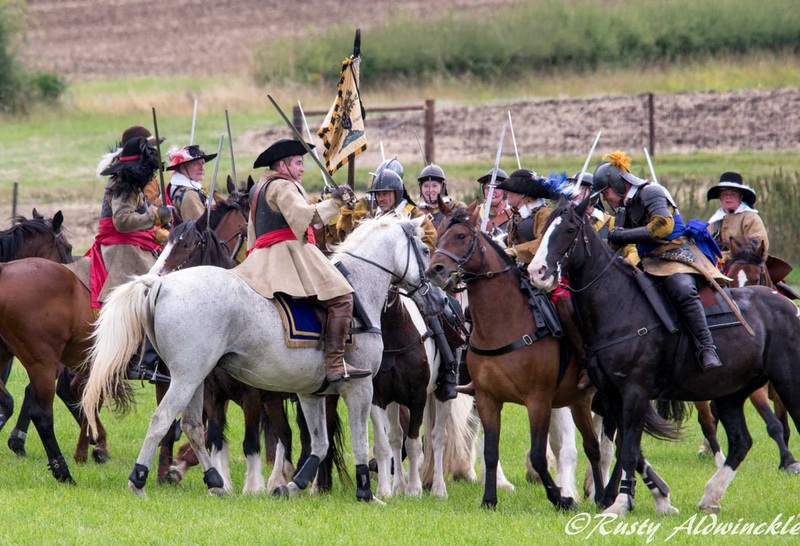 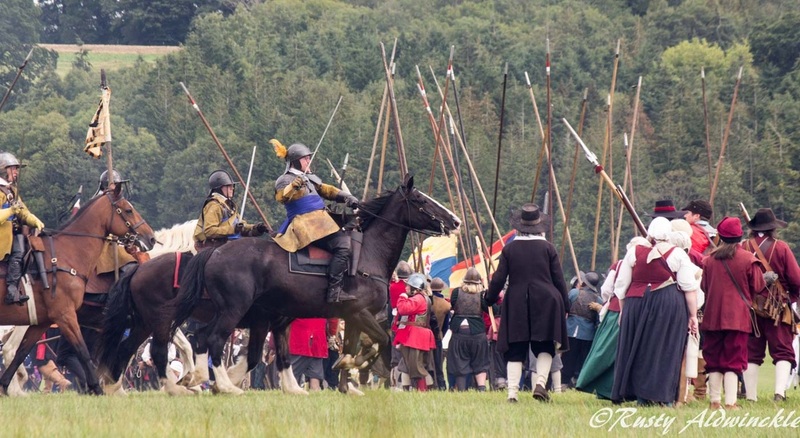 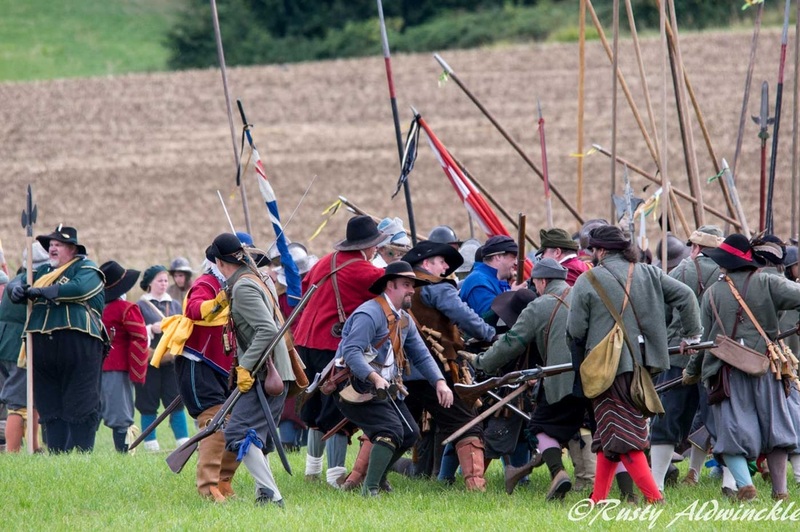 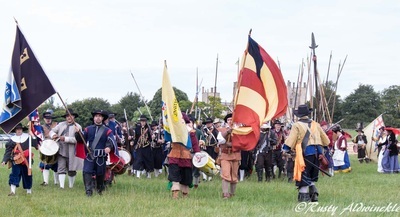 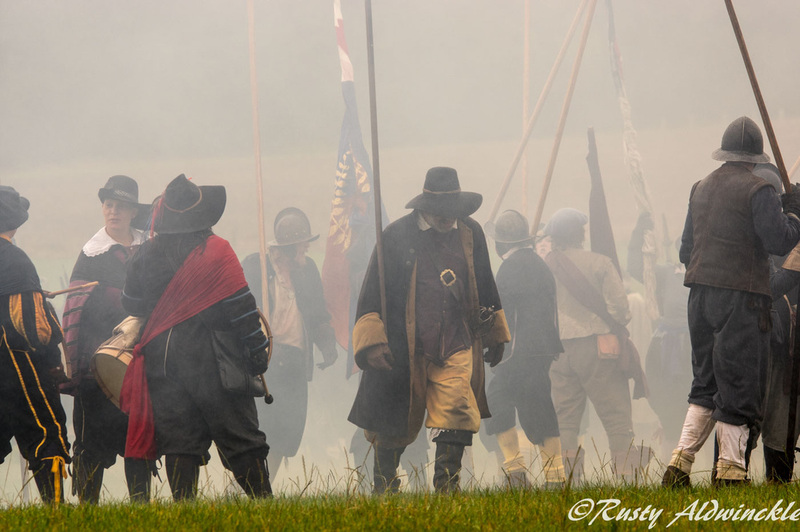 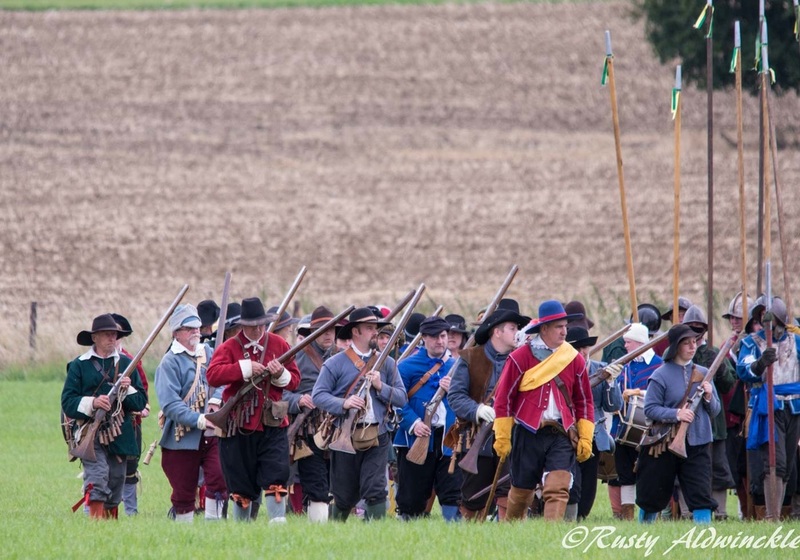 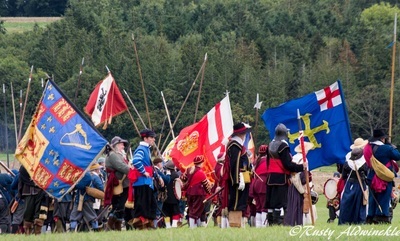 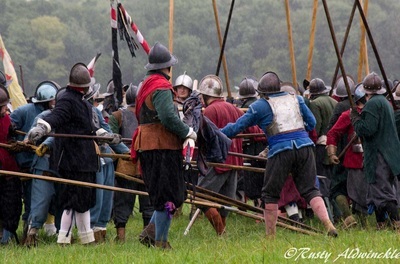 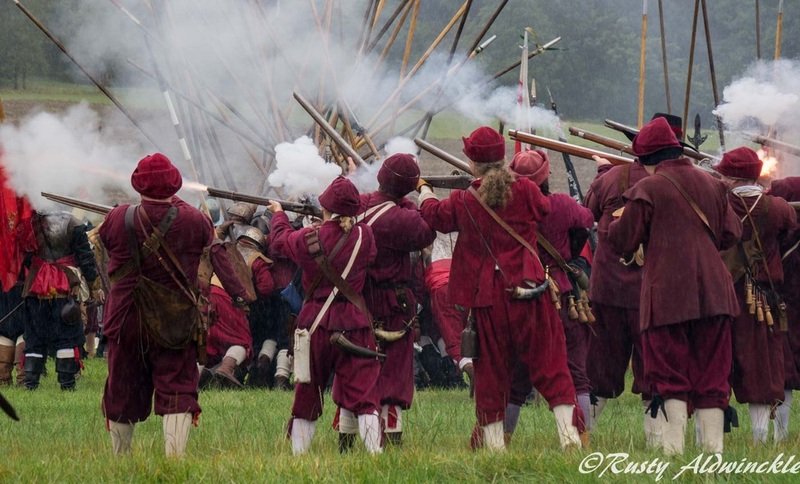 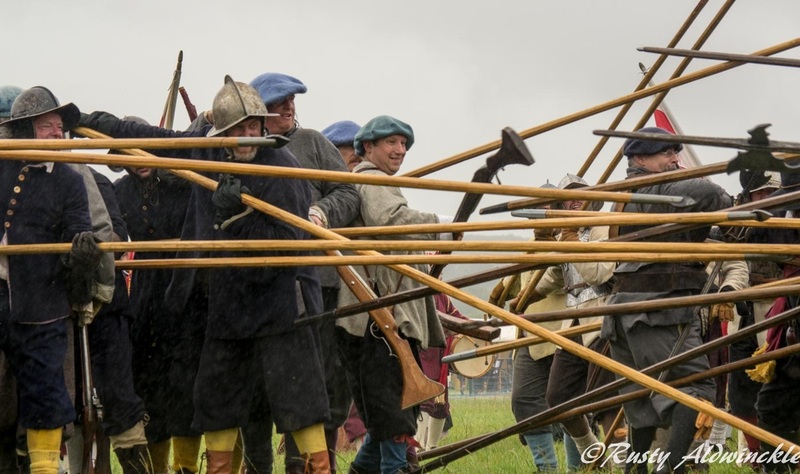 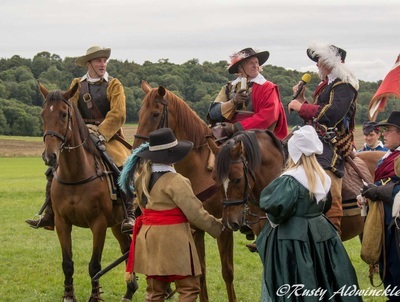 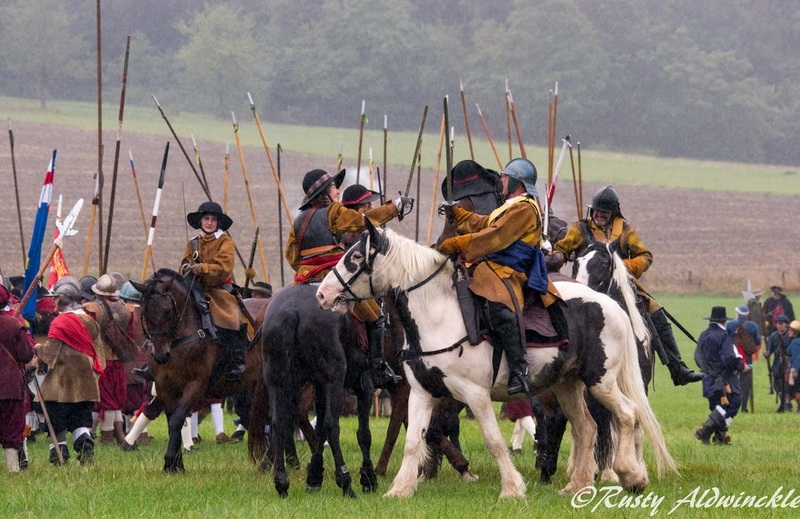 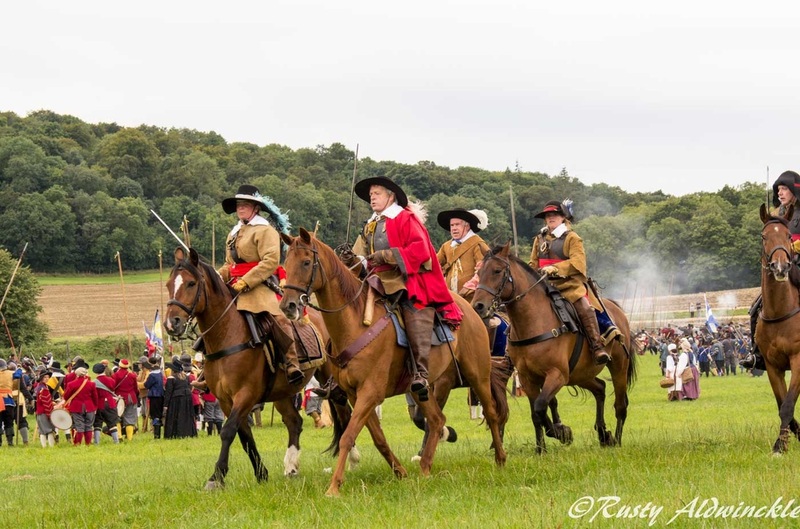 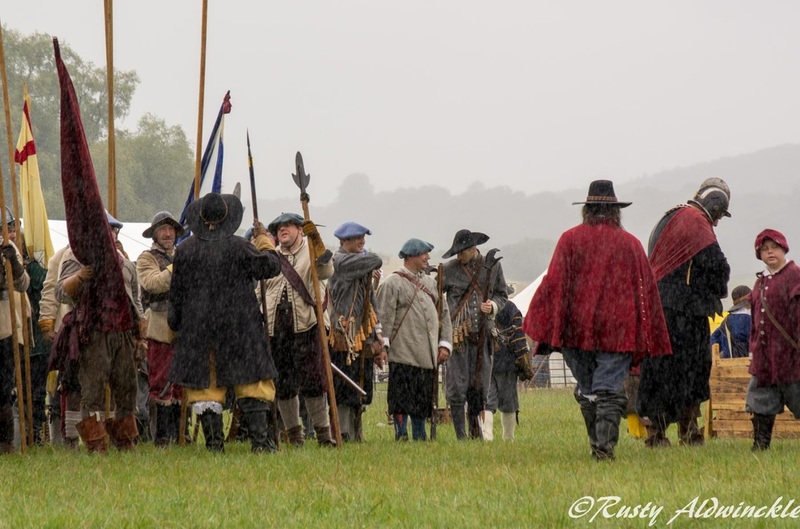 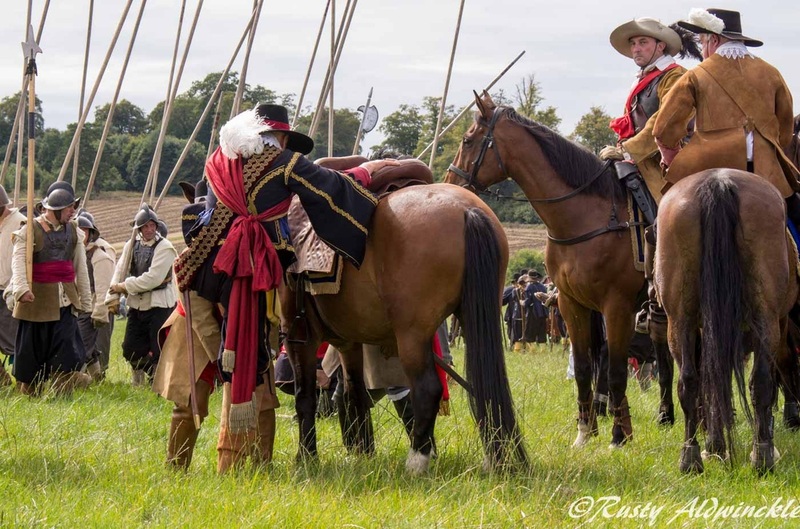 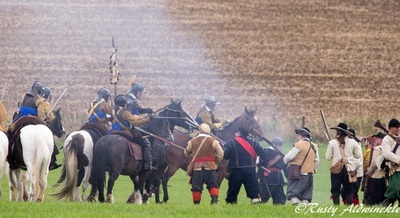 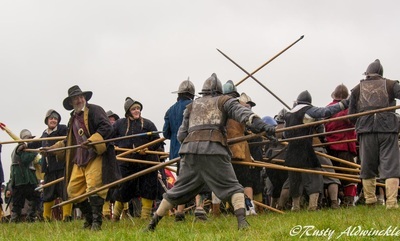 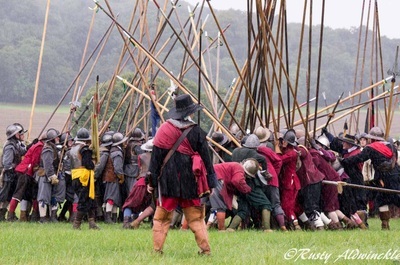 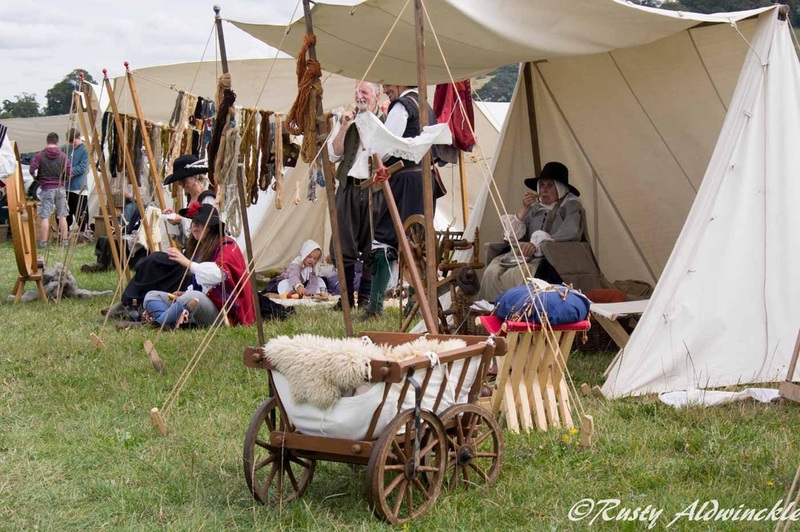 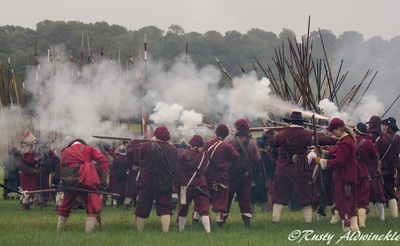 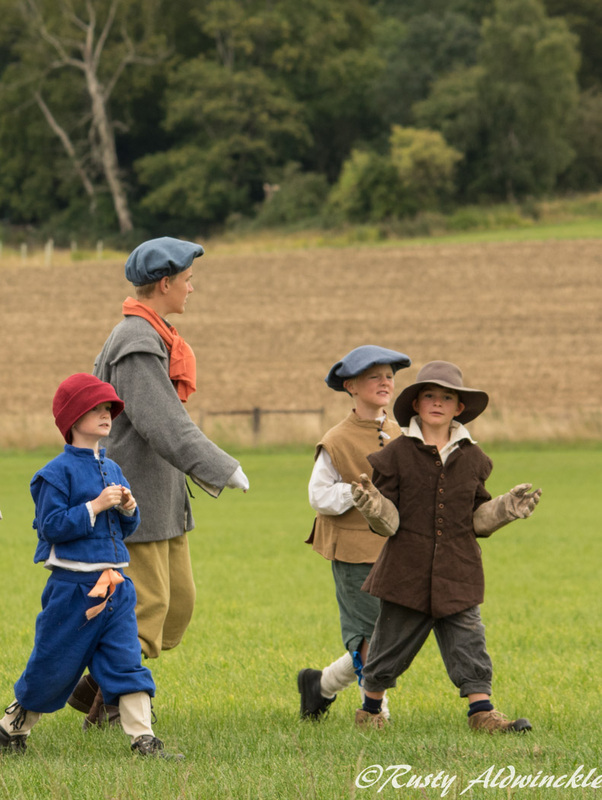 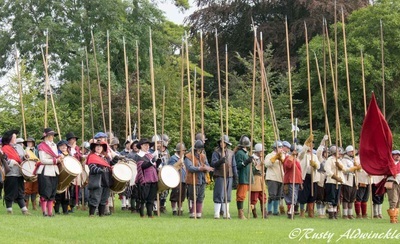 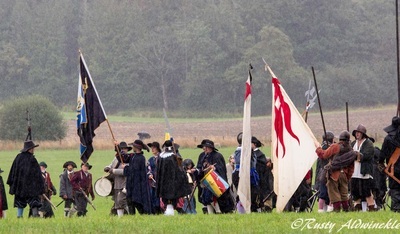 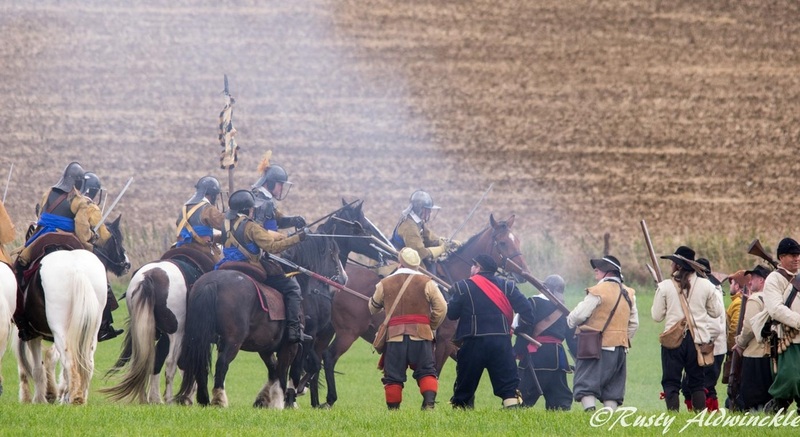 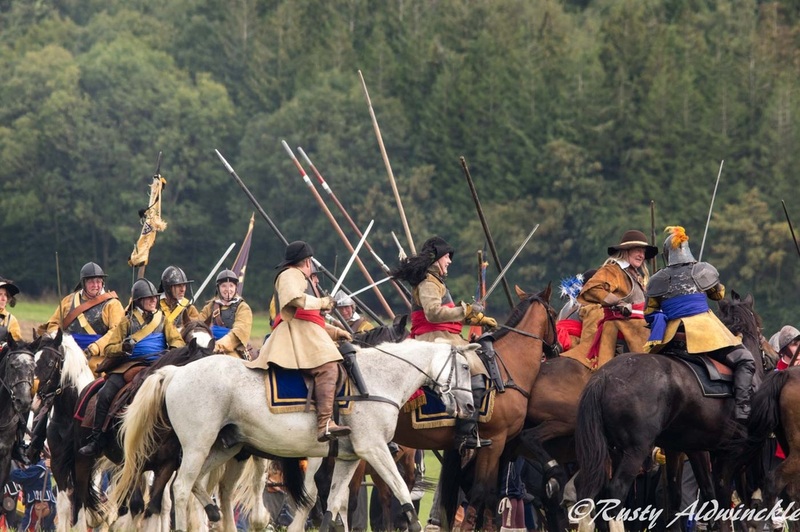 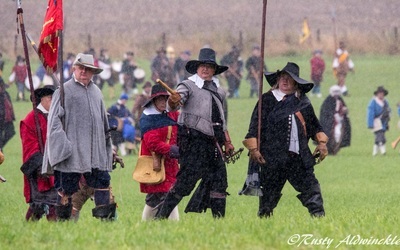 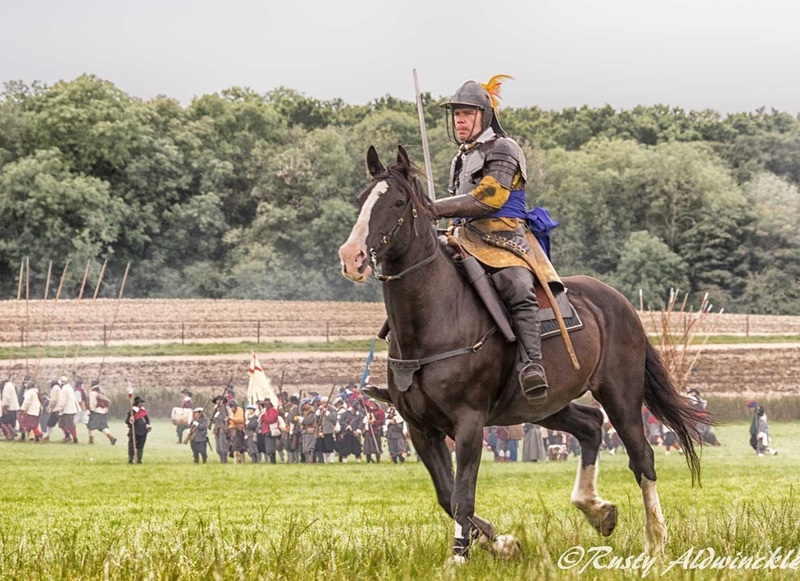 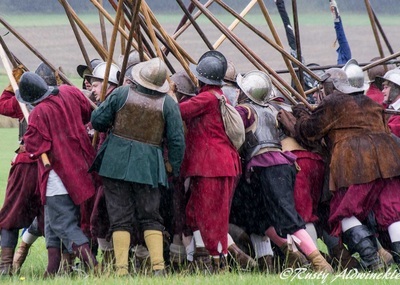 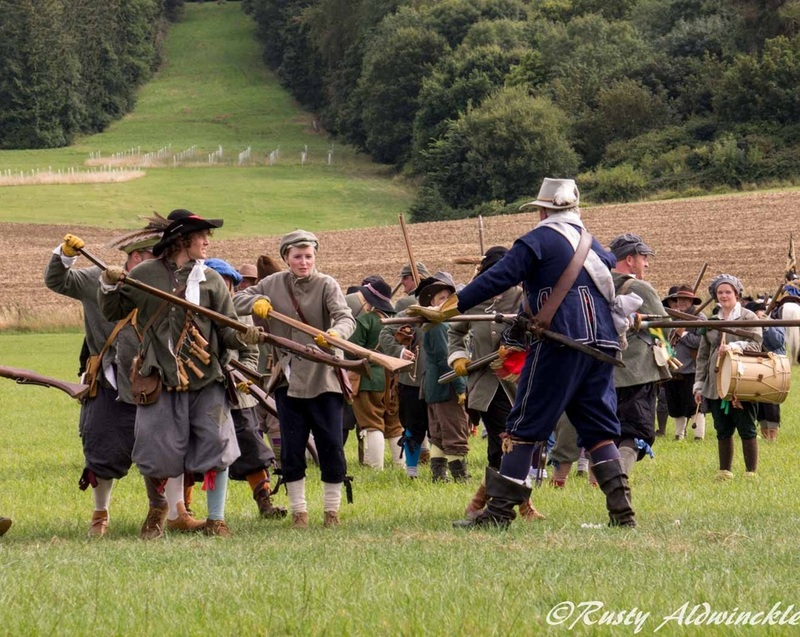 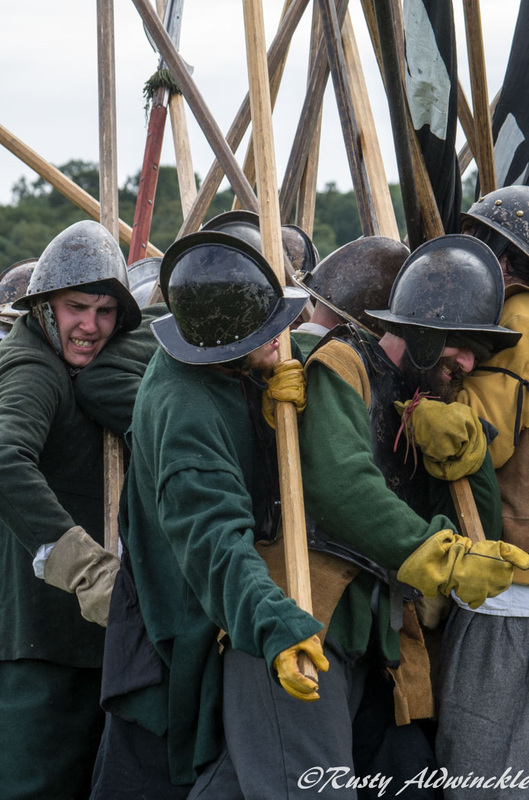 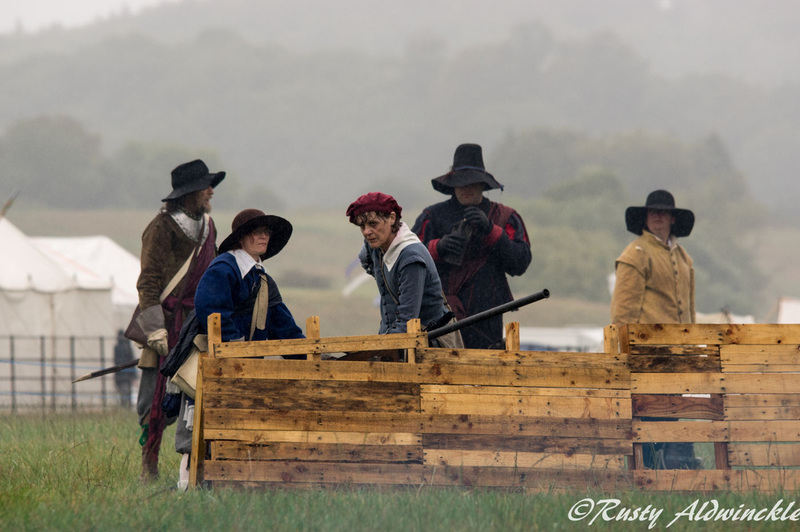 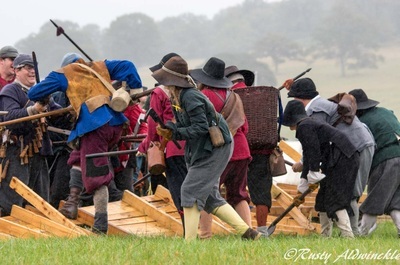 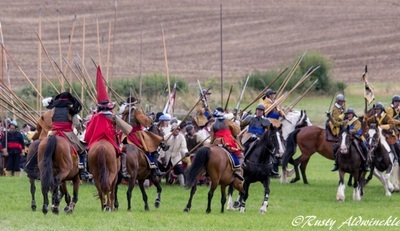 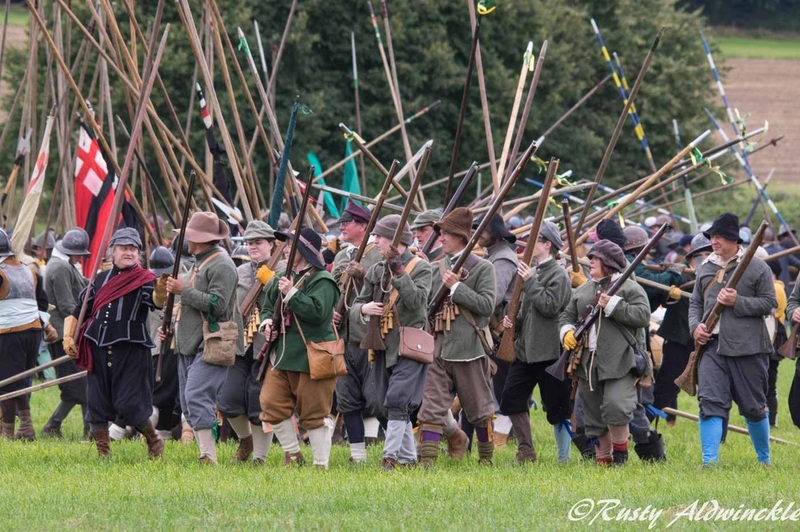 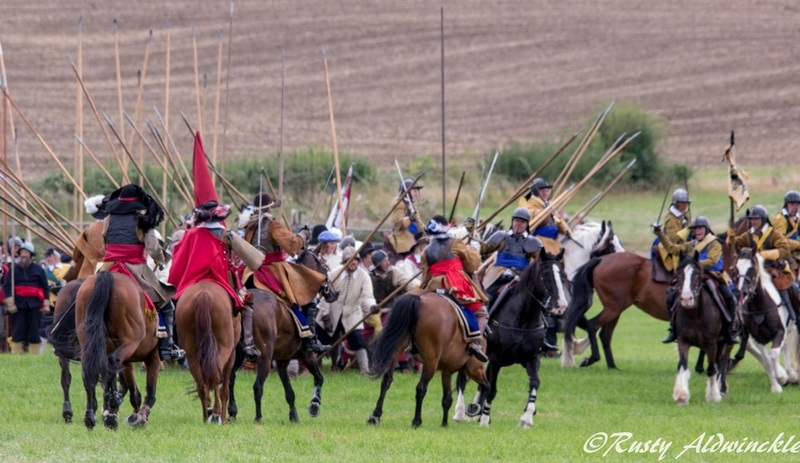 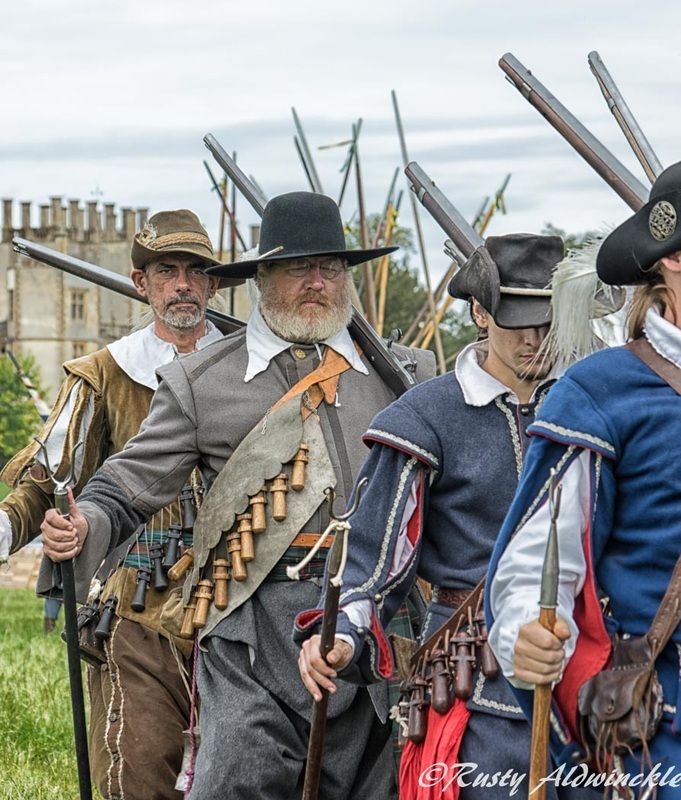 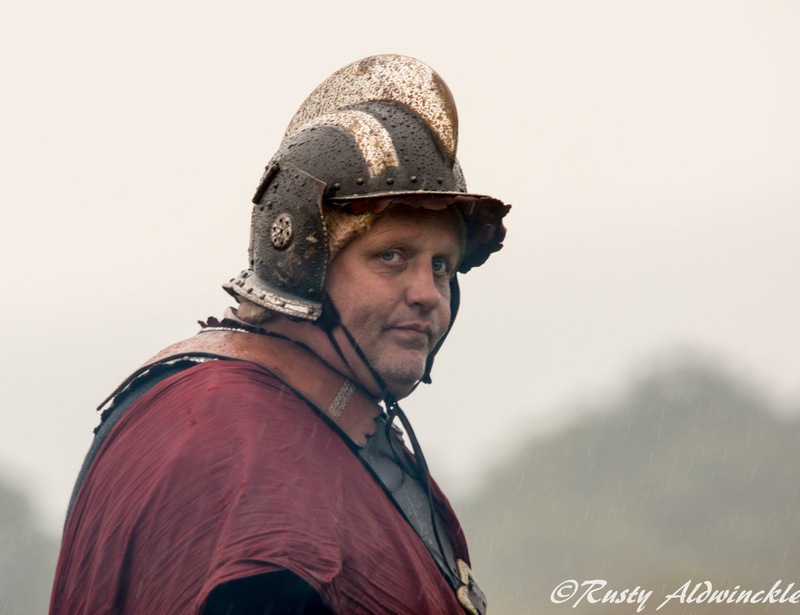 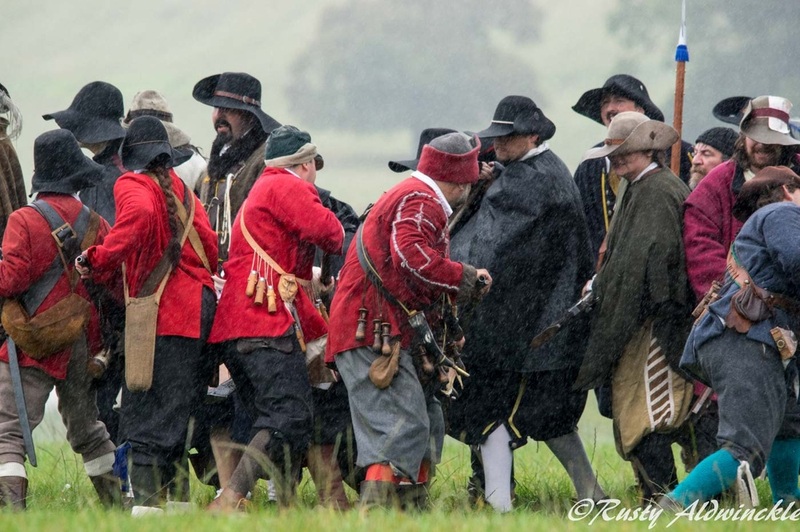 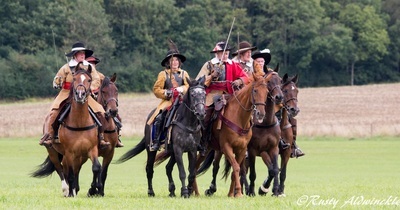 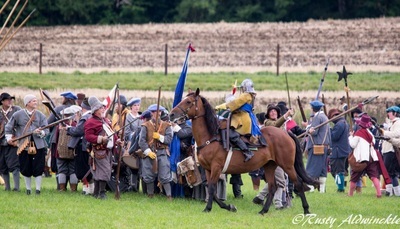 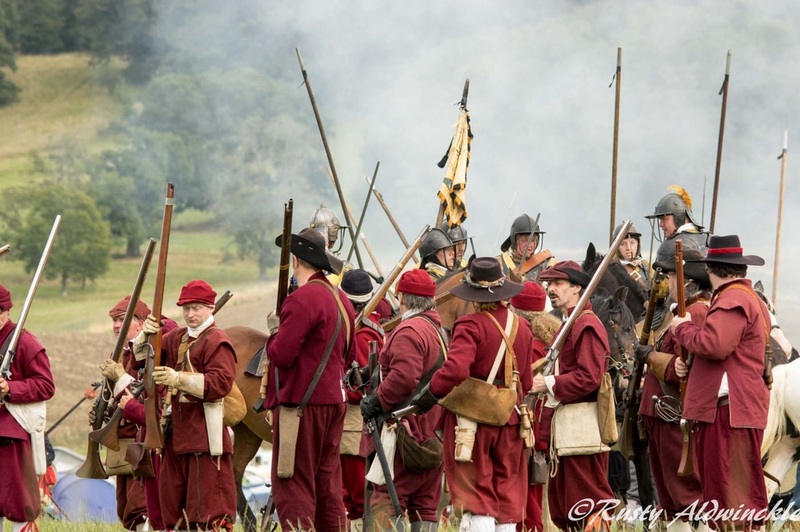 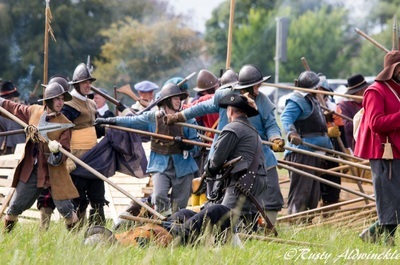 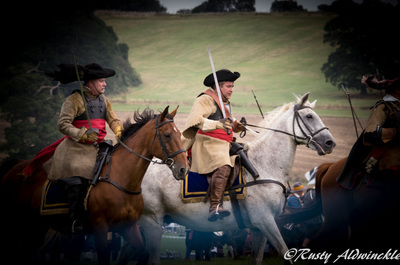 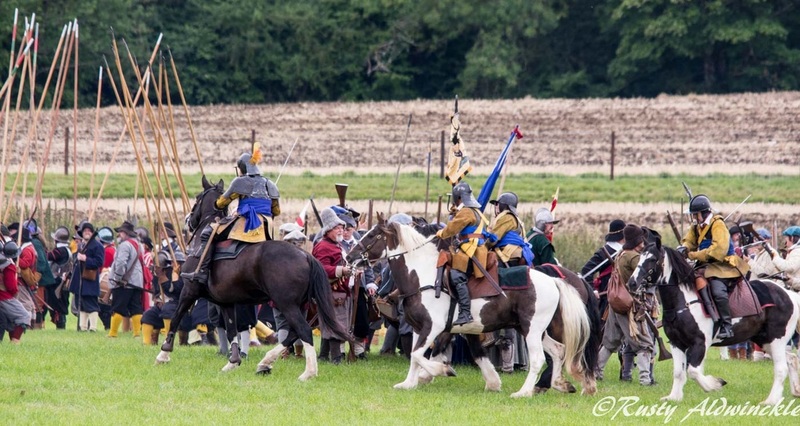 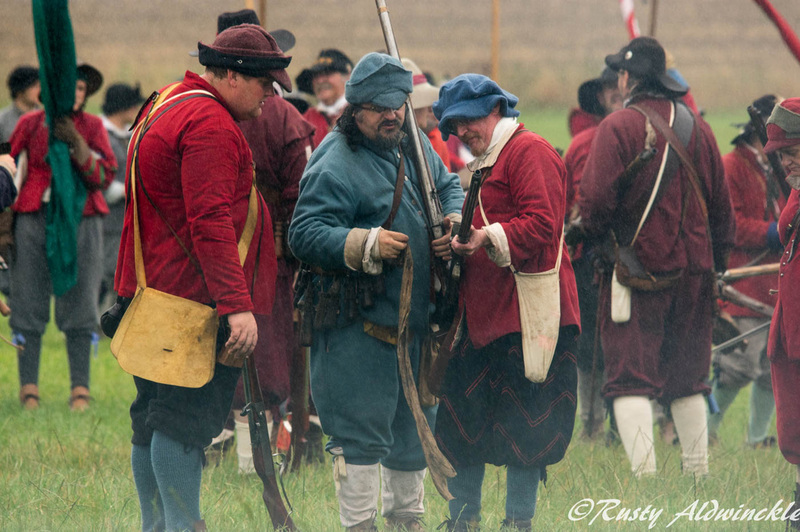 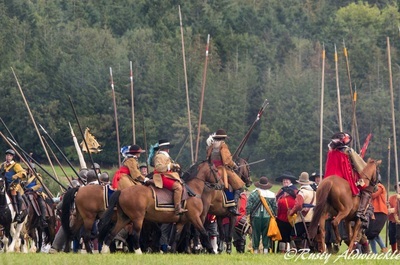 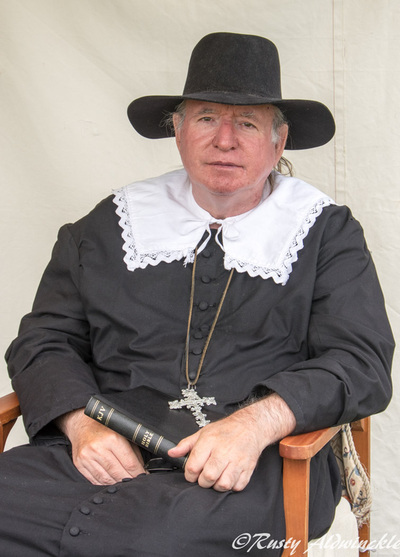 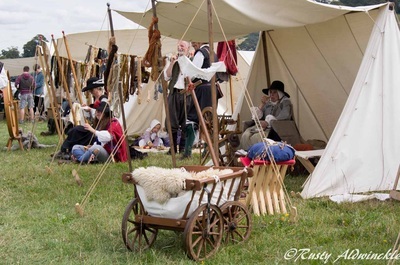 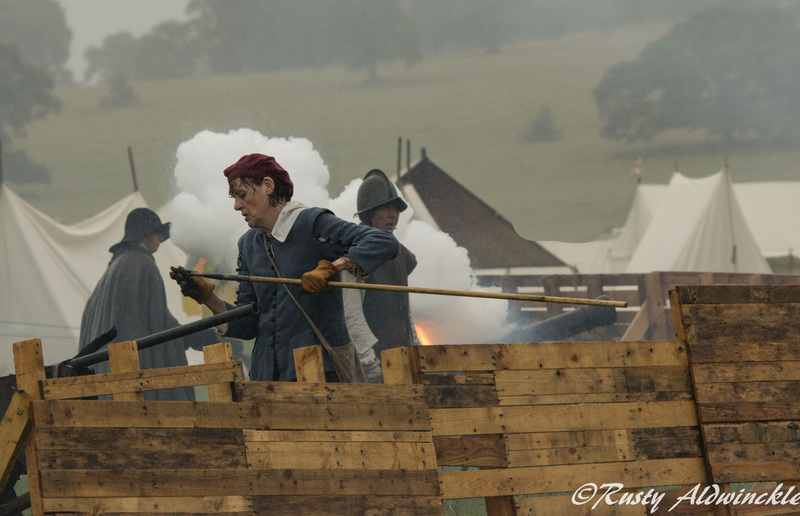 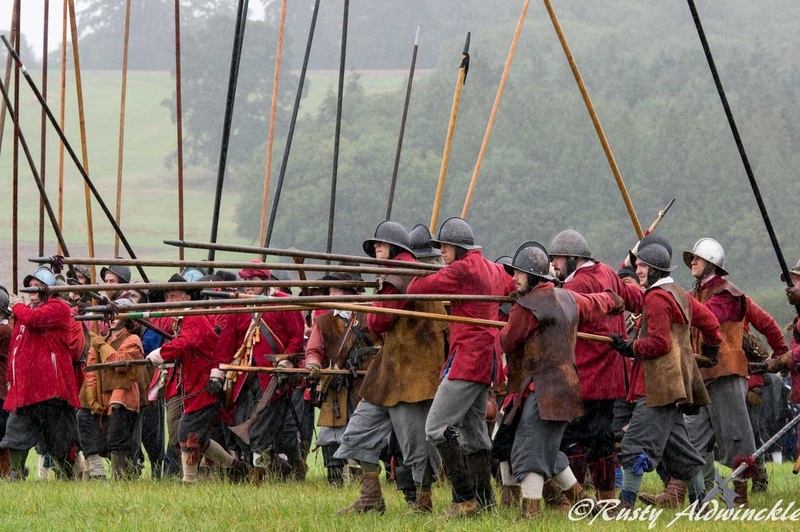 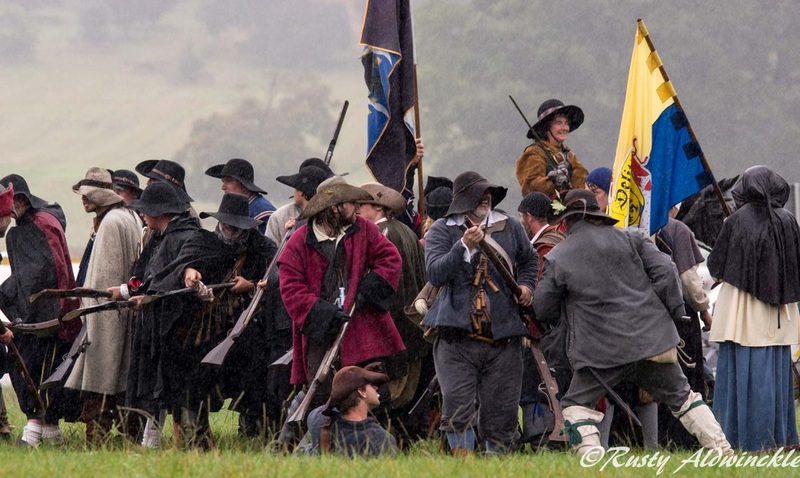 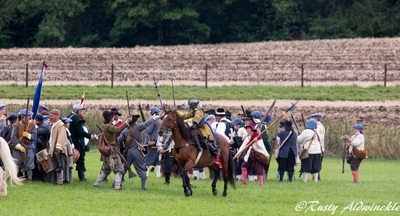 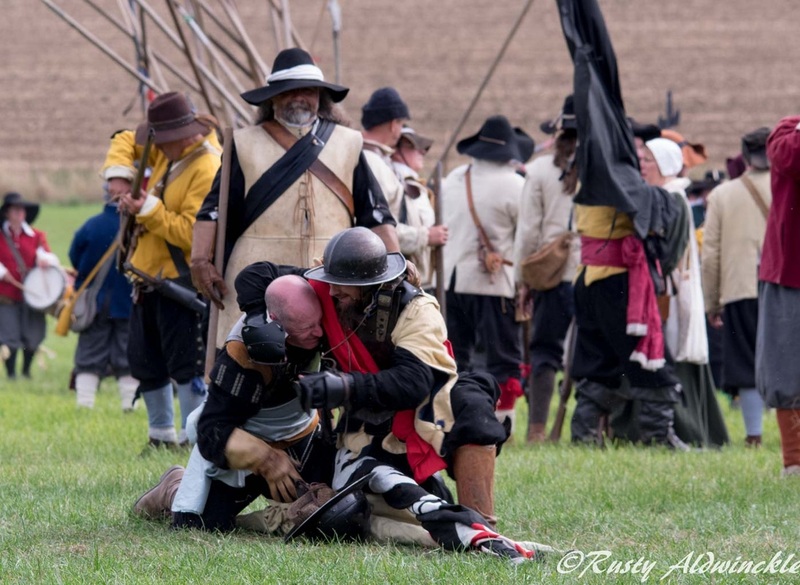 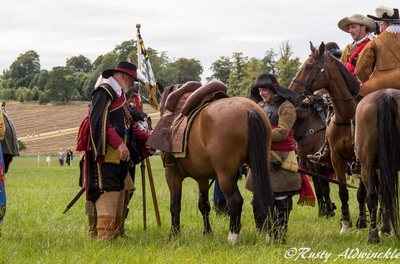 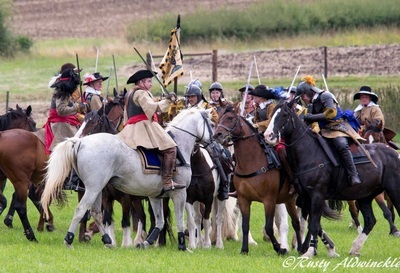 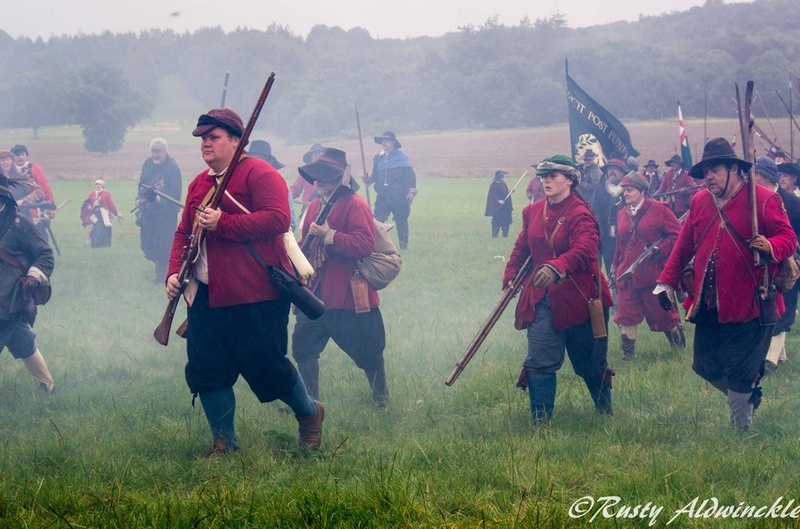 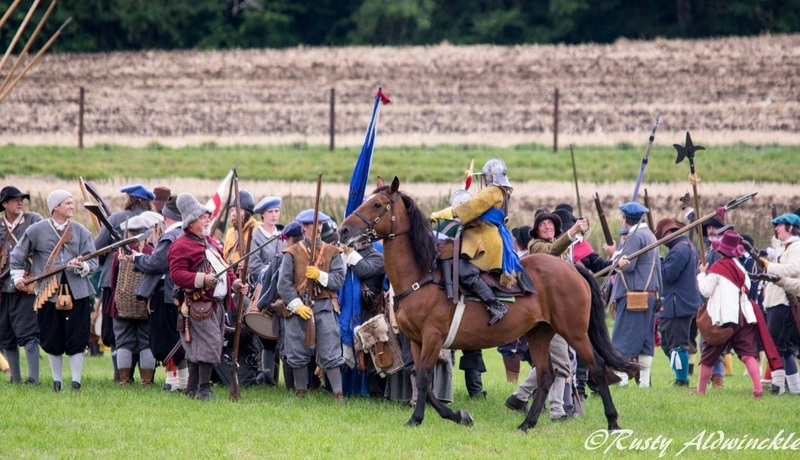 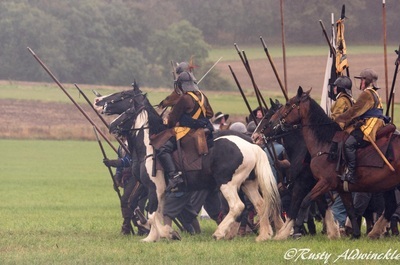 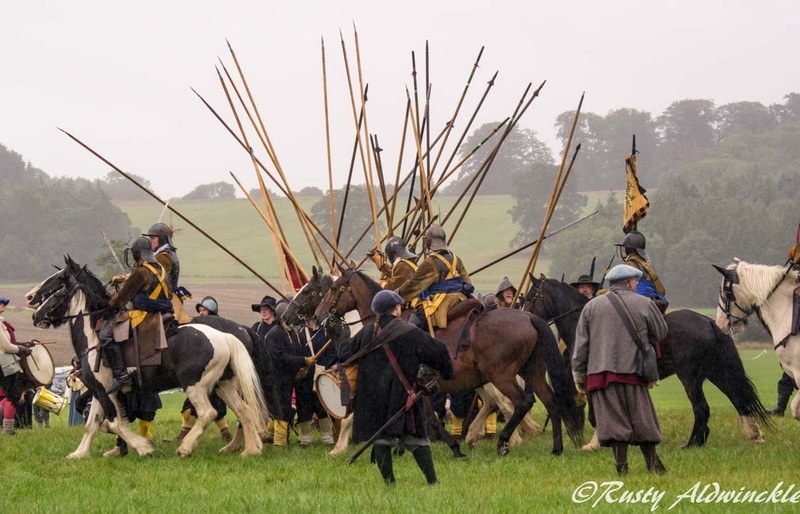 The weather wasn't always favourable but in my opinion the battle Monday in the rain was great and the public who braved the weather thoroughly enjoyed the feeling of 'being in amongst it' due to the way the battlefield was set out and the script adhered too. 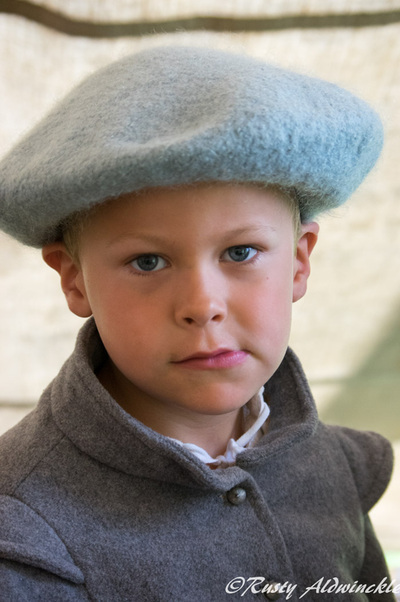 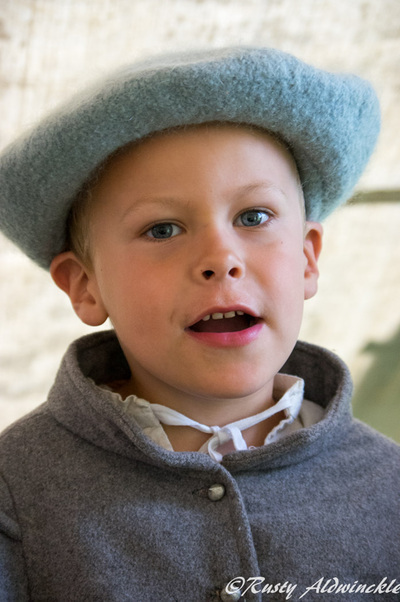 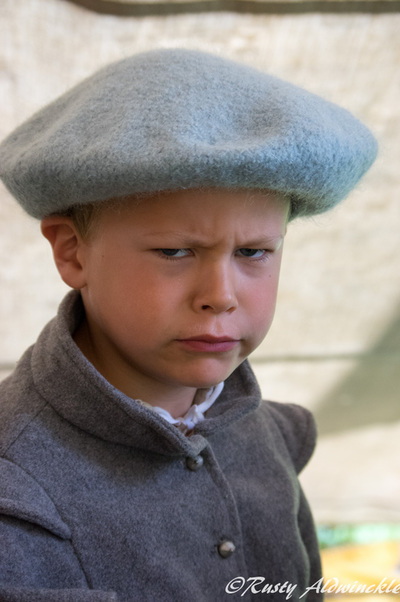 Great script by the way and my thanks go to those that wrote it, it was good just lacked a little interpretation by ............. on Sunday.